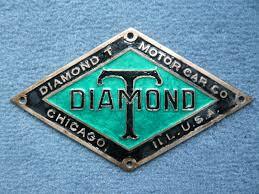 The Diamond T was an American automobile manufactured in Chicago from 1905 until 1911 by the Diamond T Motor Car Company. 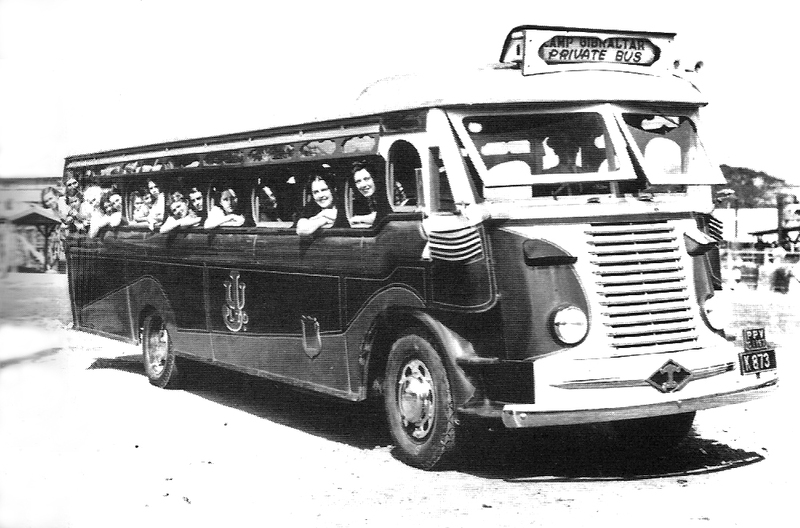 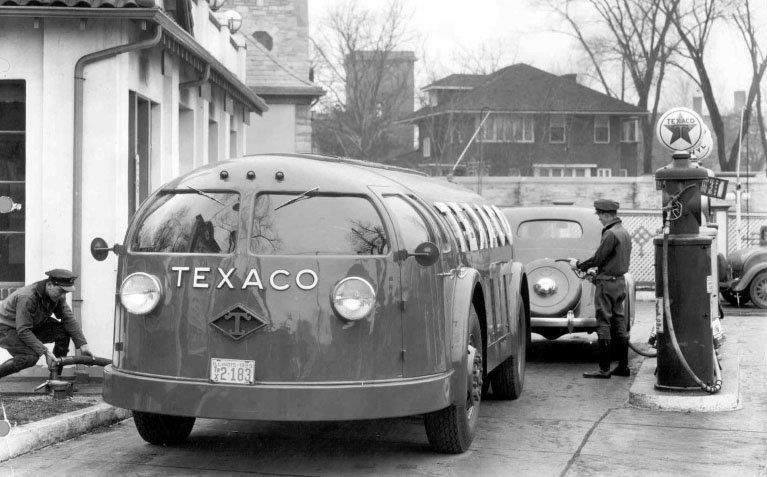 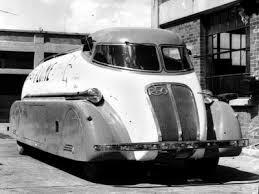 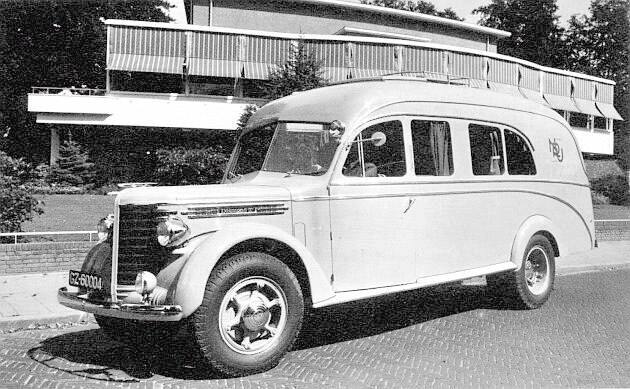 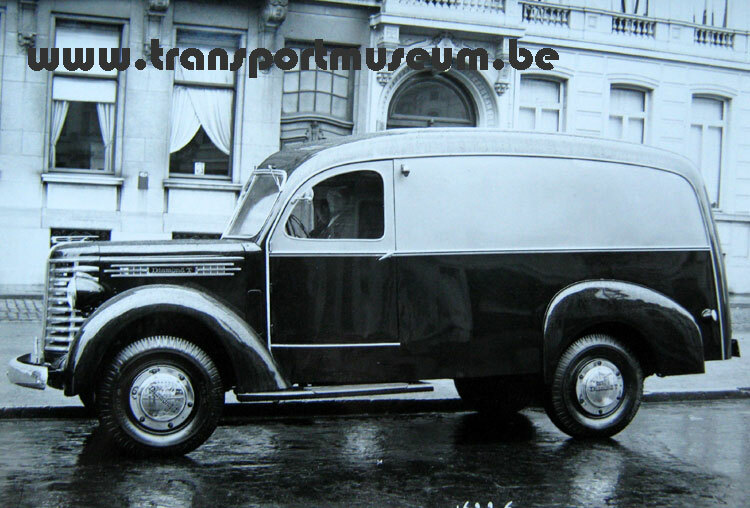 It was a powerful touring car (models up to 70 hp were available). 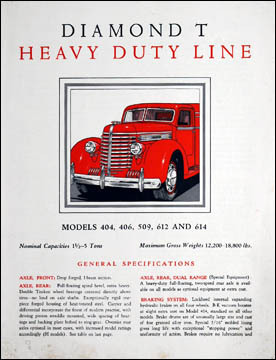 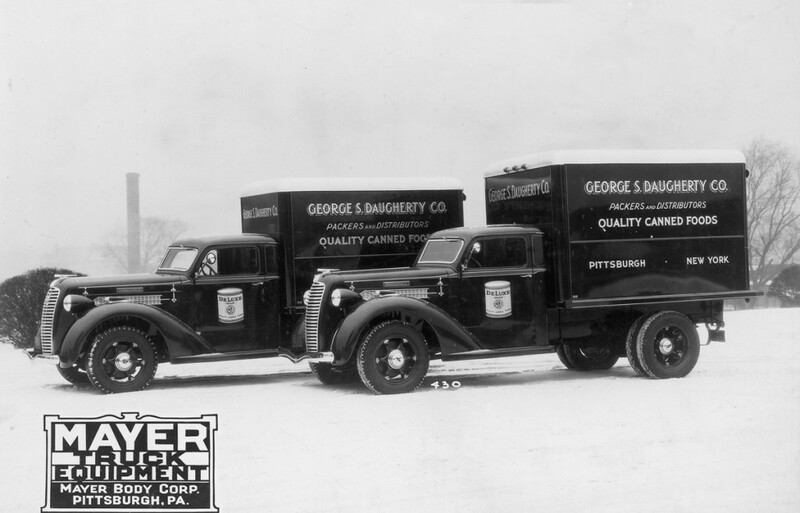 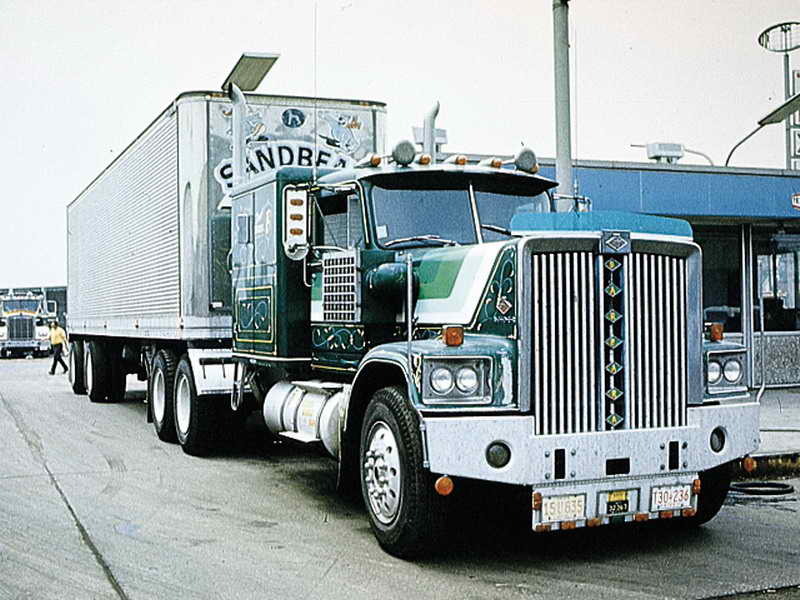 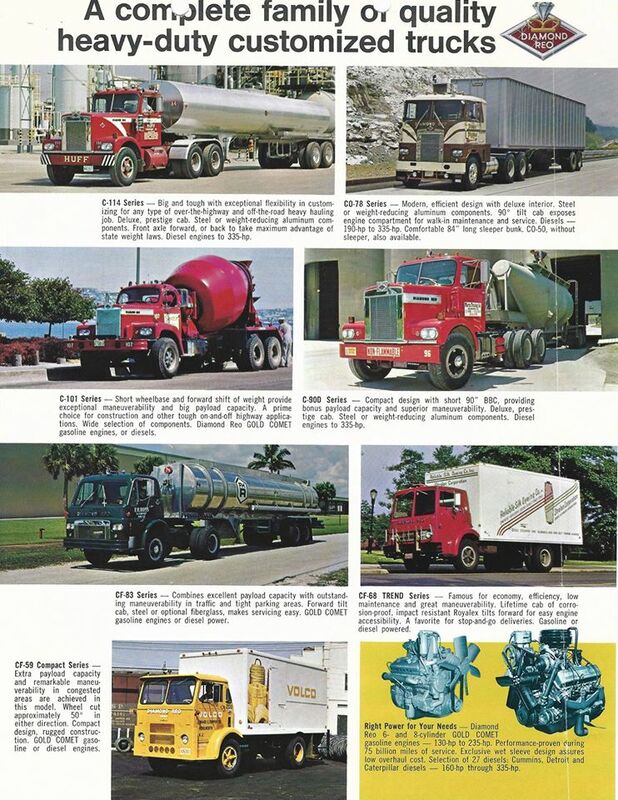 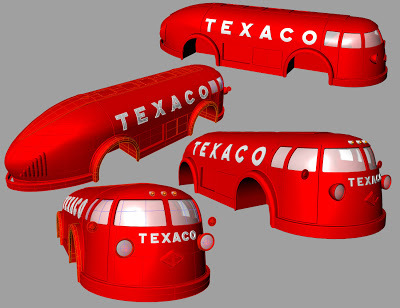 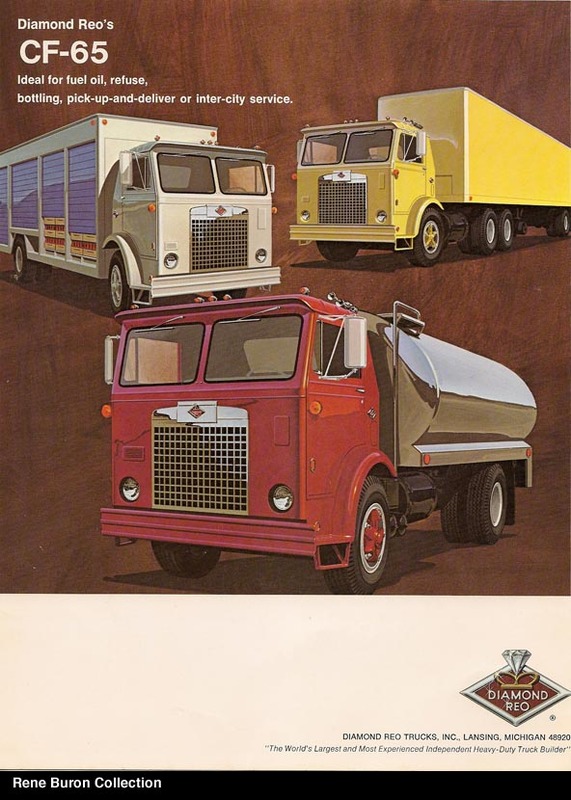 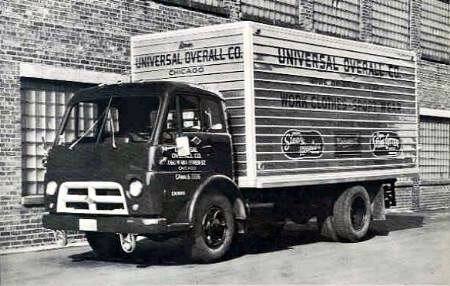 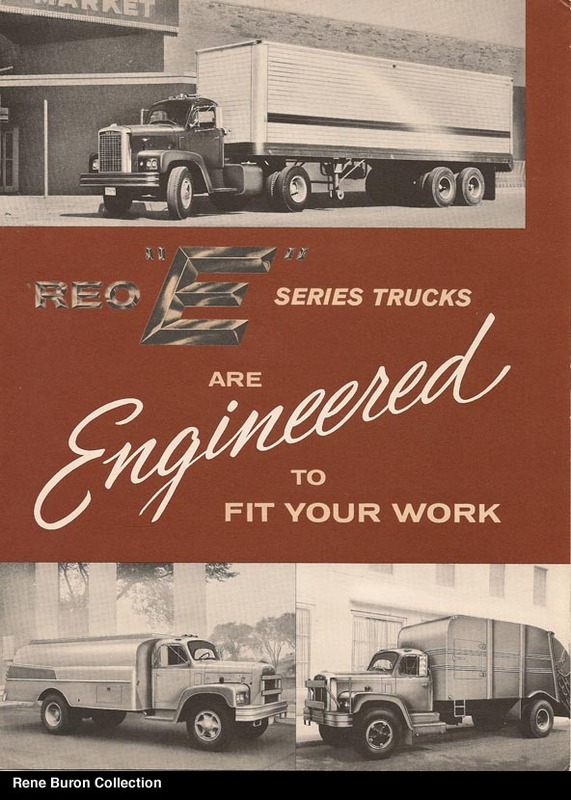 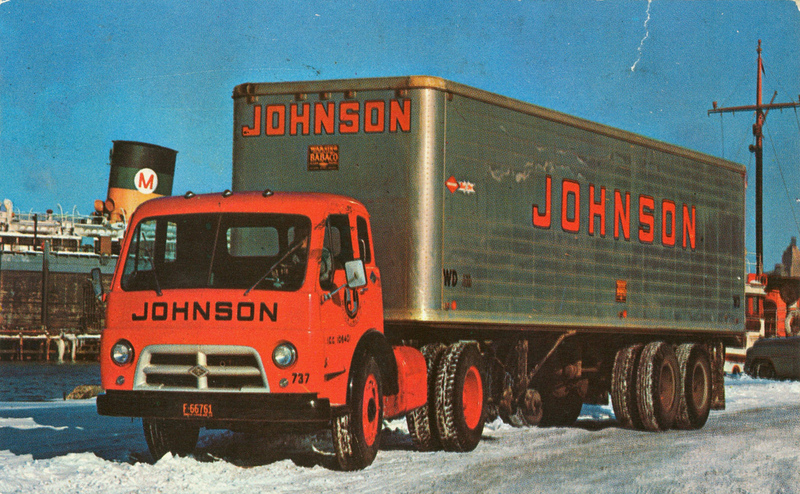 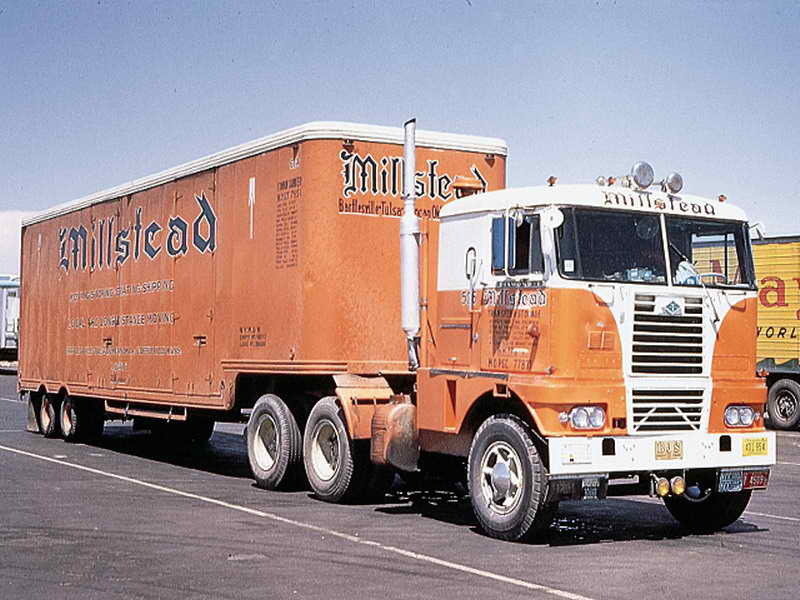 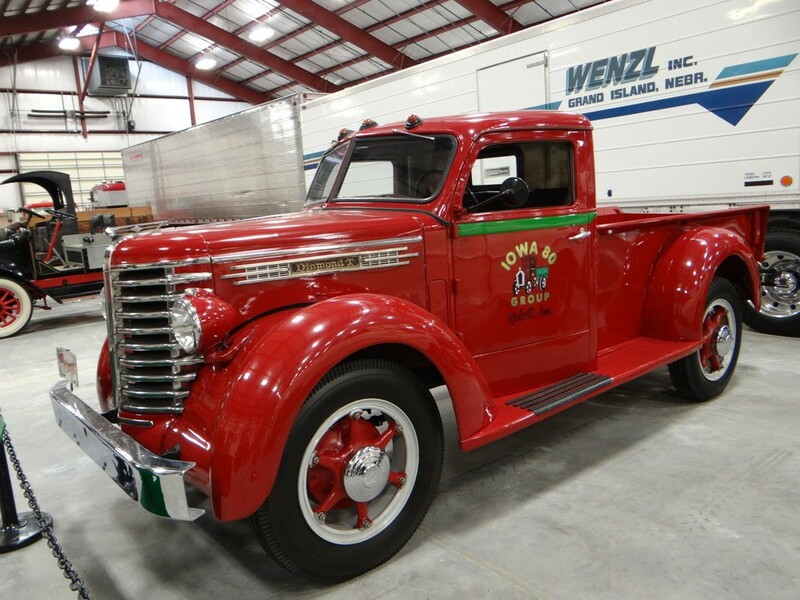 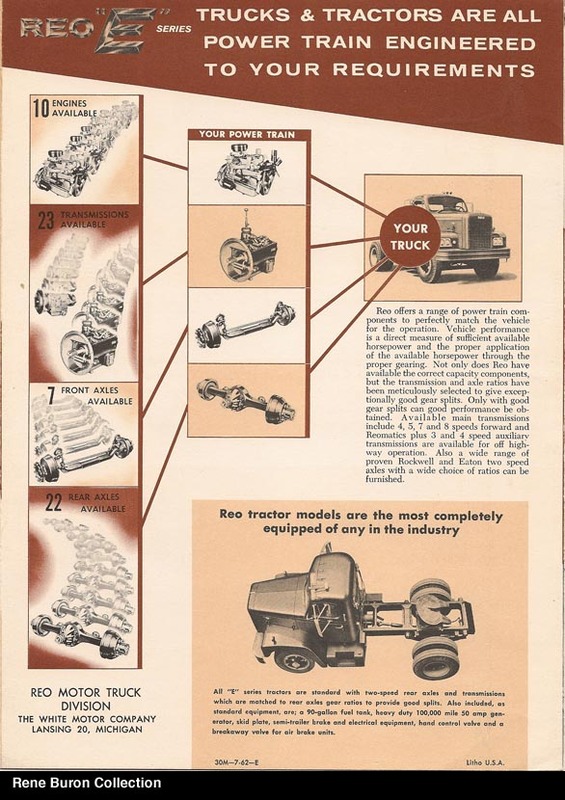 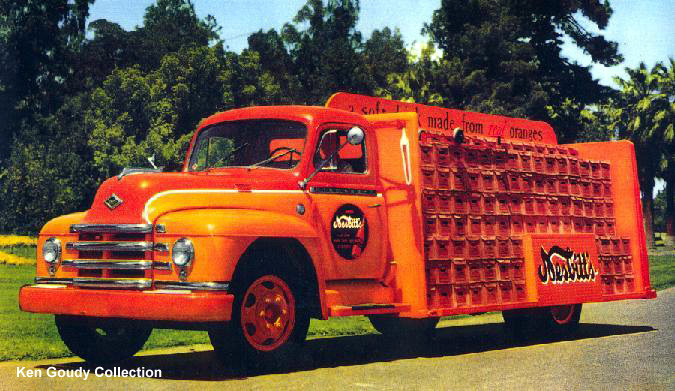 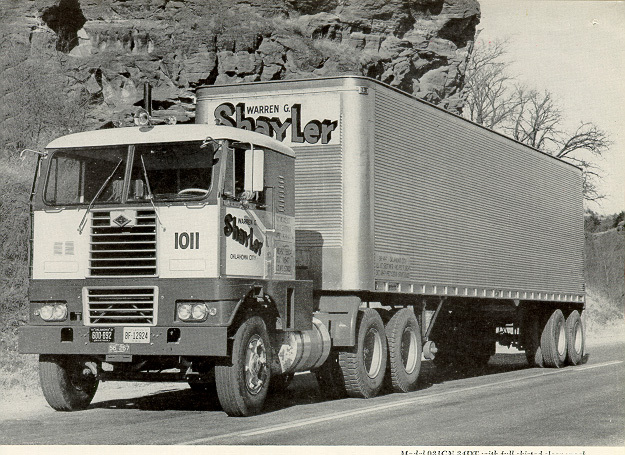 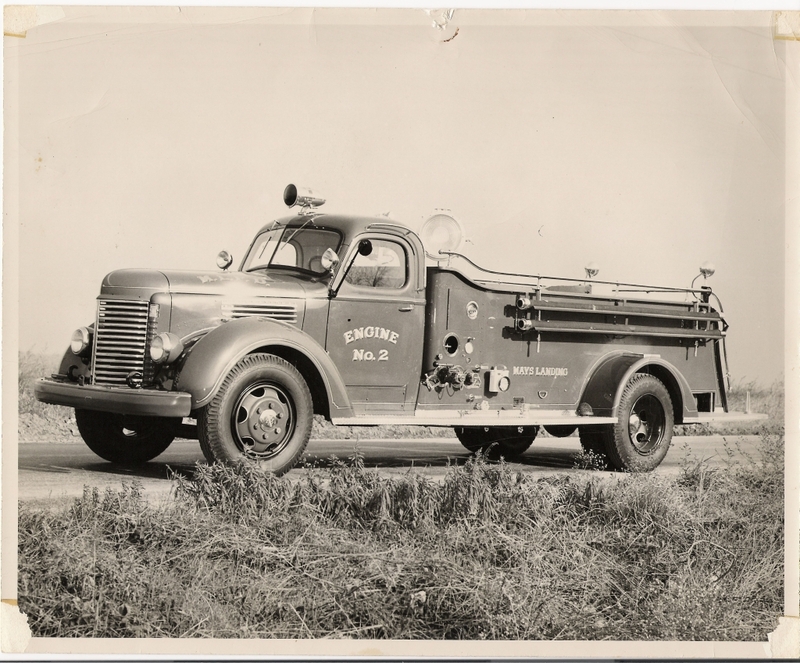 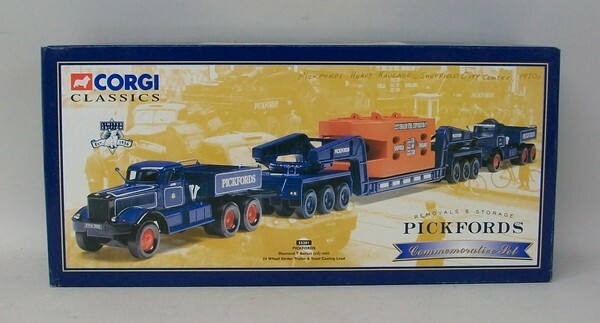 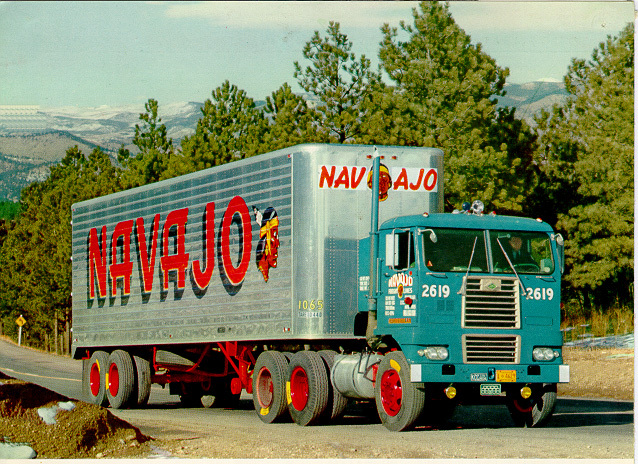 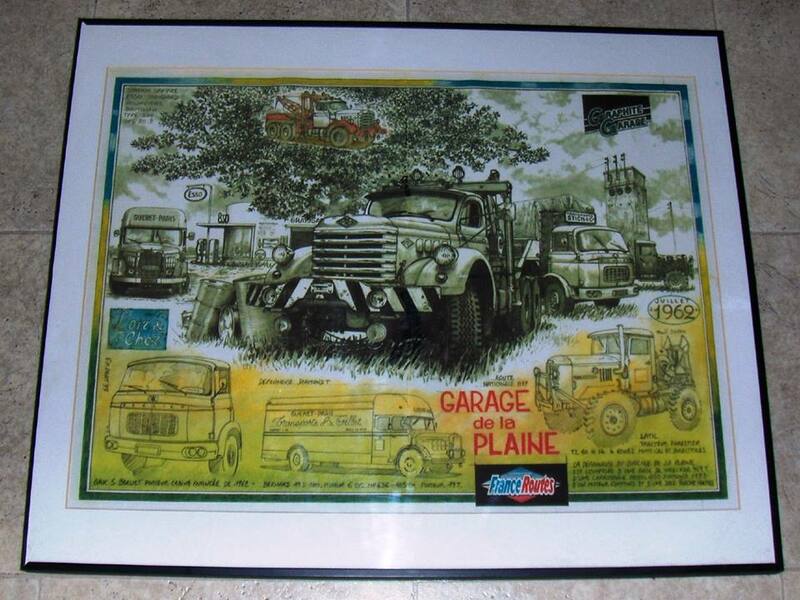 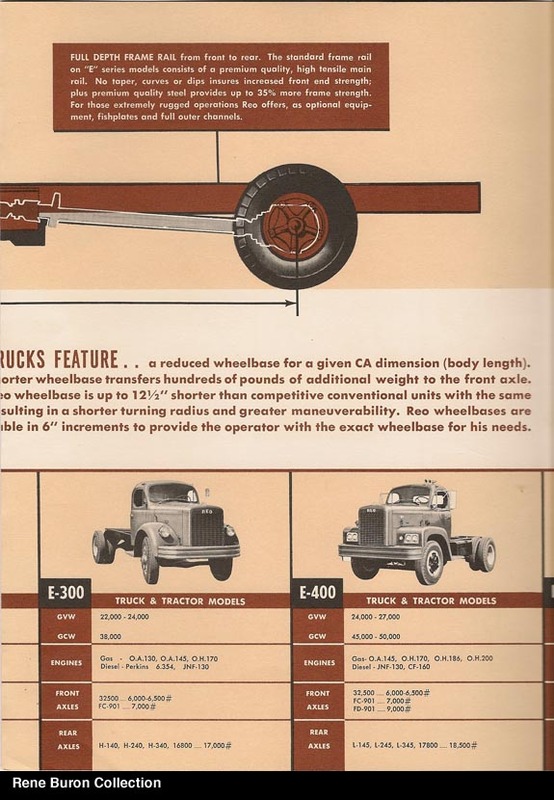 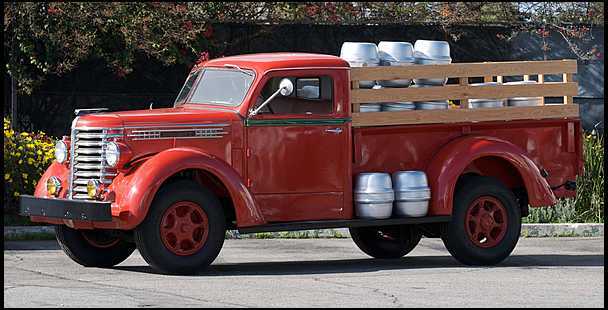 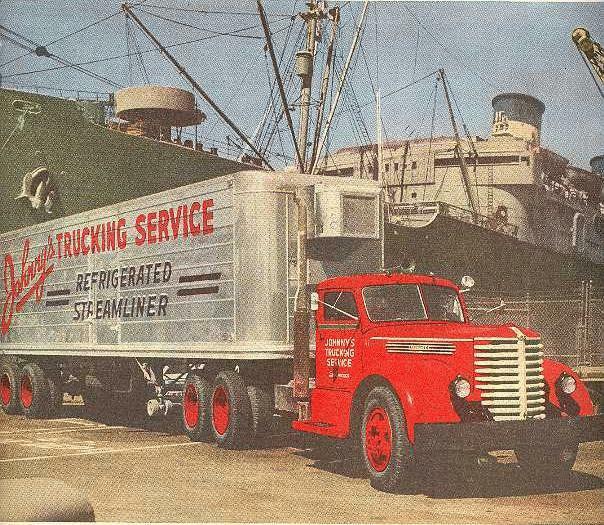 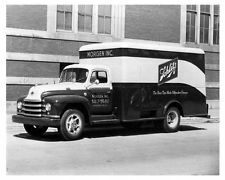 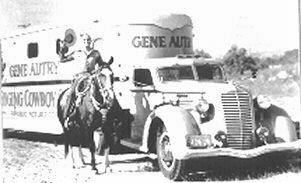 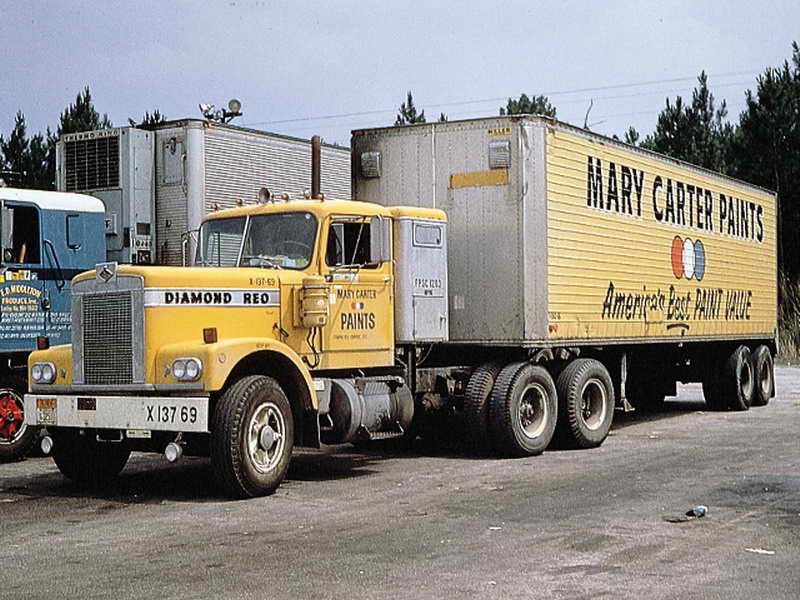 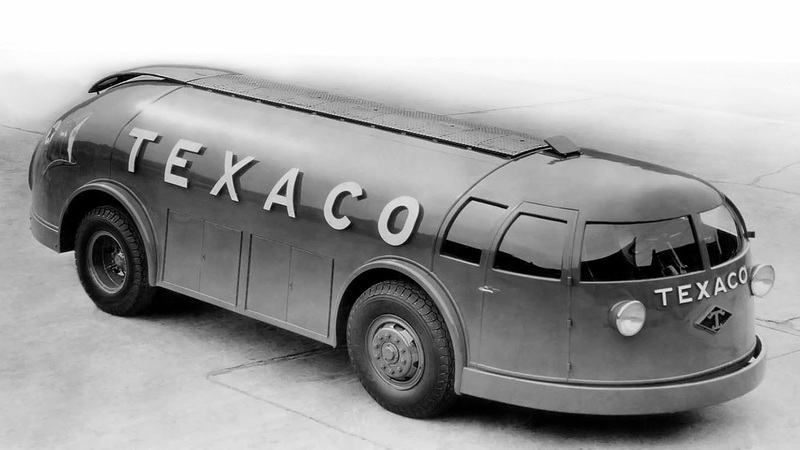 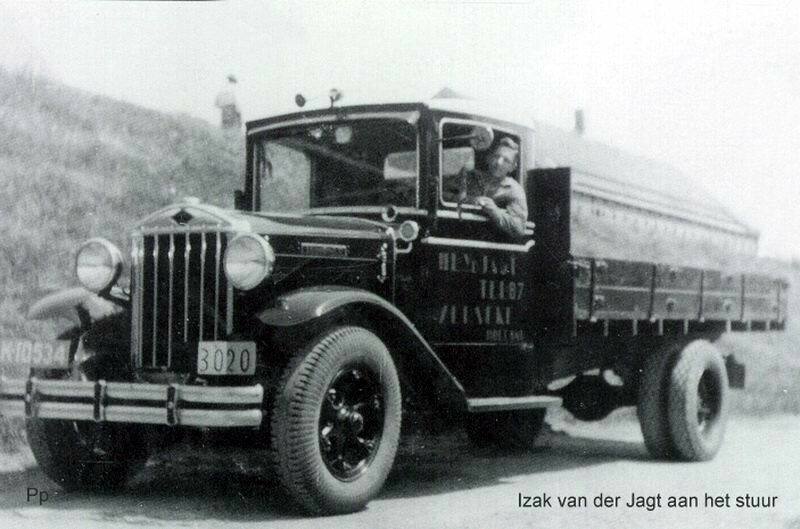 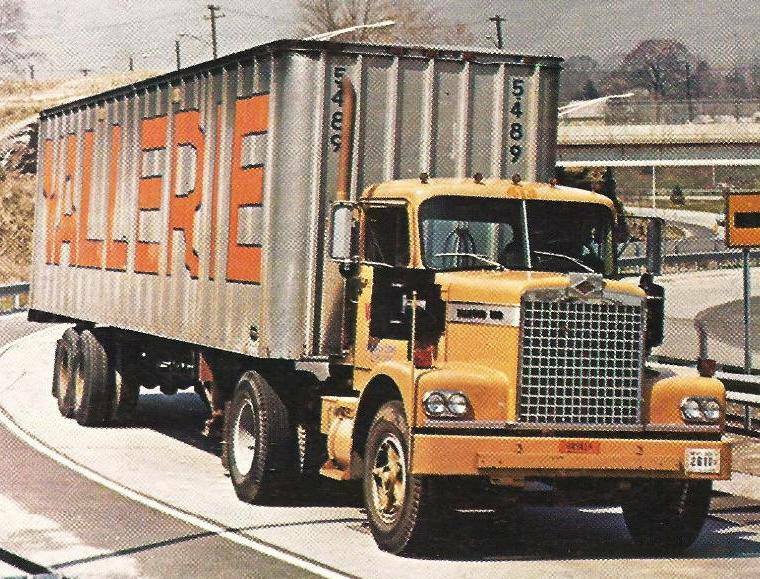 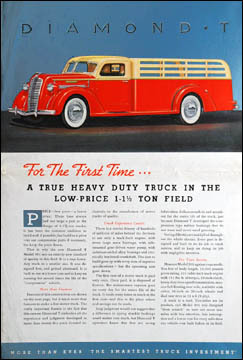 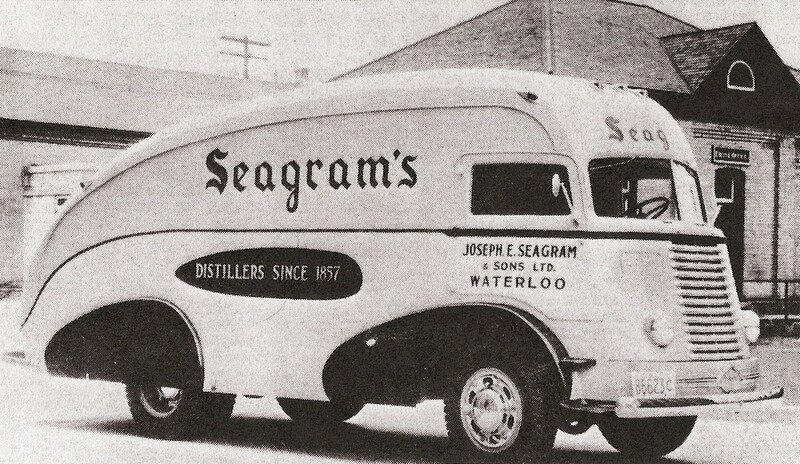 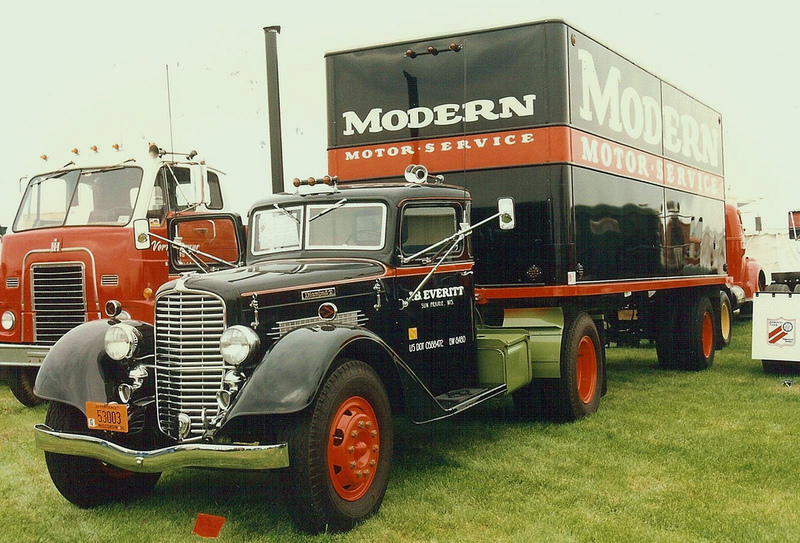 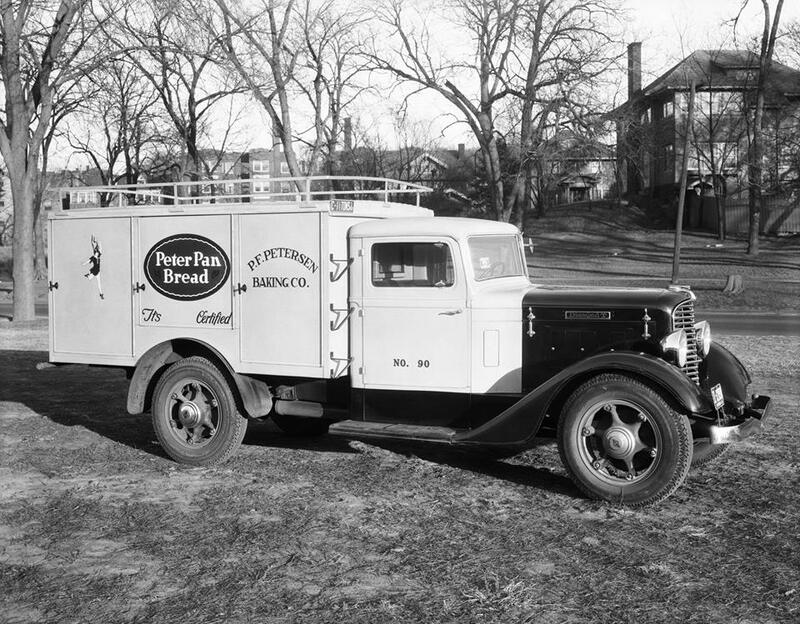 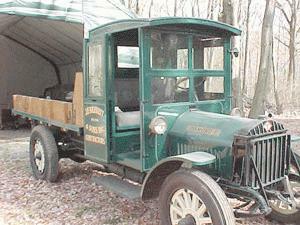 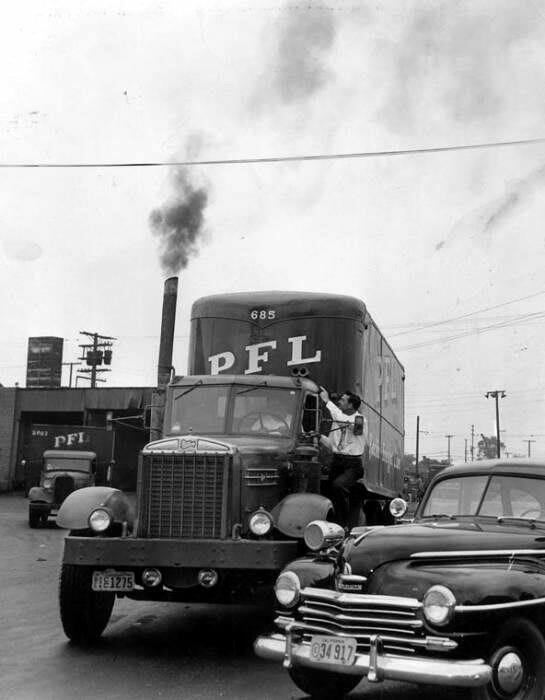 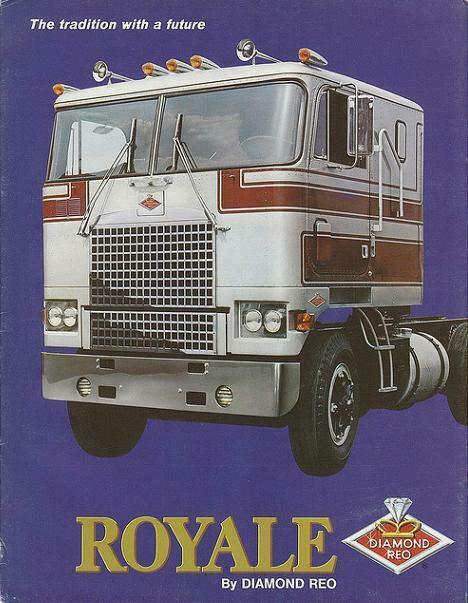 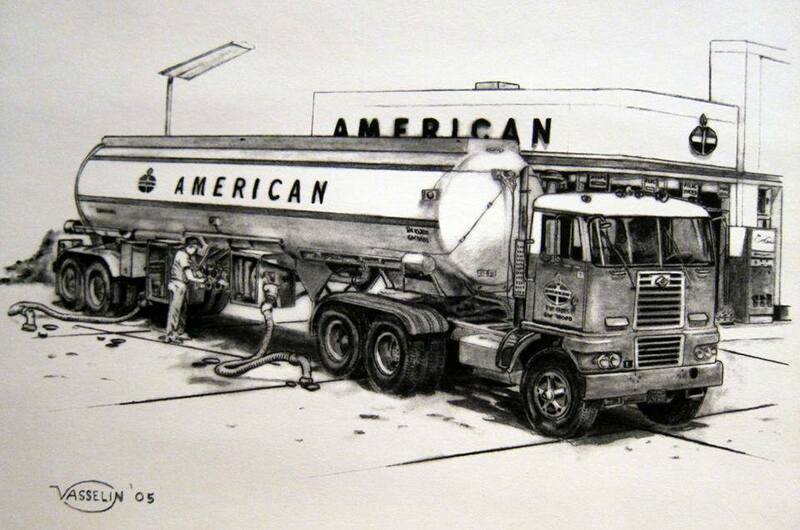 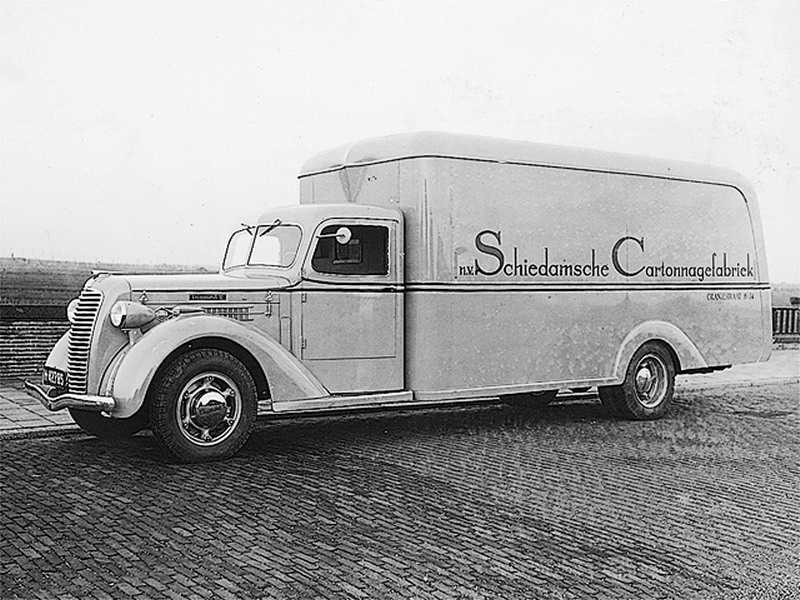 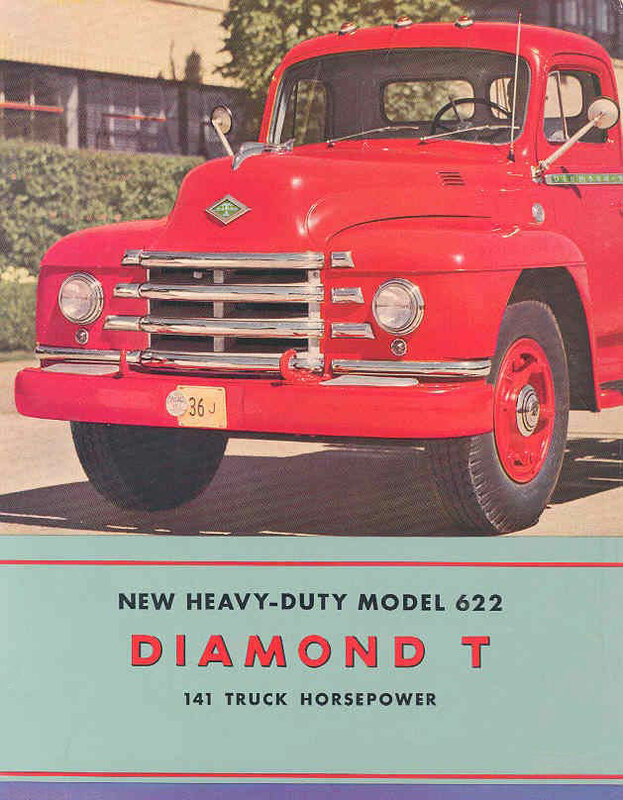 The company later became known for its trucks. 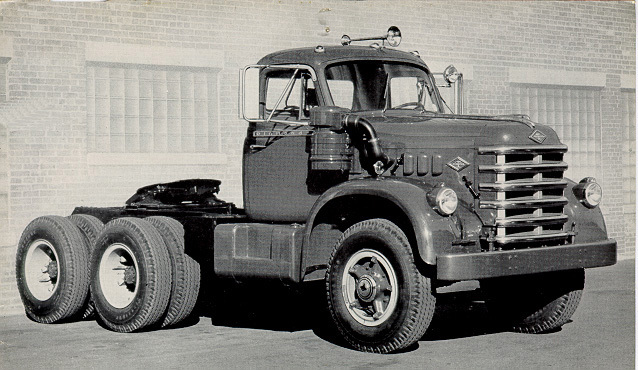 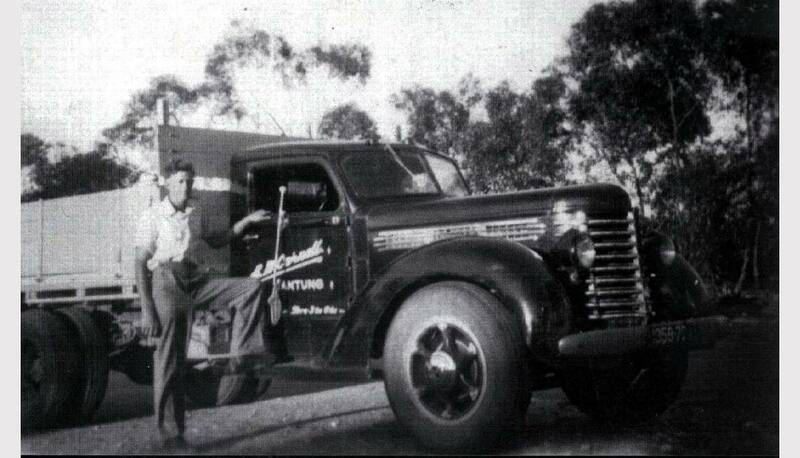 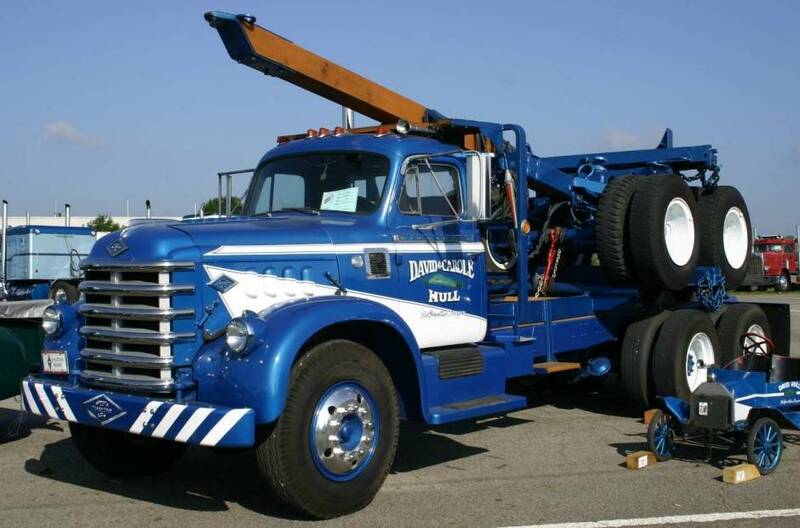 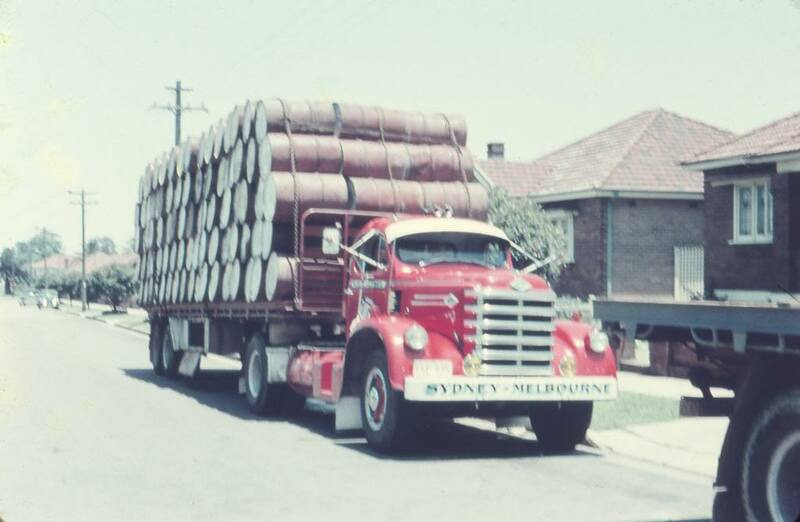 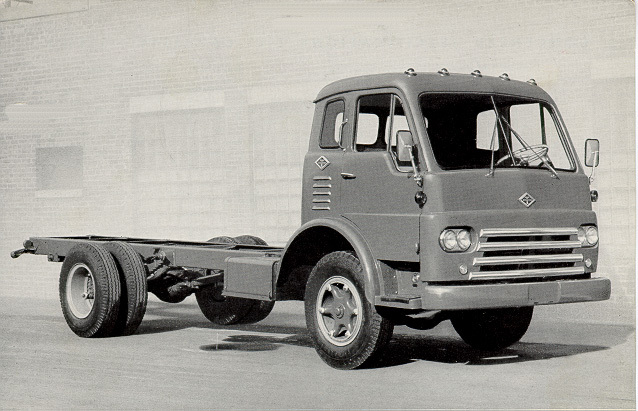 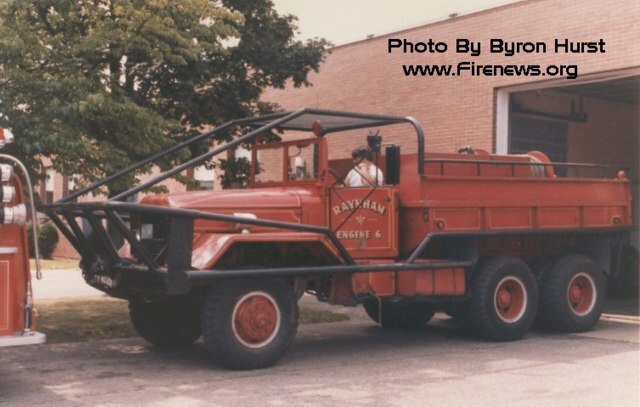 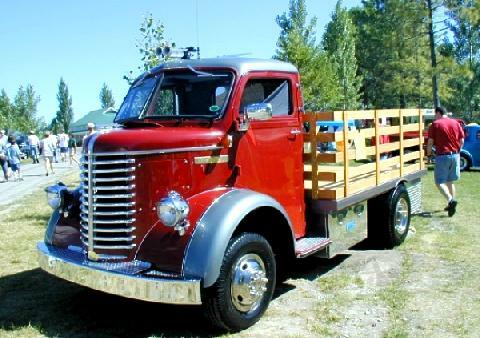 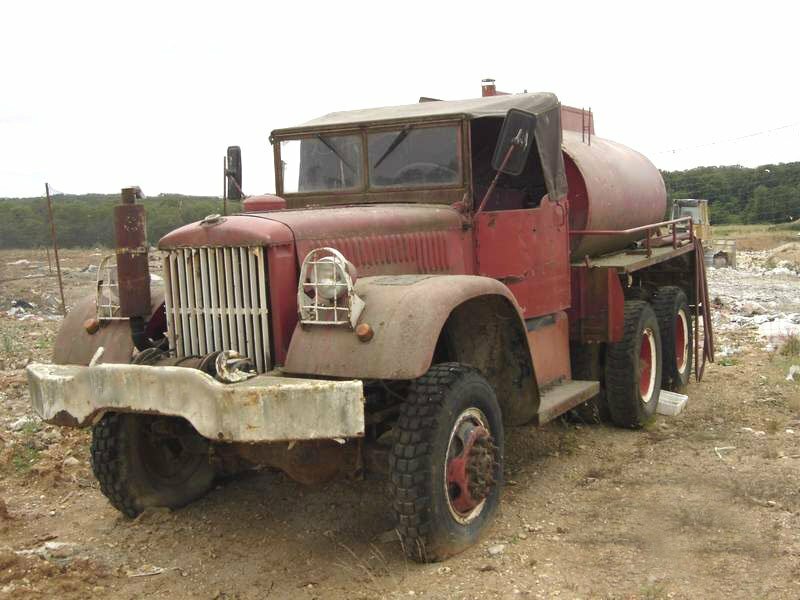 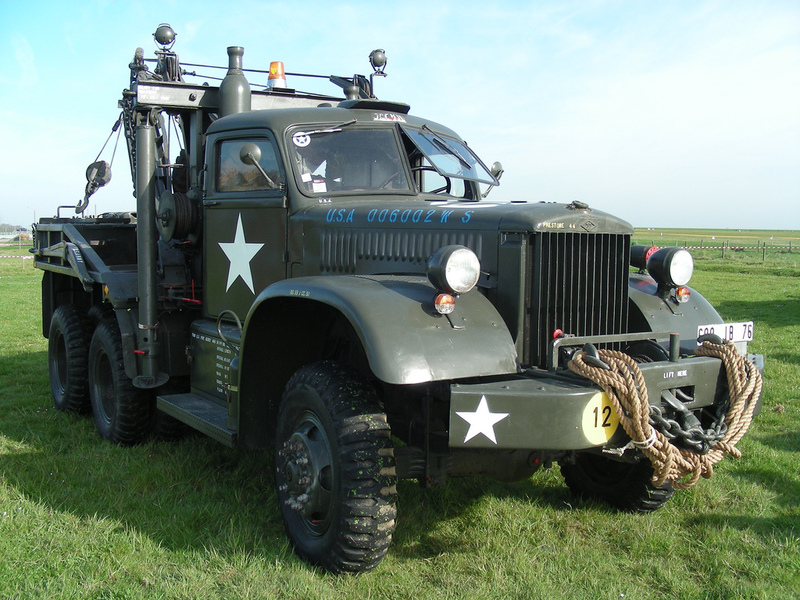 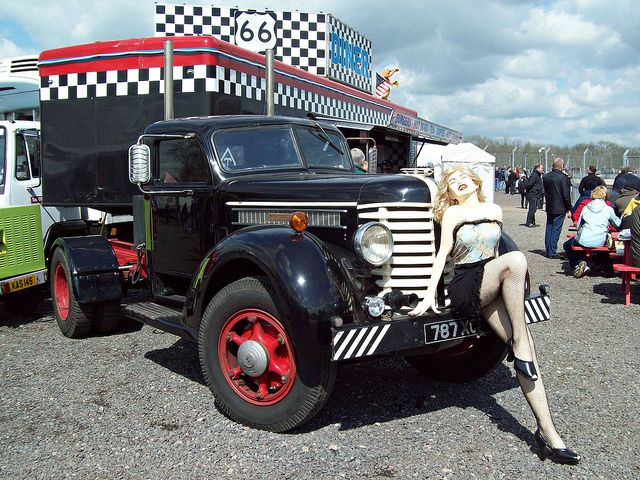 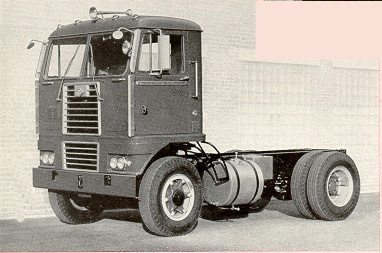 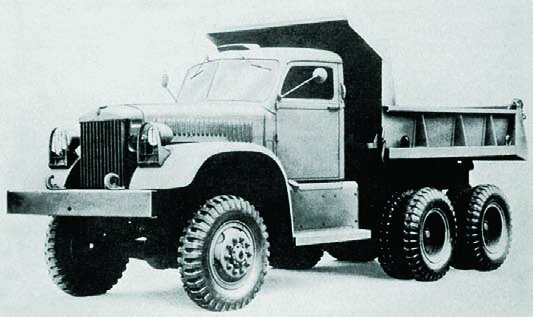 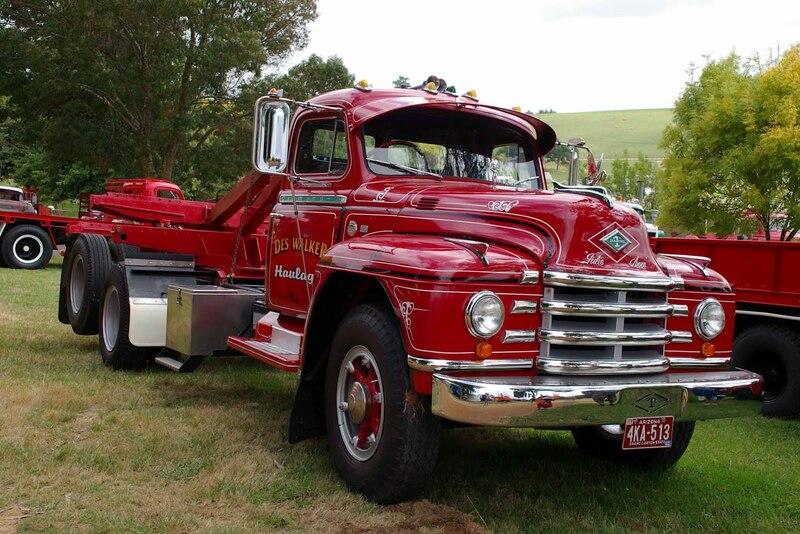 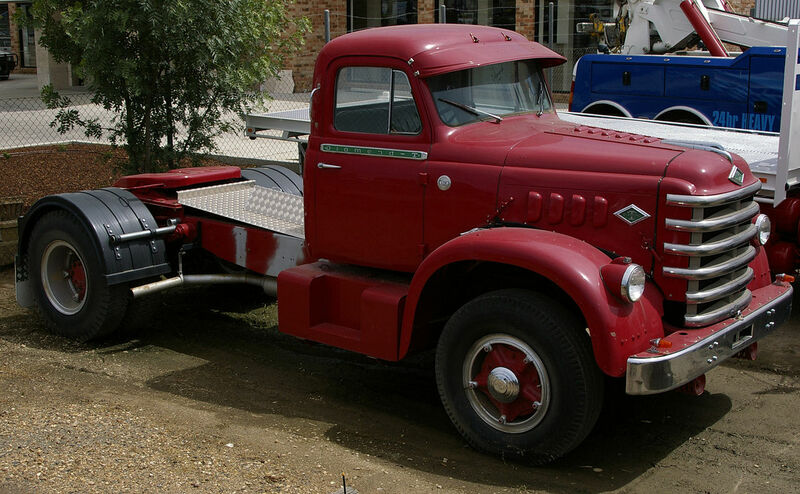 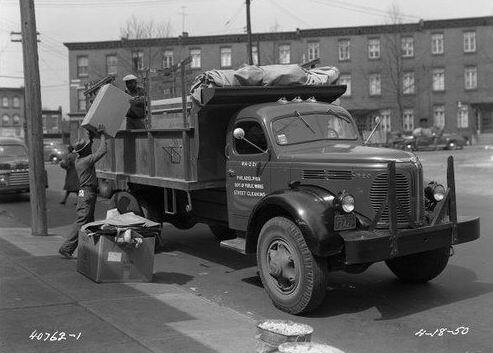 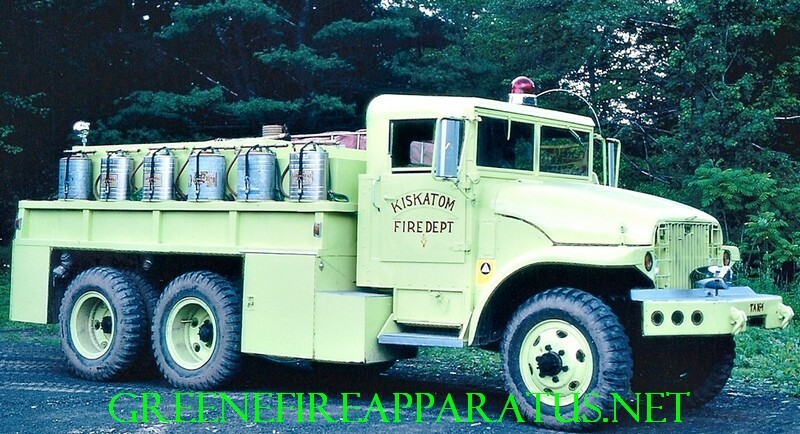 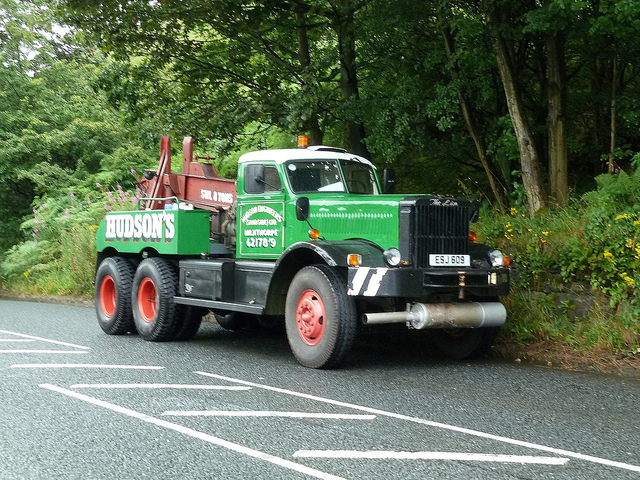 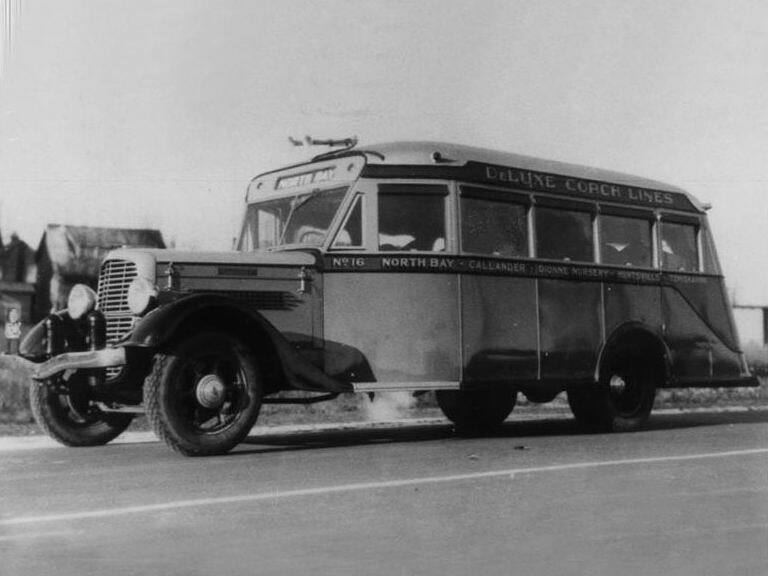 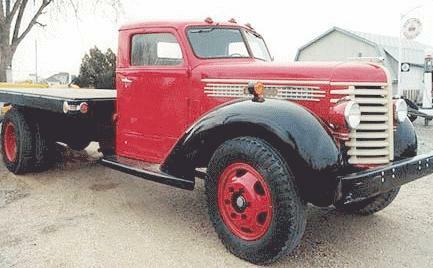 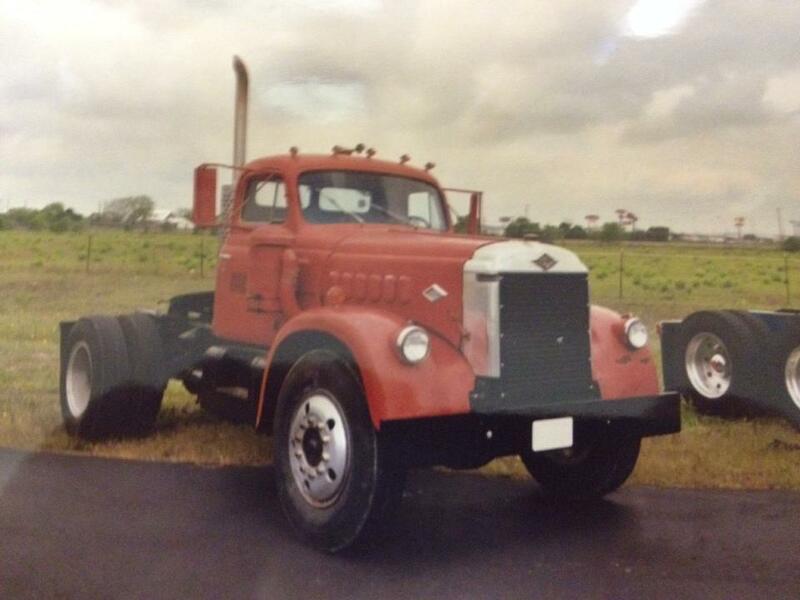 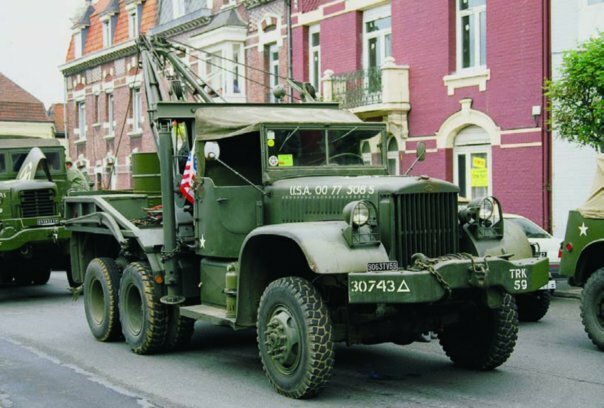 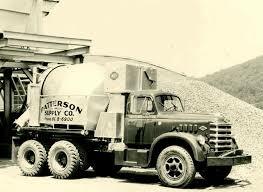 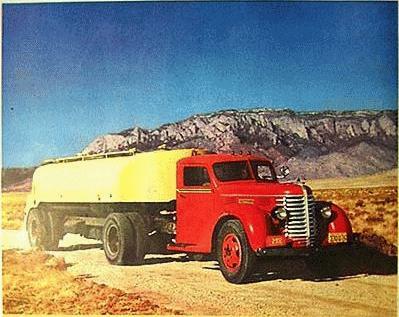 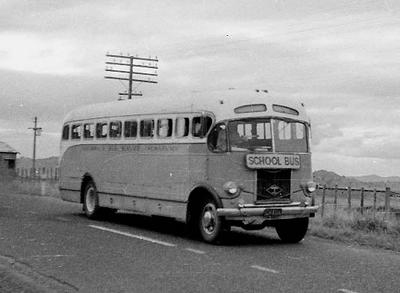 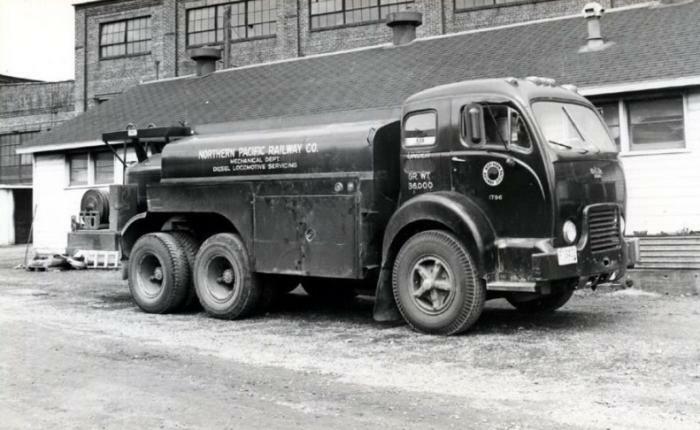 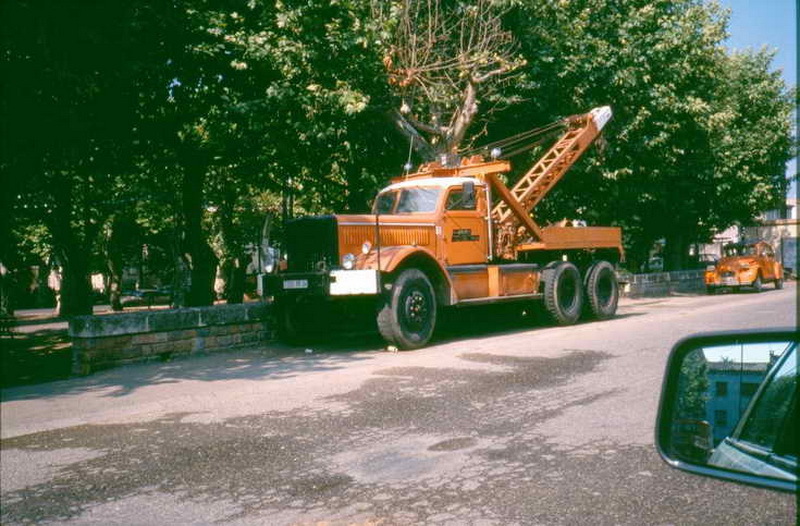 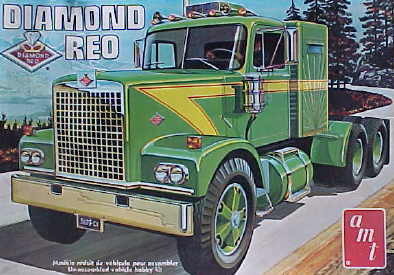 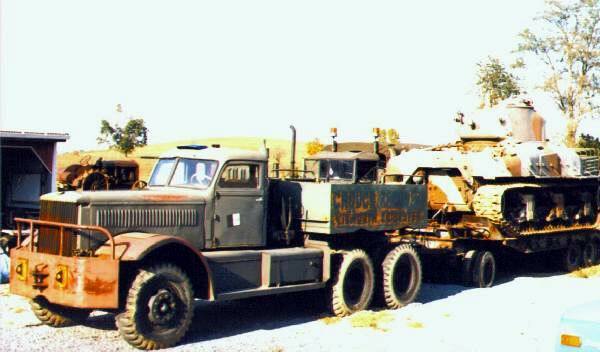 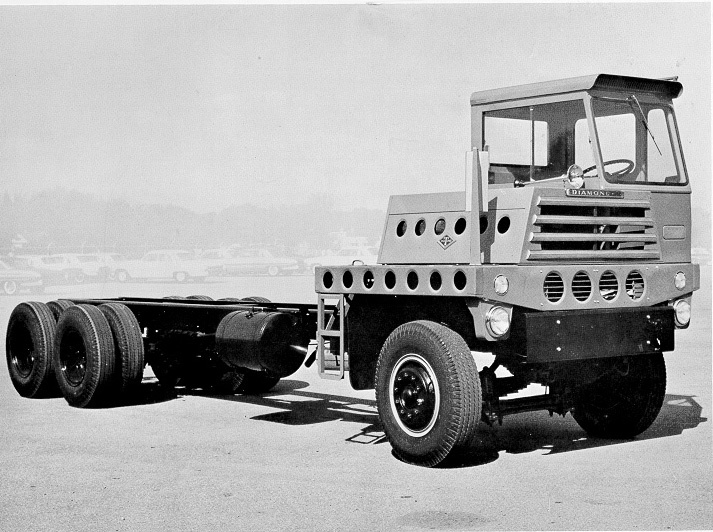 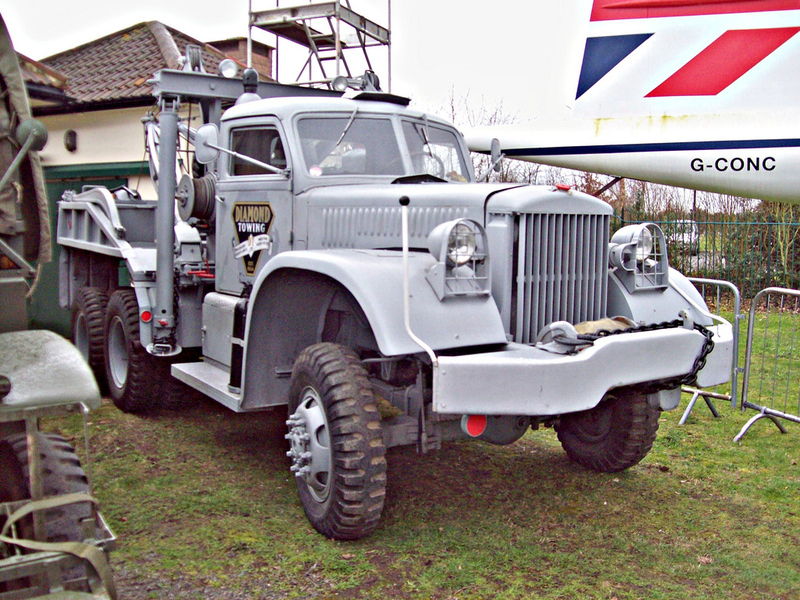 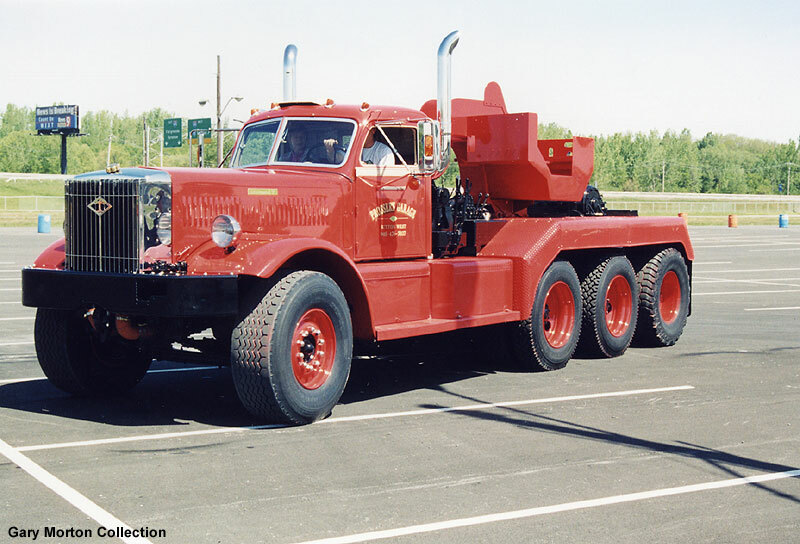 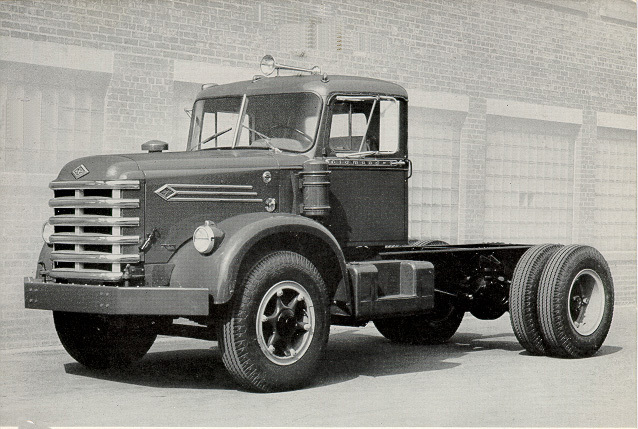 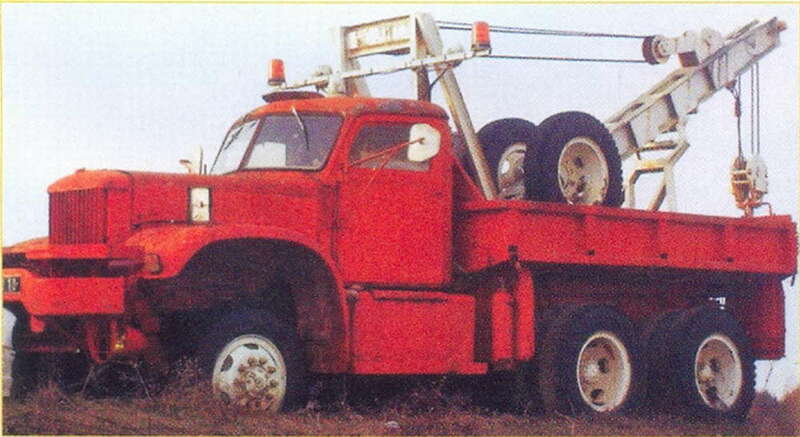 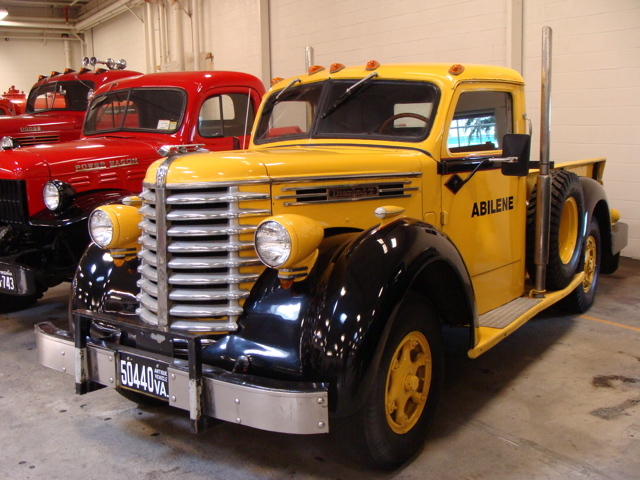 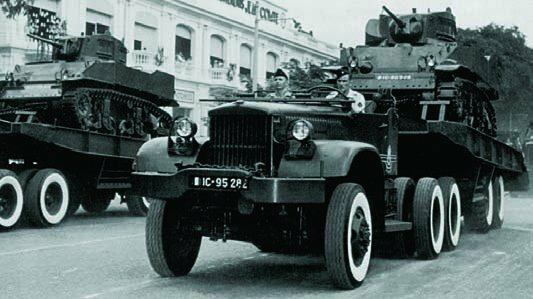 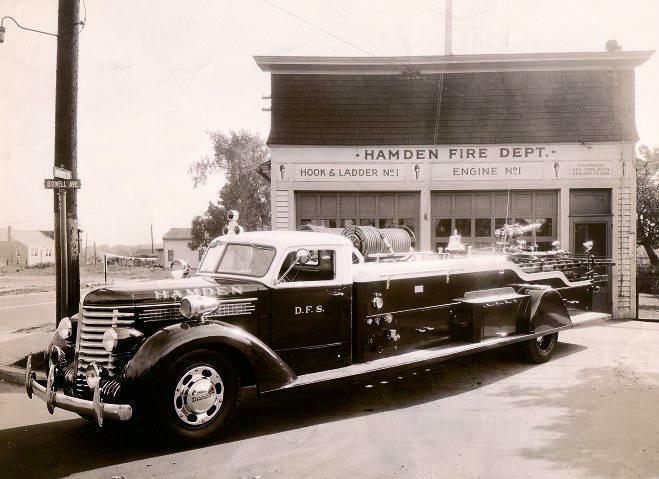 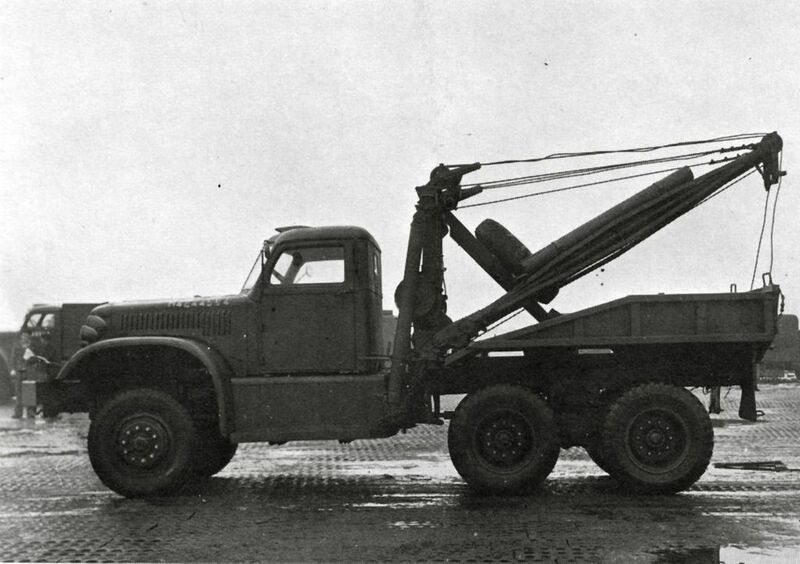 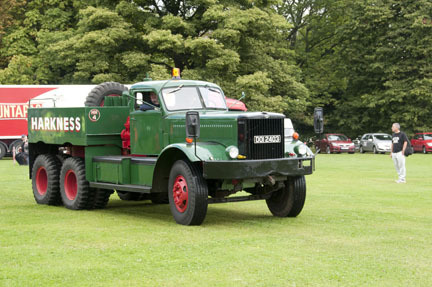 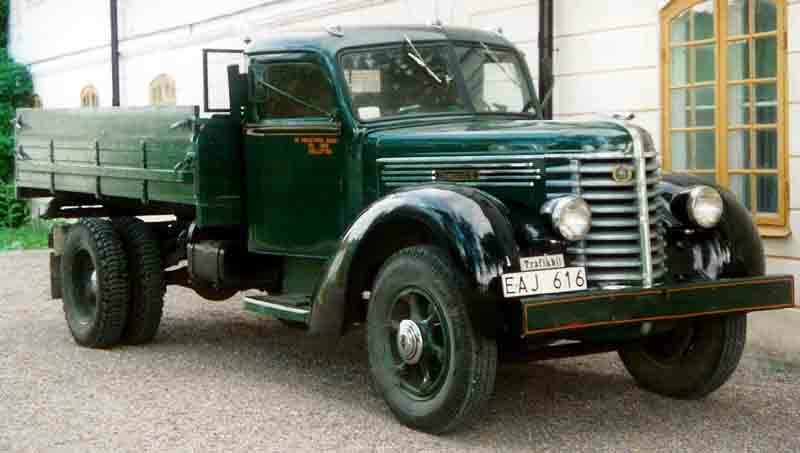 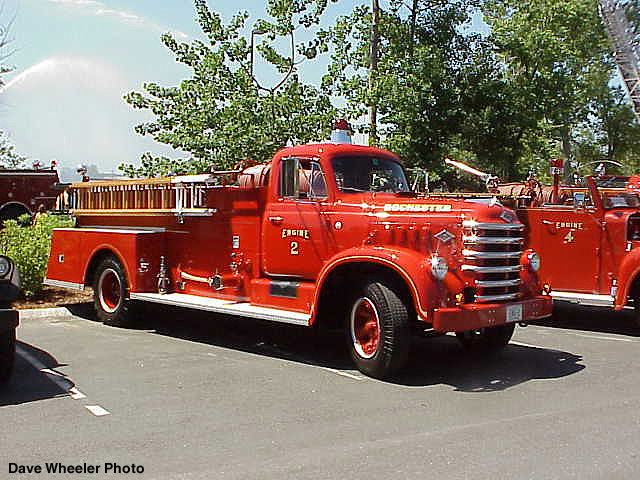 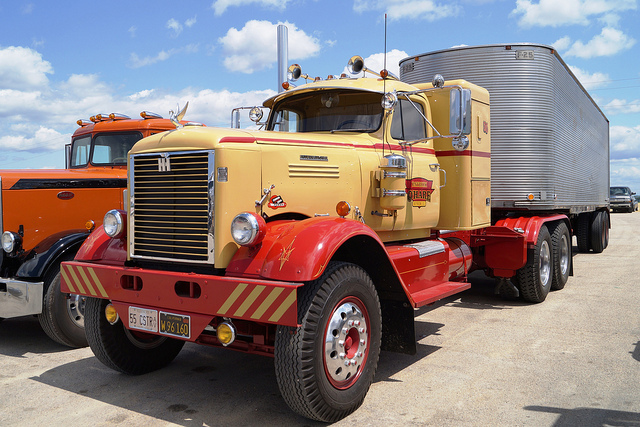 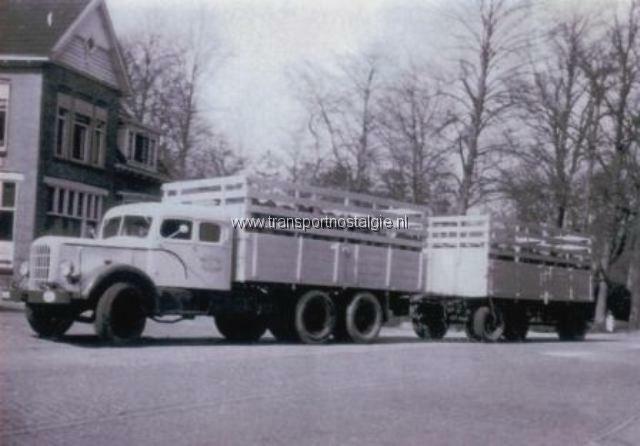 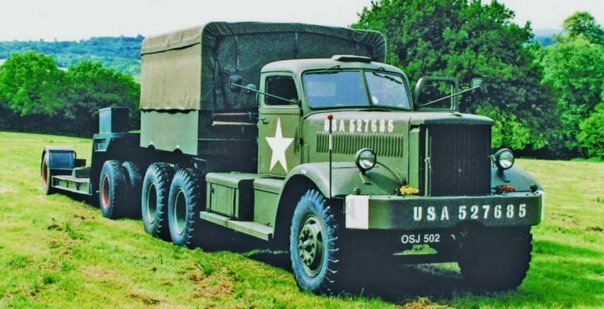 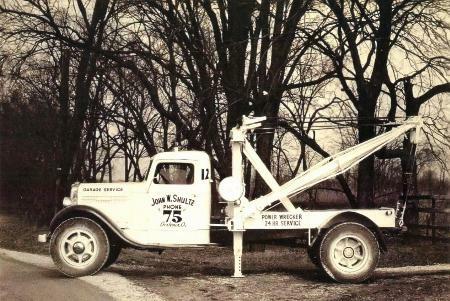 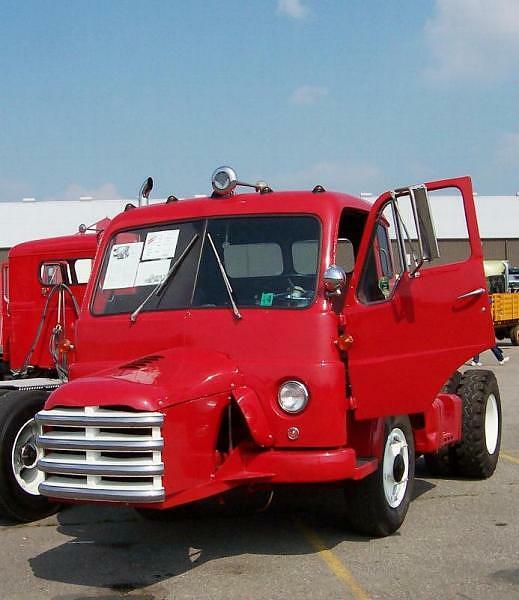 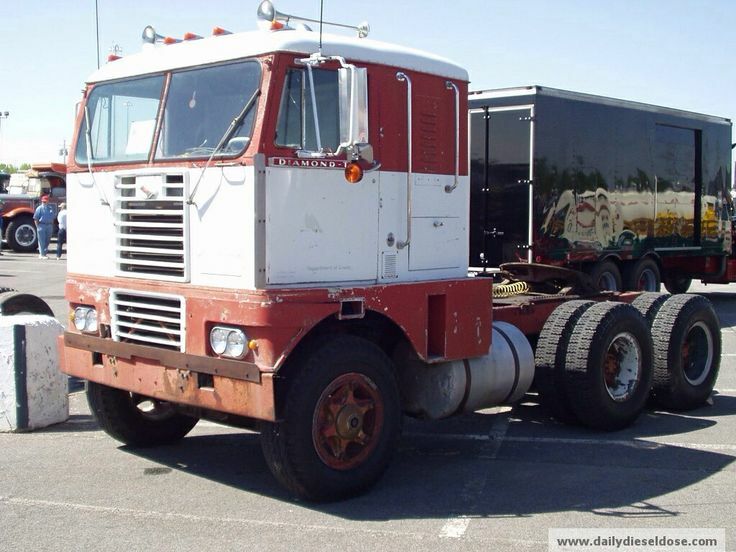 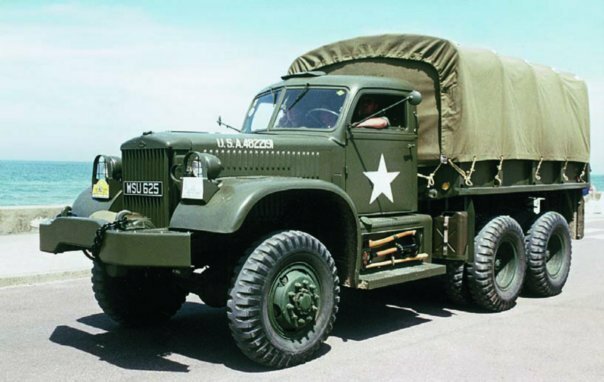 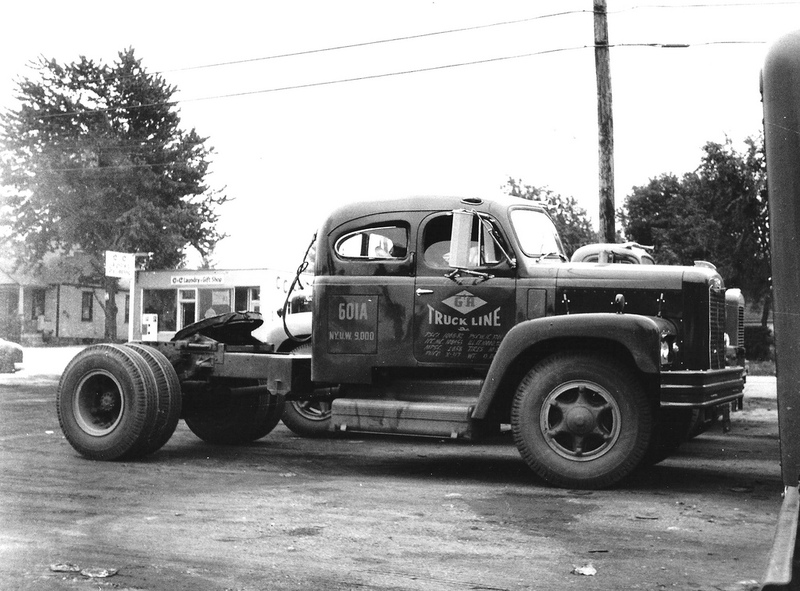 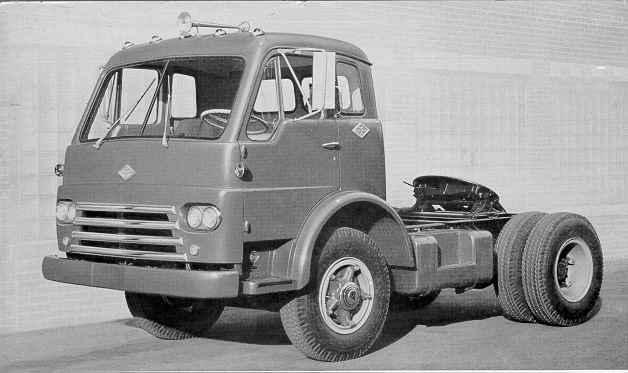 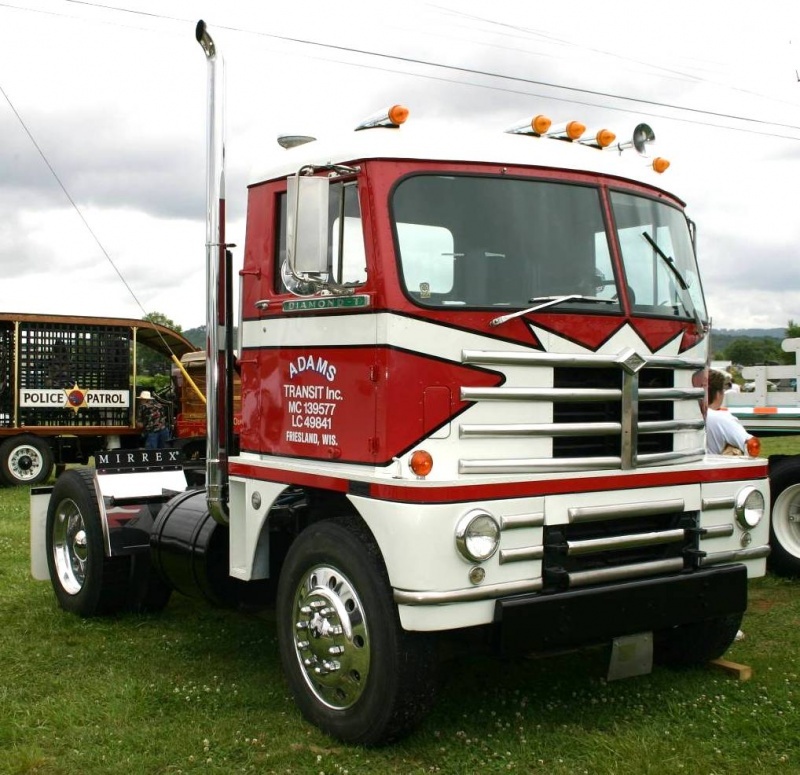 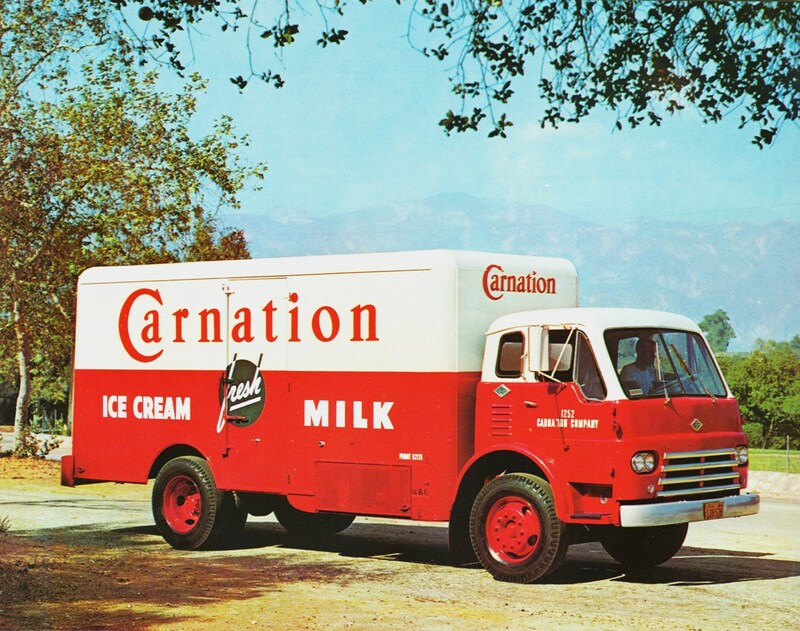 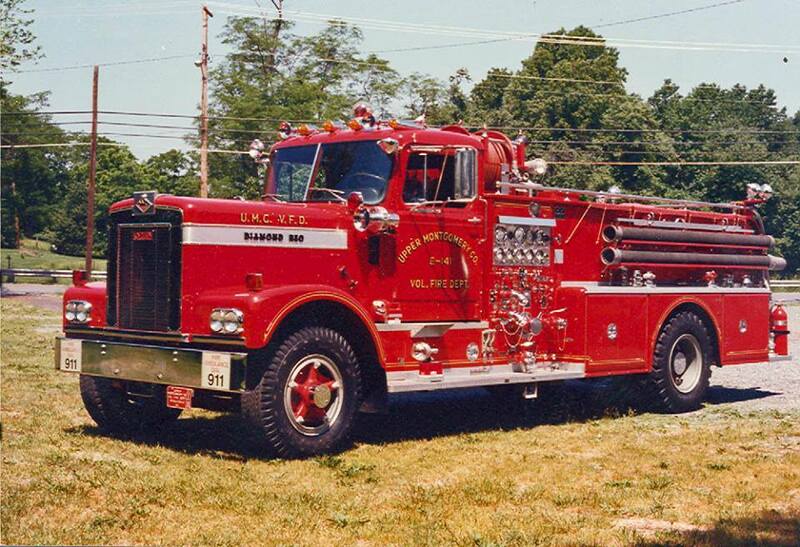 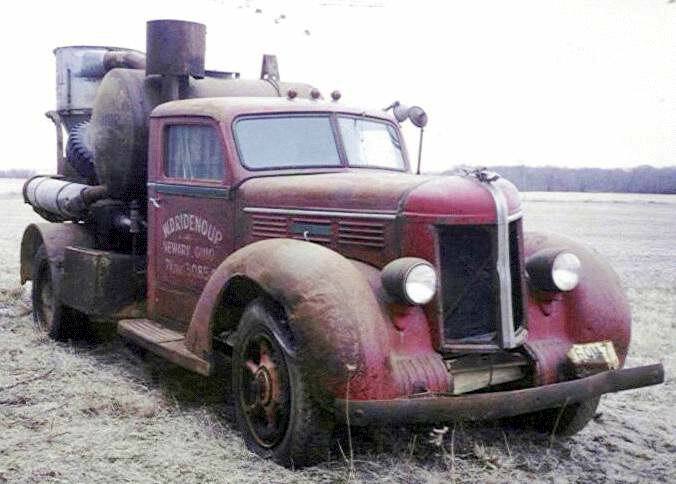 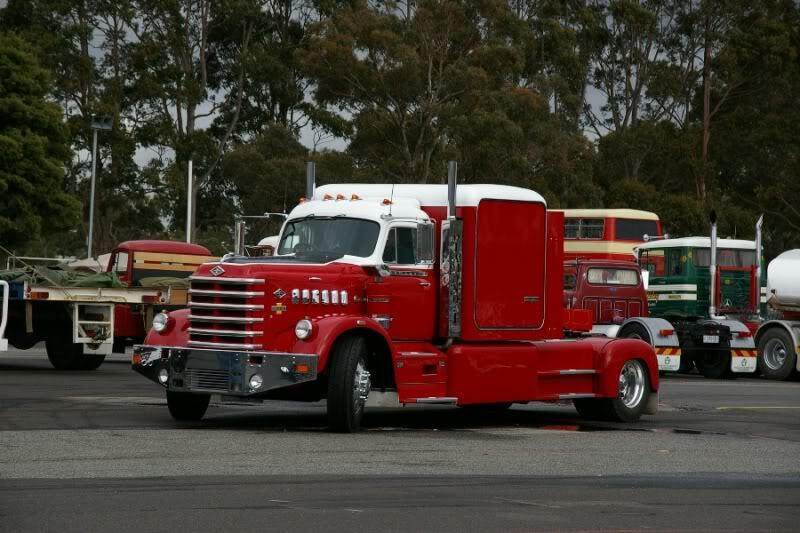 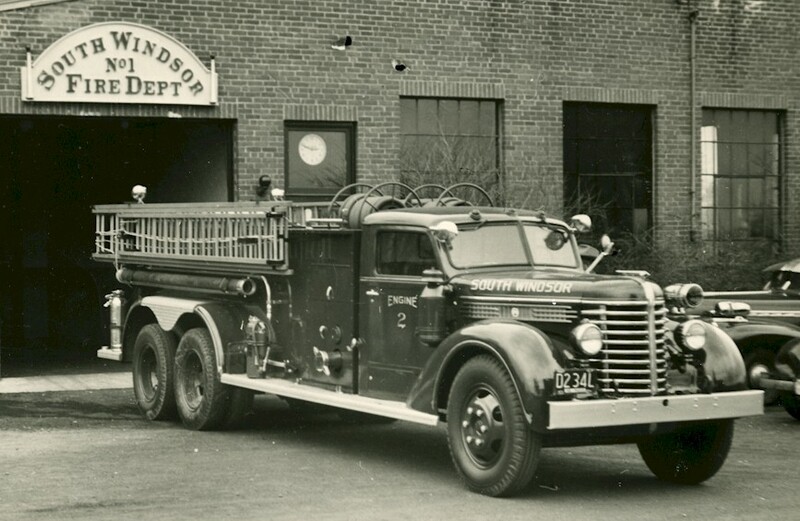 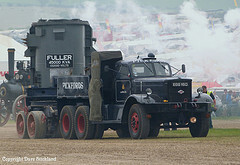 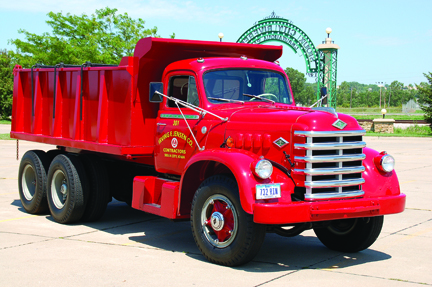 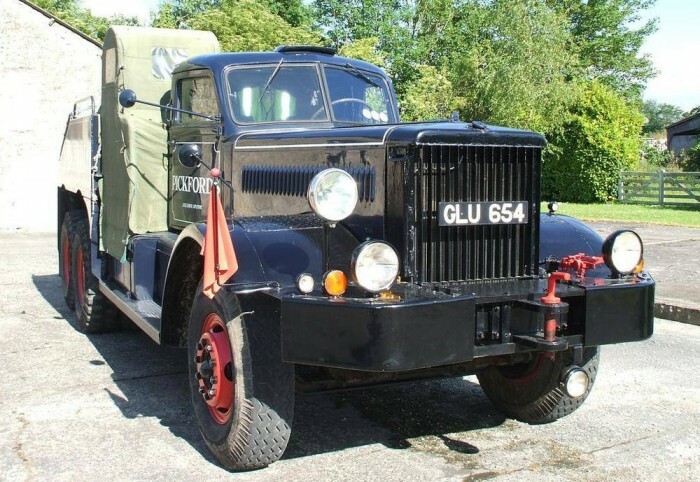 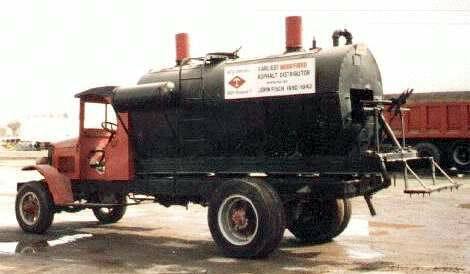 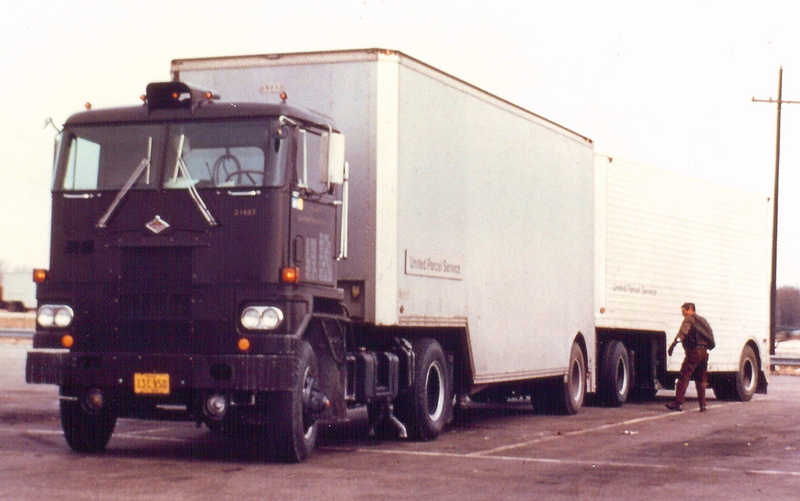 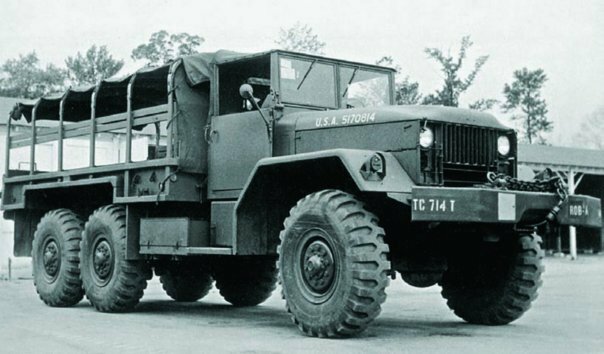 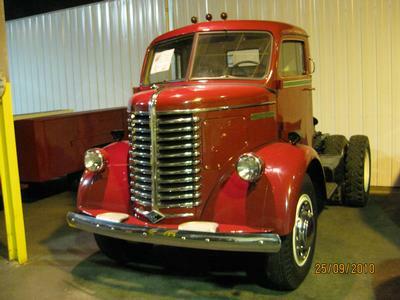 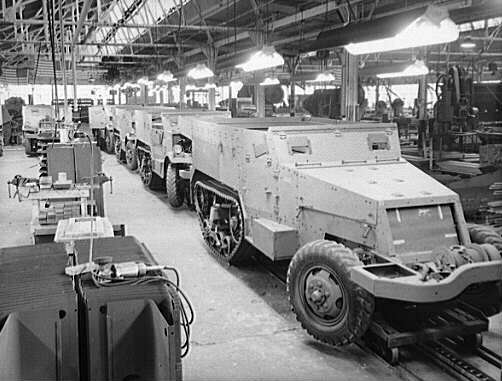 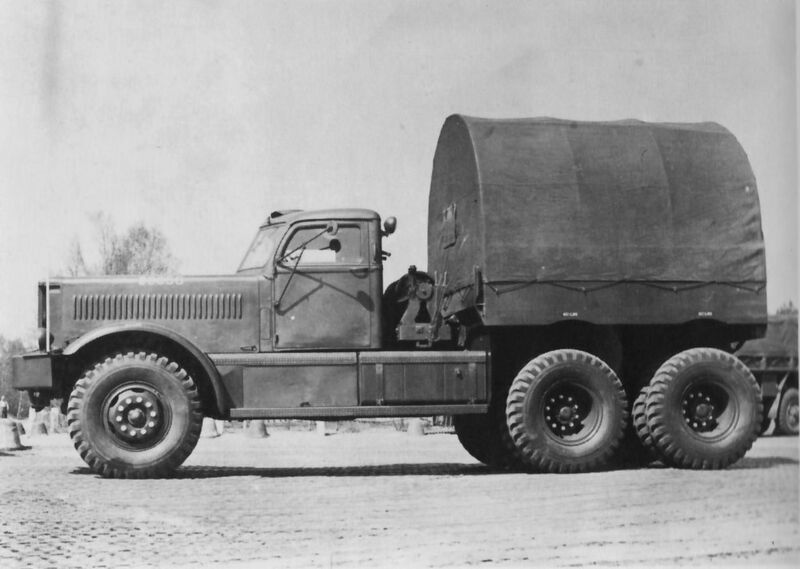 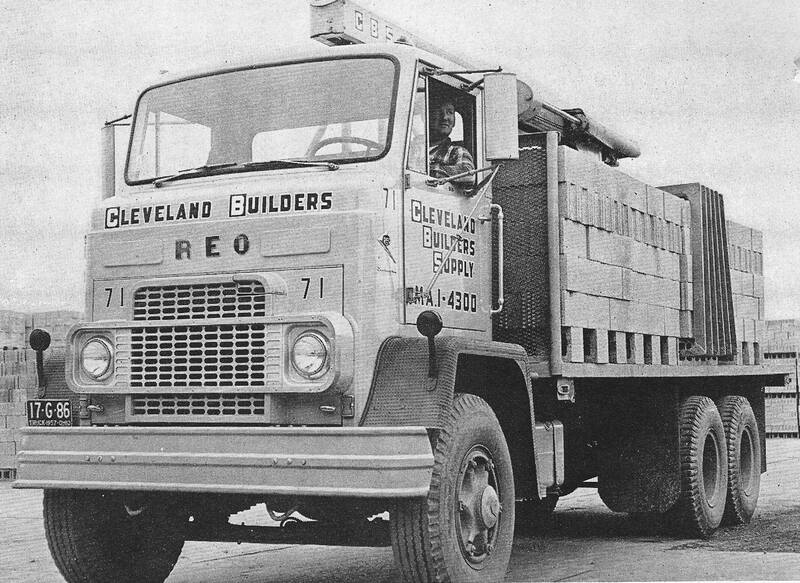 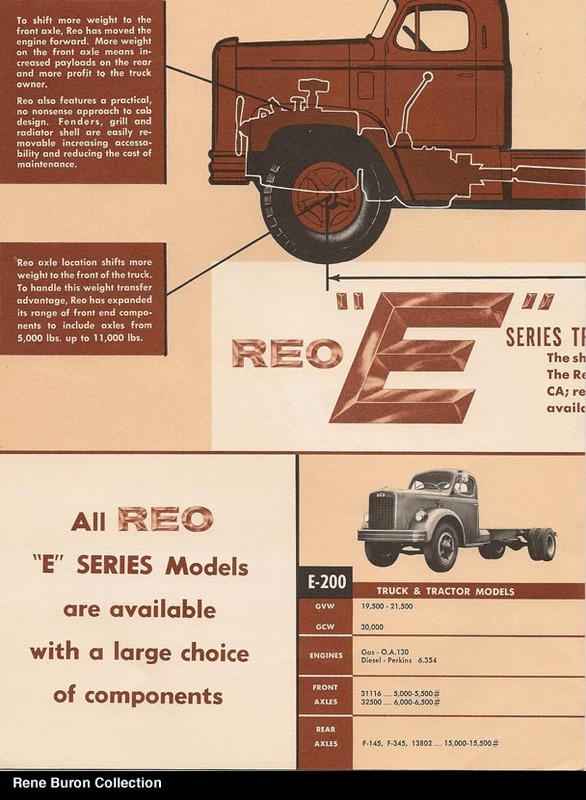 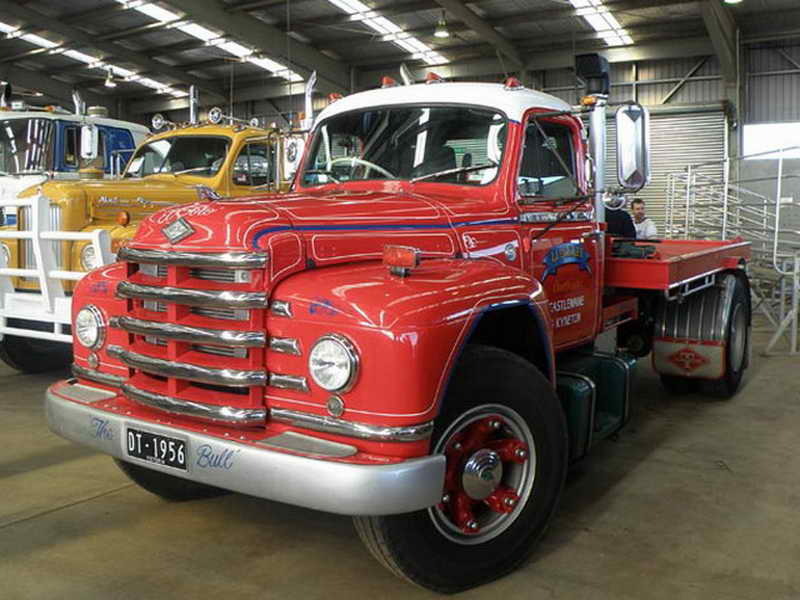 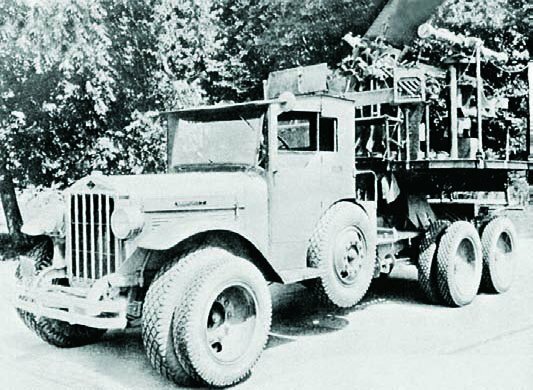 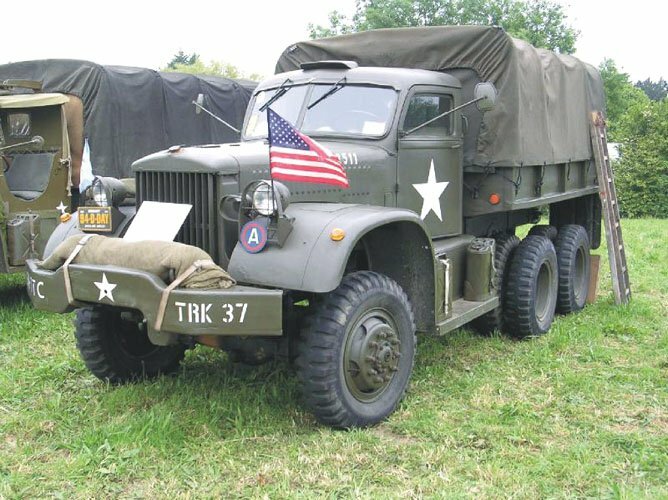 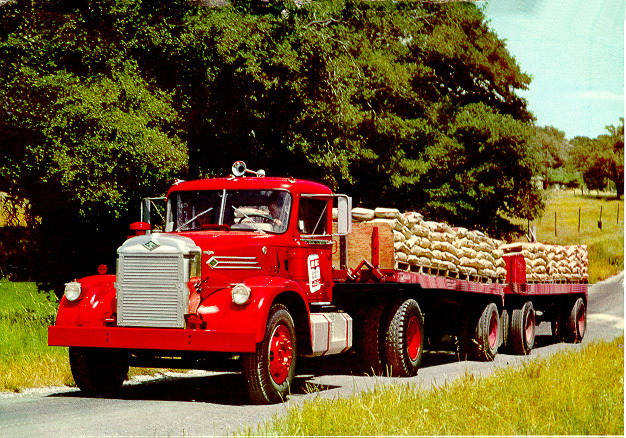 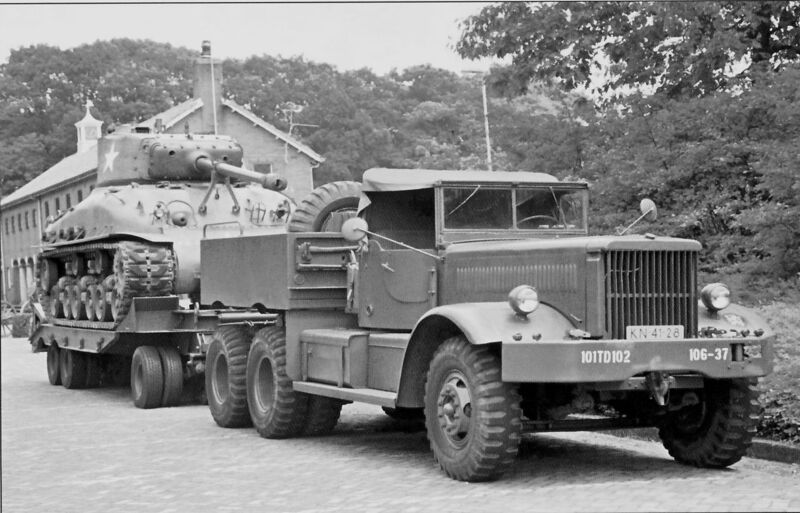 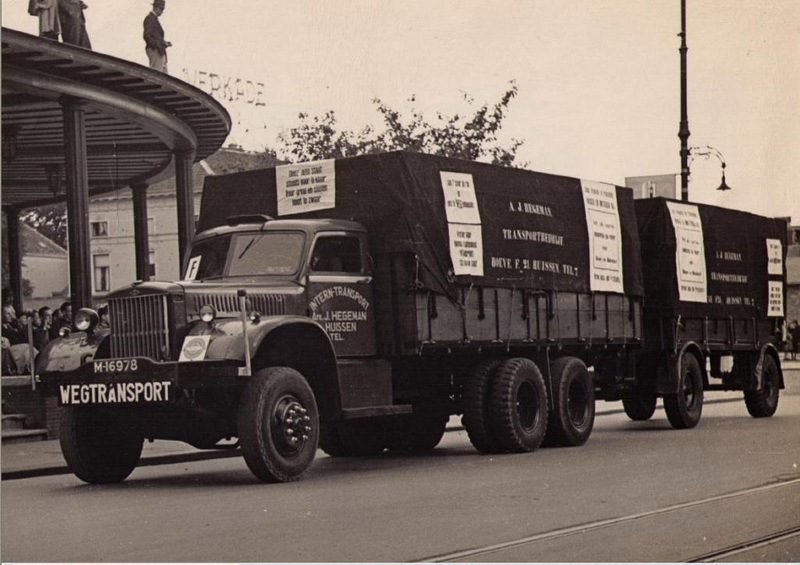 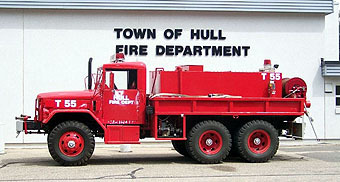 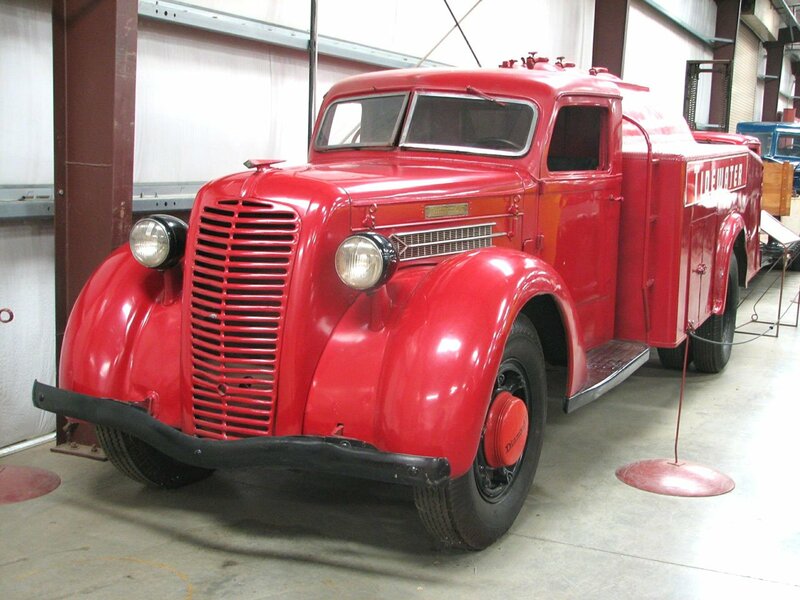 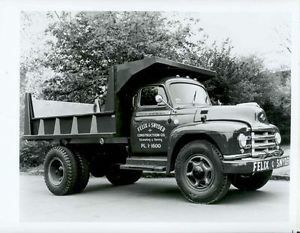 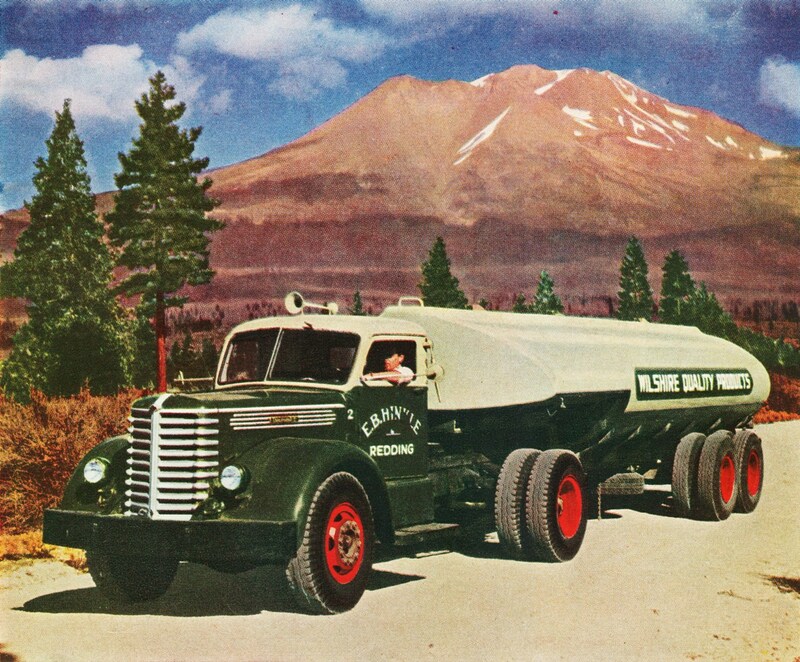 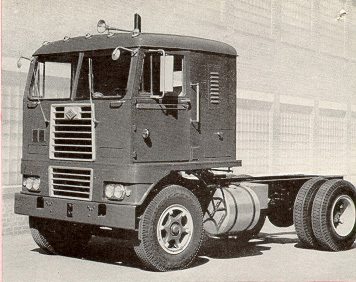 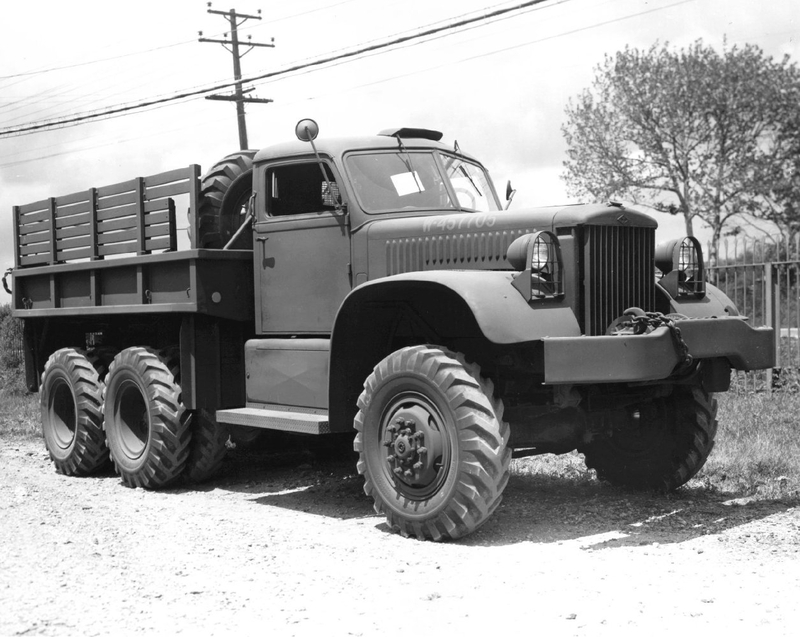 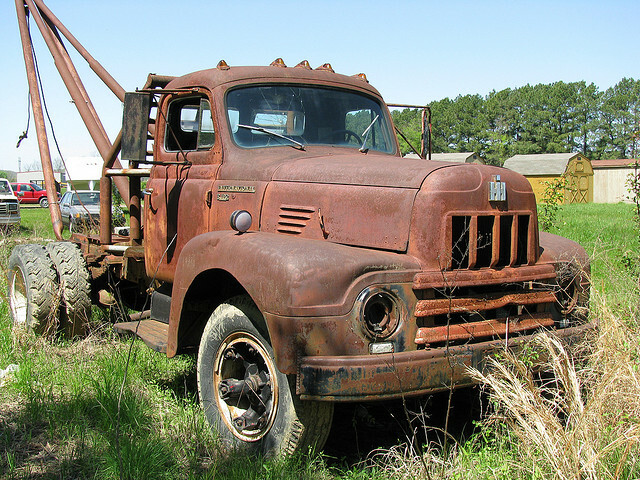 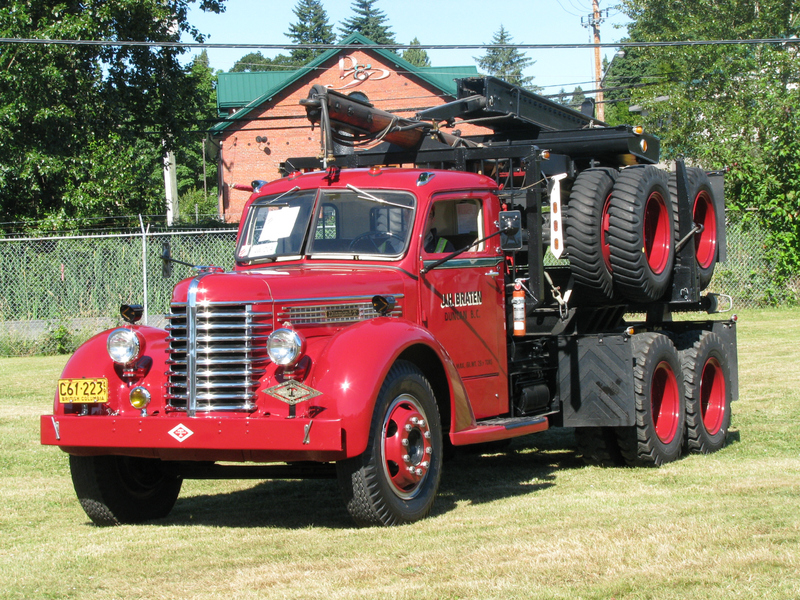 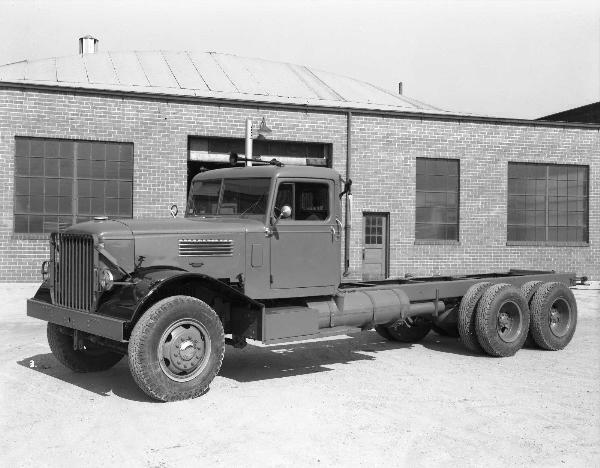 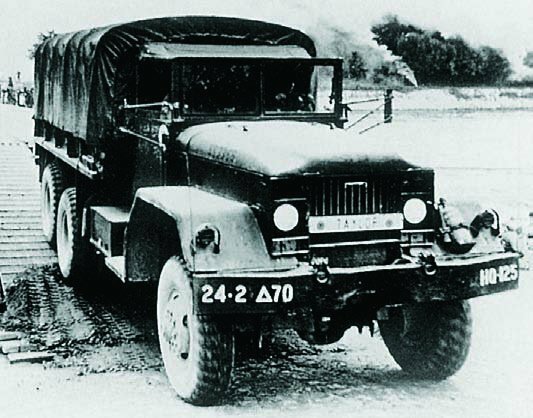 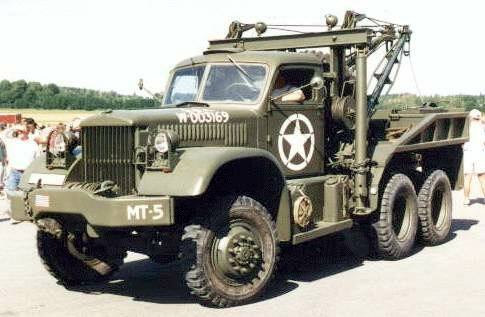 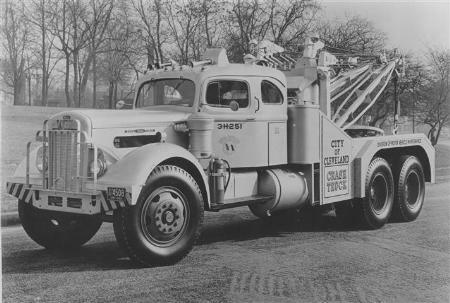 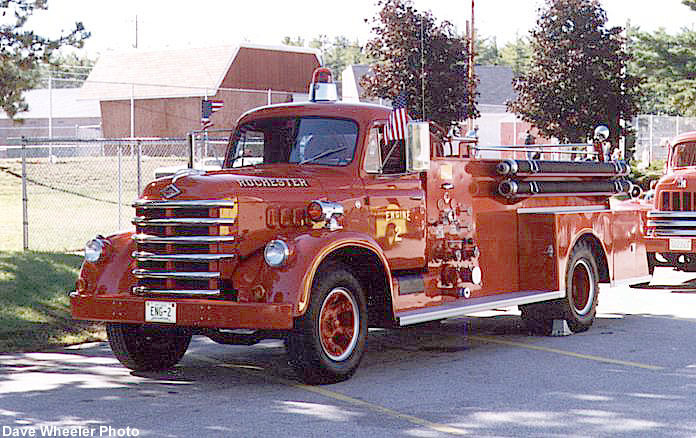 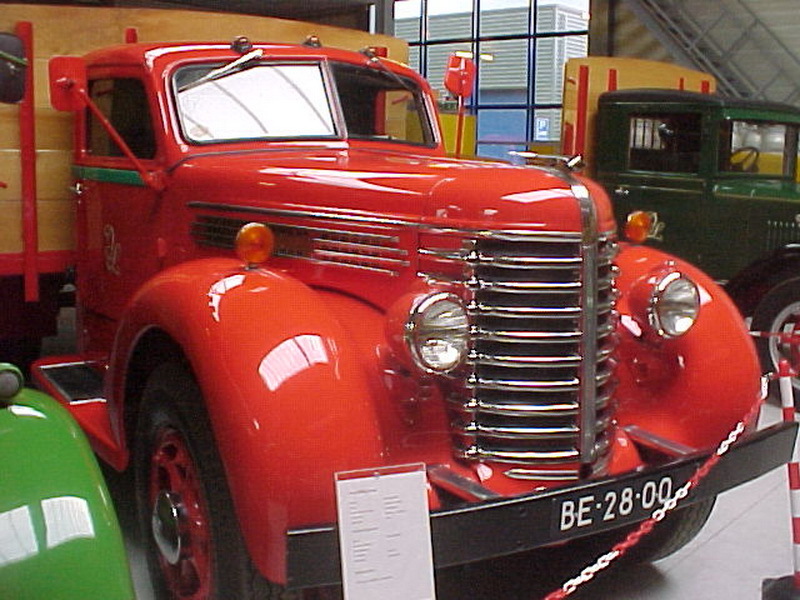 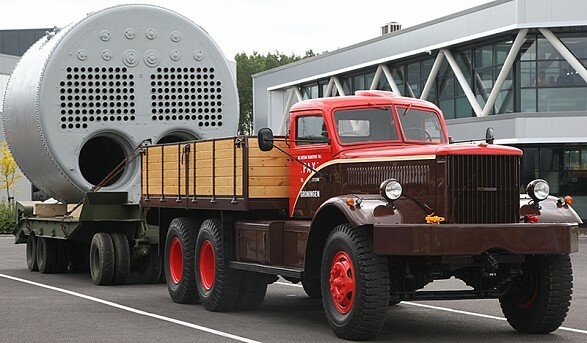 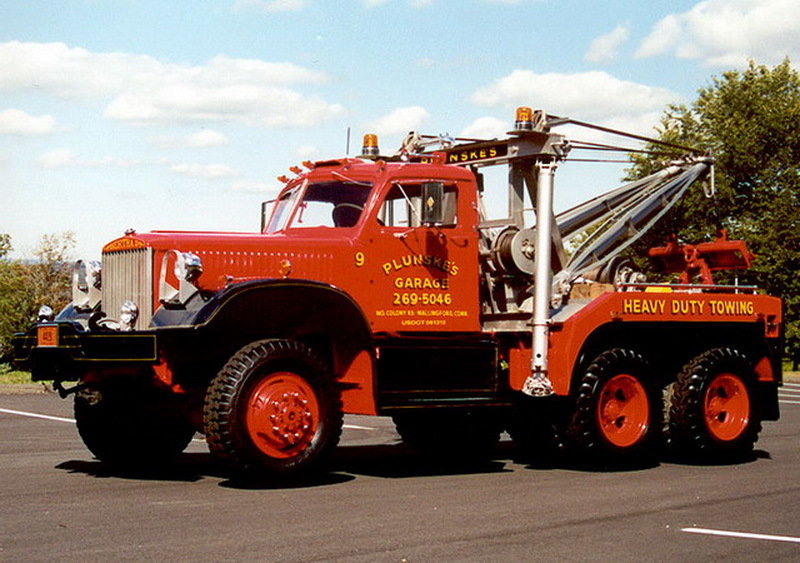 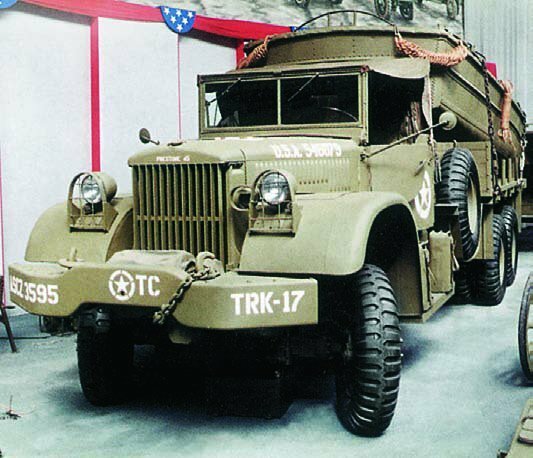 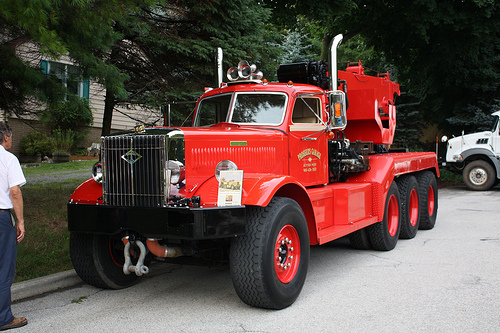 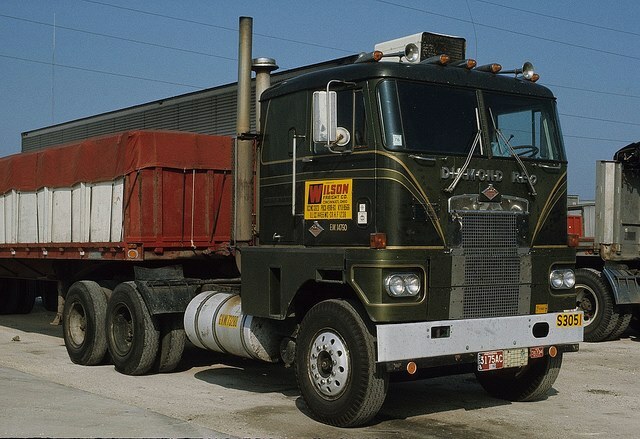 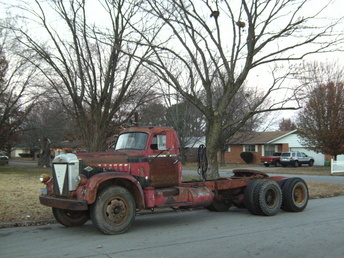 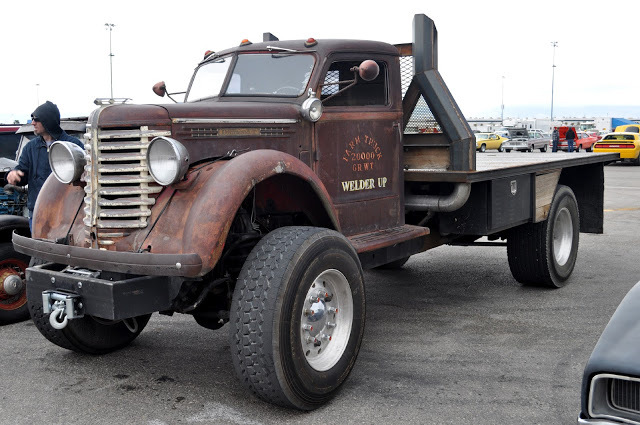 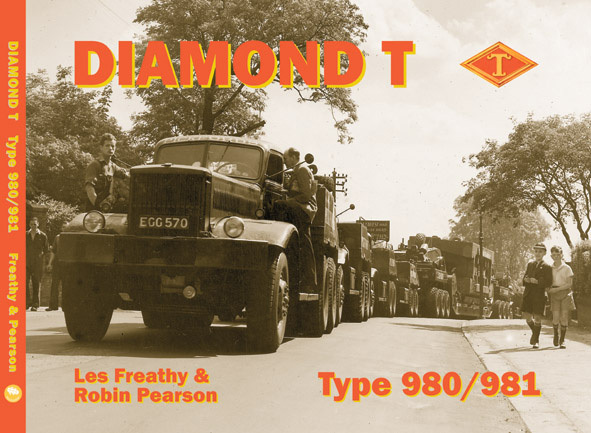 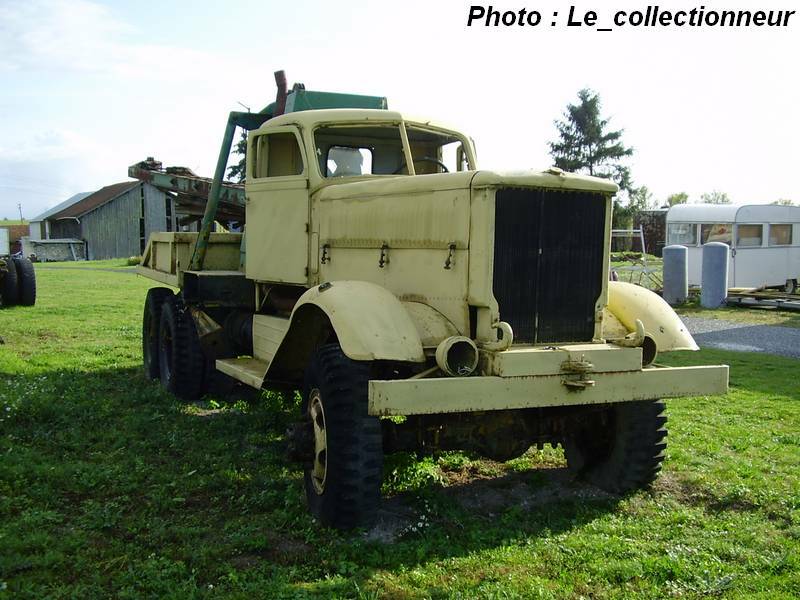 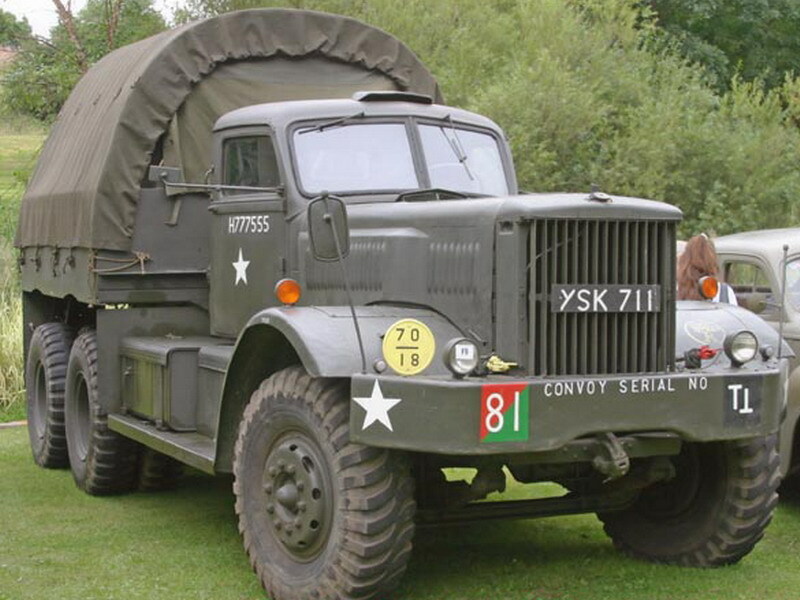 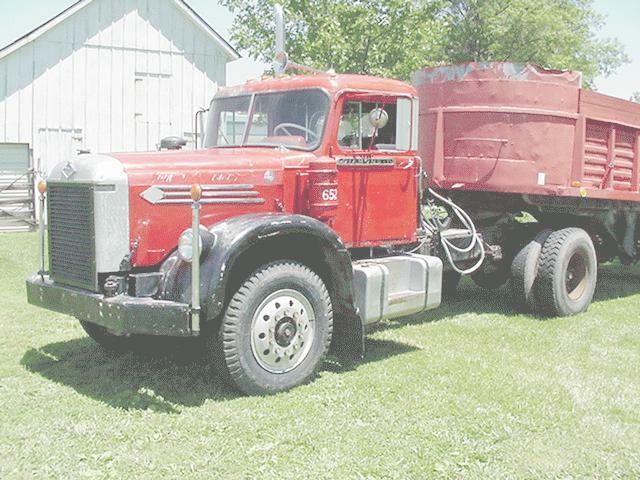 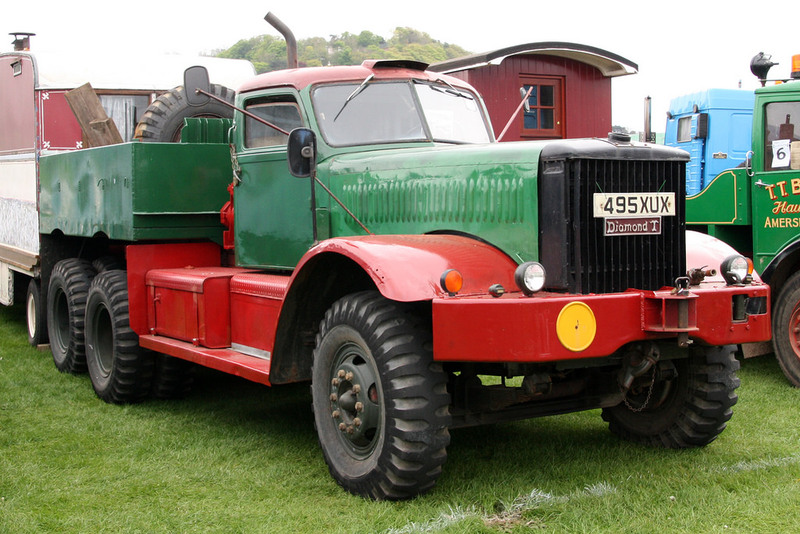 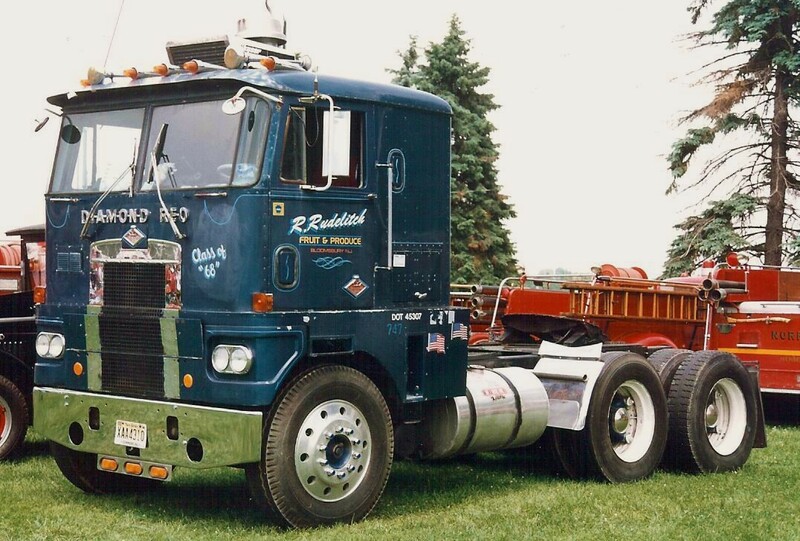 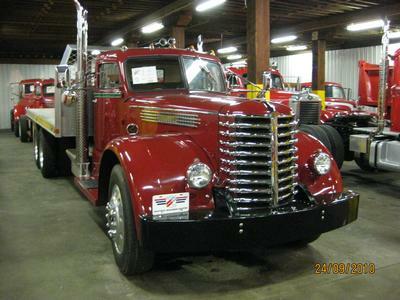 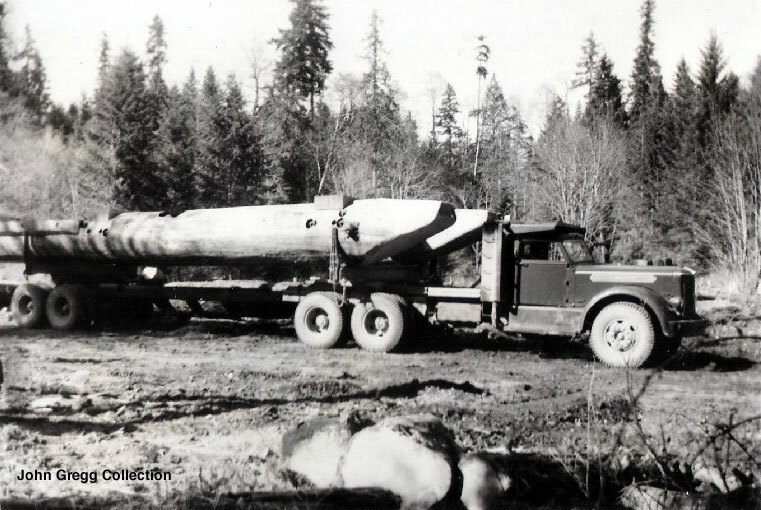 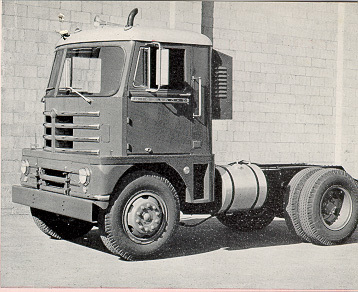 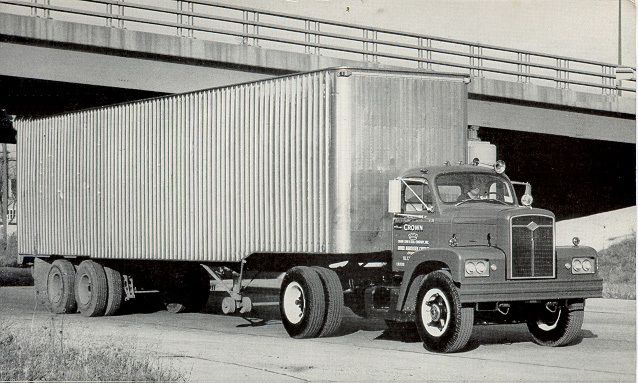 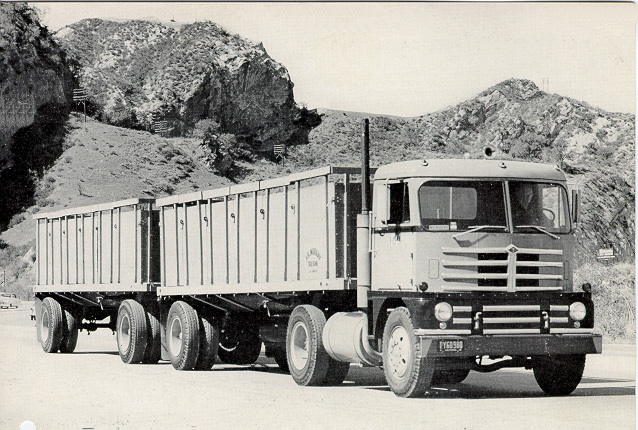 By 1967, as a subsidiary of White Motor Company, it was merged with Reo Motor Company to become Diamond Reo Trucks, Inc.
During World War II, Diamond T produced a classic heavy truck in the 980/981, a prime mover which was quickly acquired by the British Purchasing Commission for duty as a tank transportertractor. 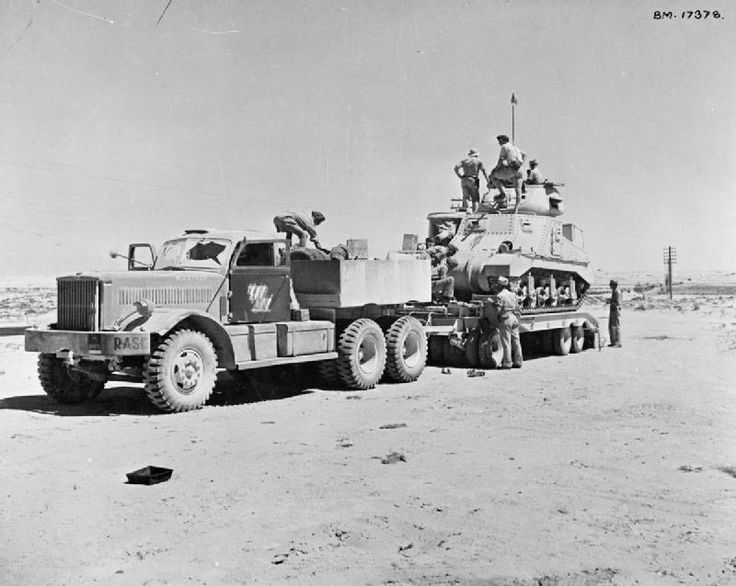 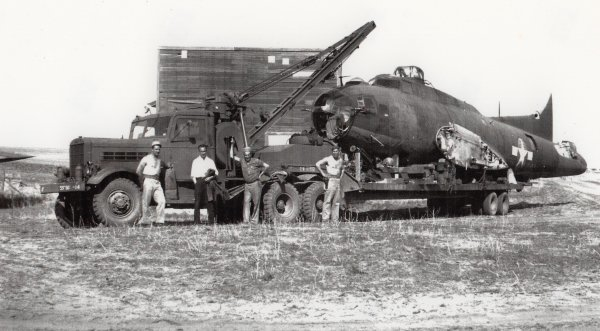 Coupled with a Rogers trailer, the truck gave sterling service with the British Army in North Africa Campaign, where its power and rugged construction allowed the rescue of damaged tanks in the most demanding of conditions. 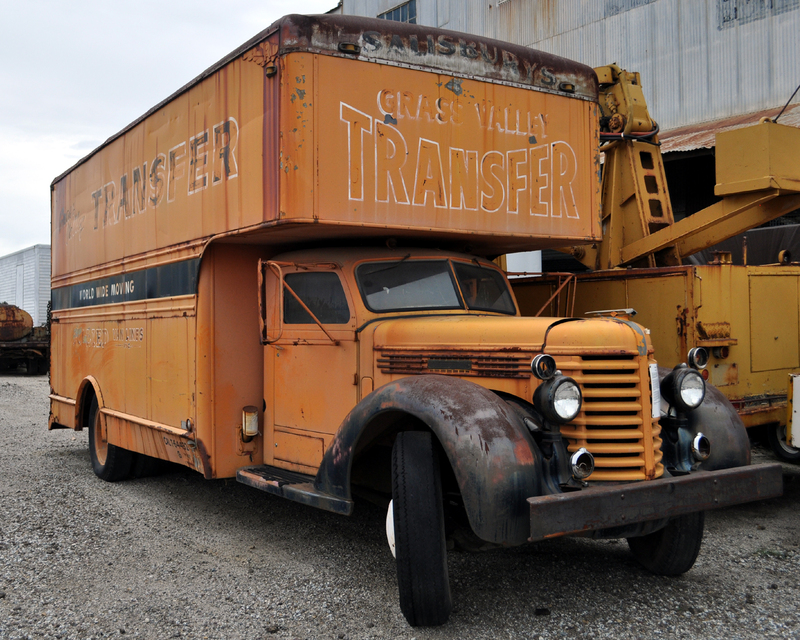 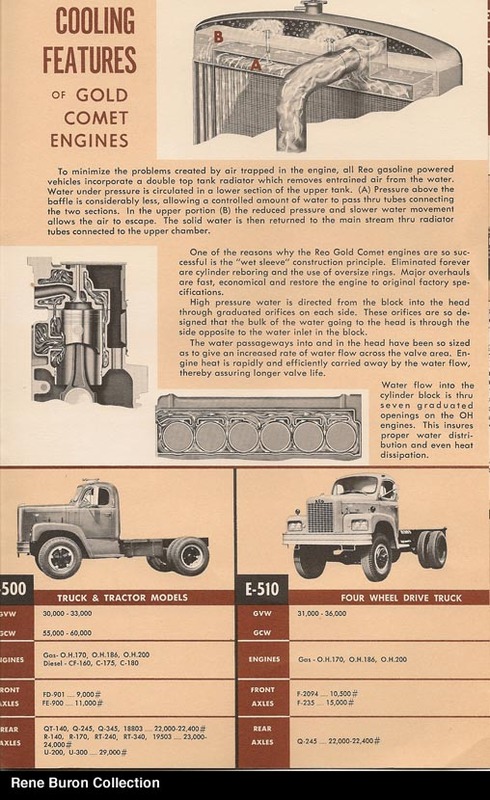 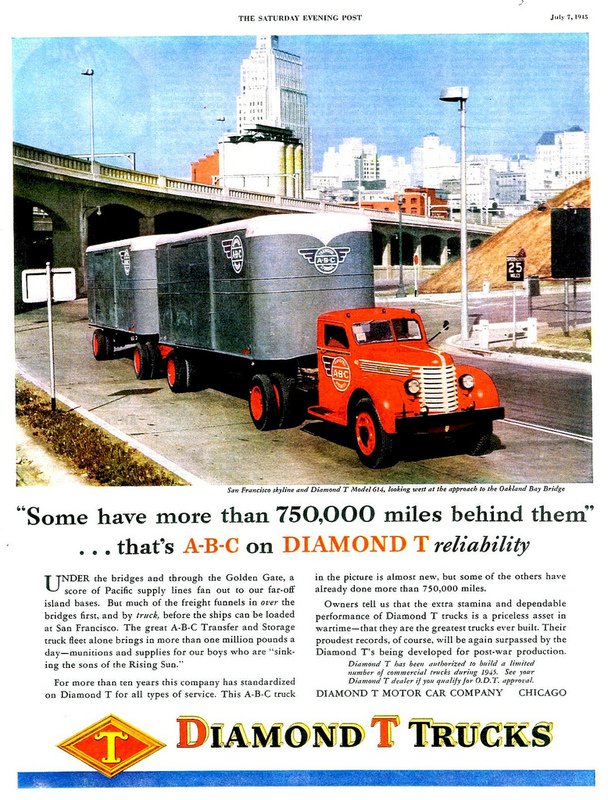 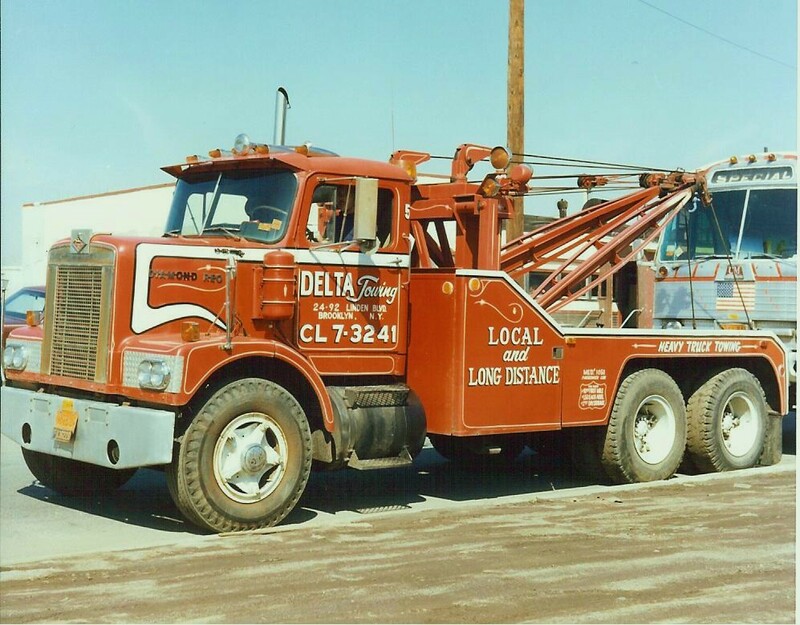 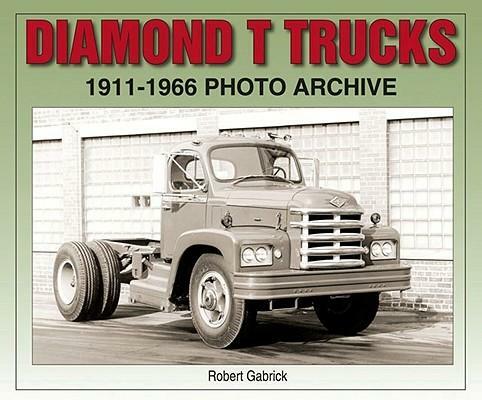 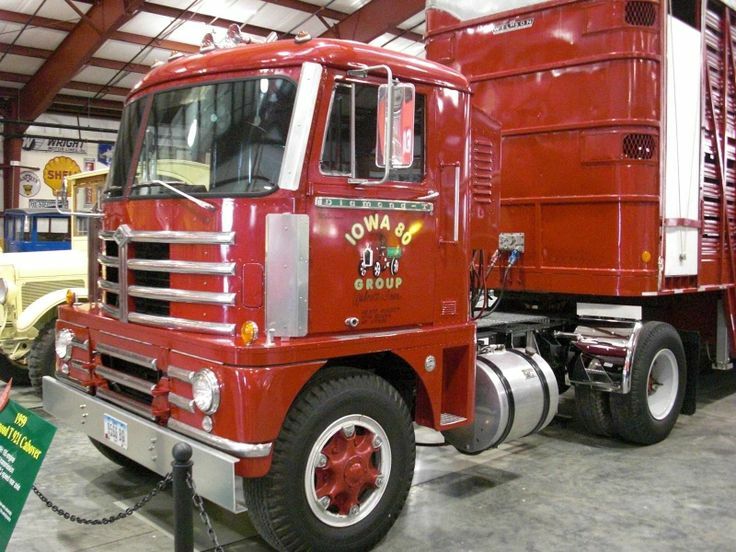 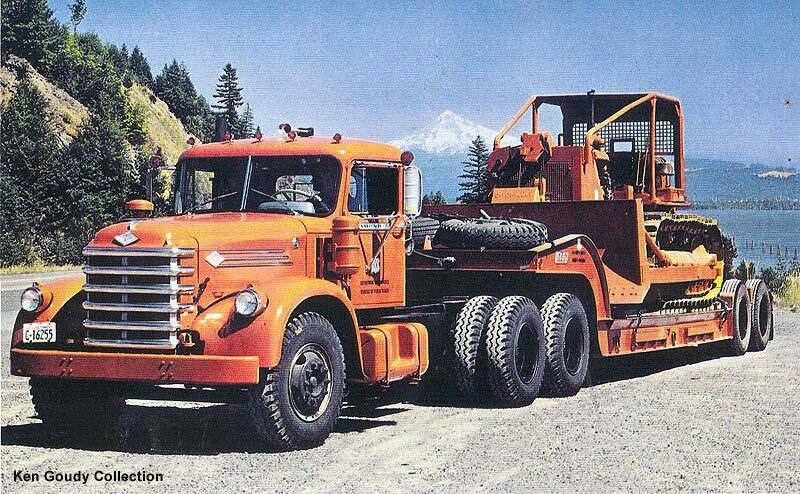 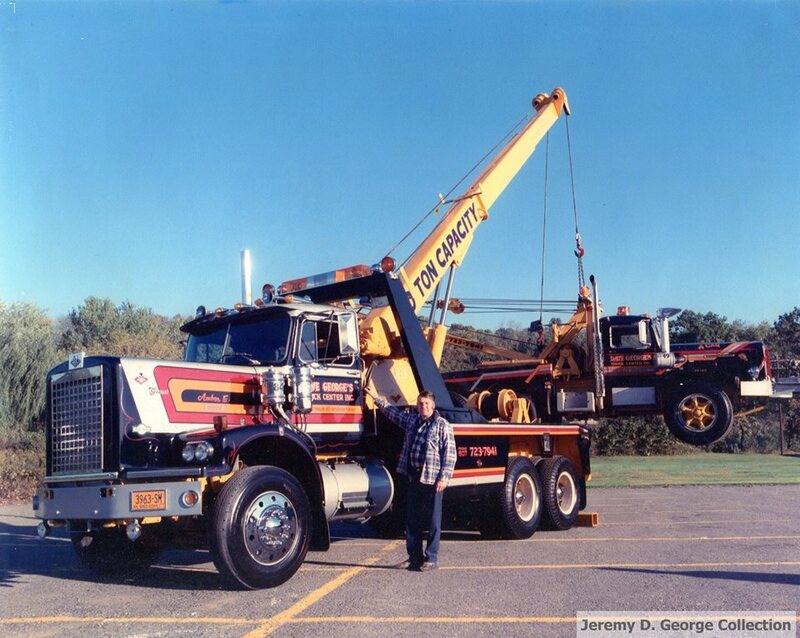 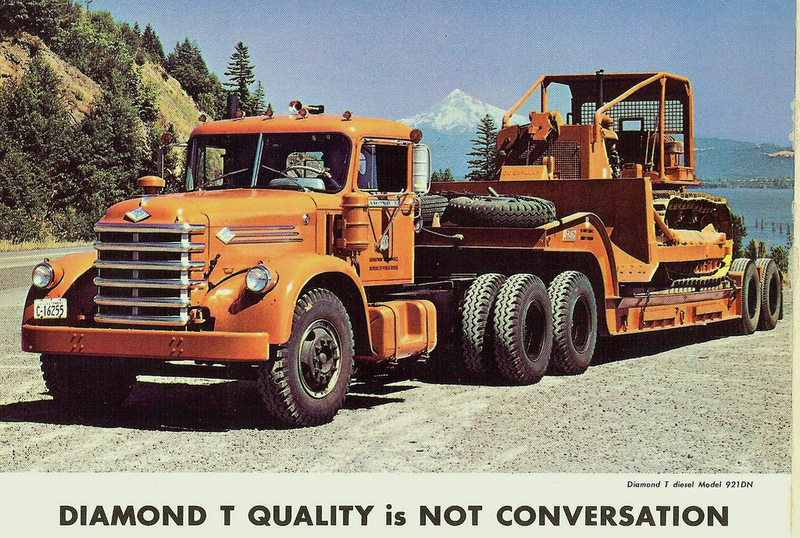 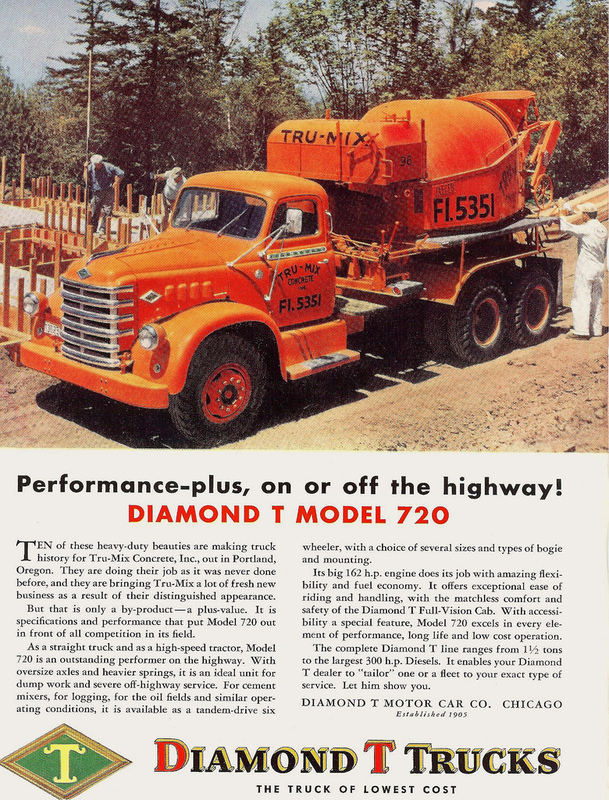 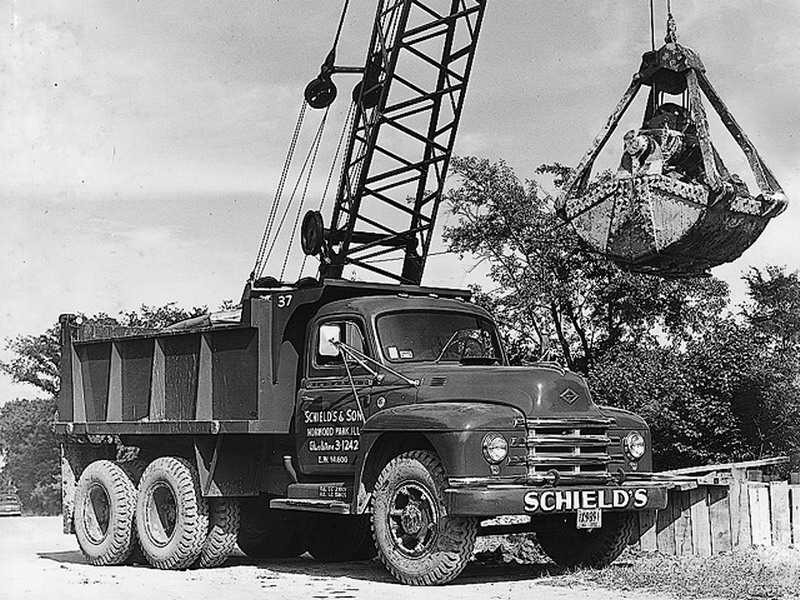 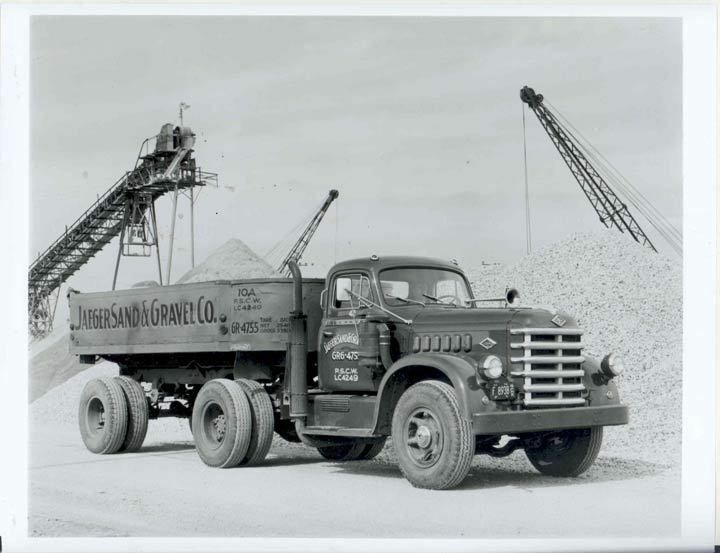 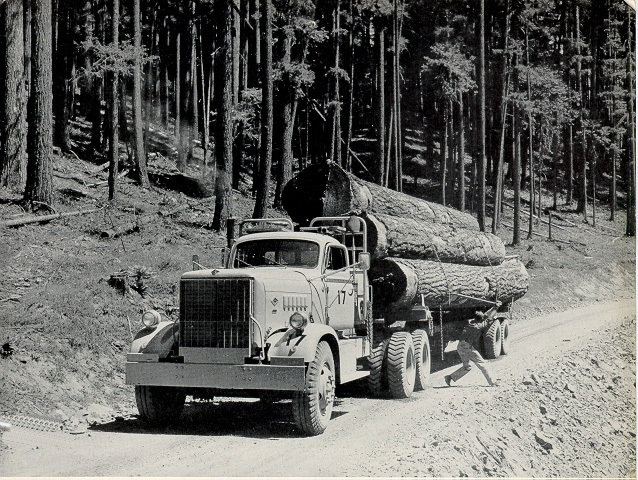 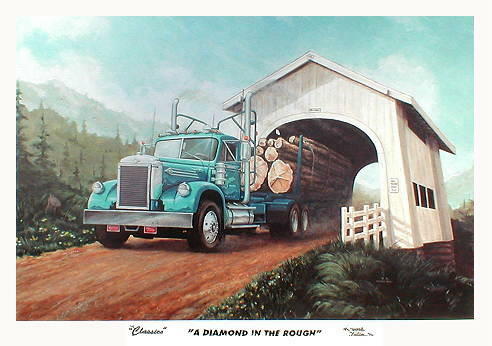 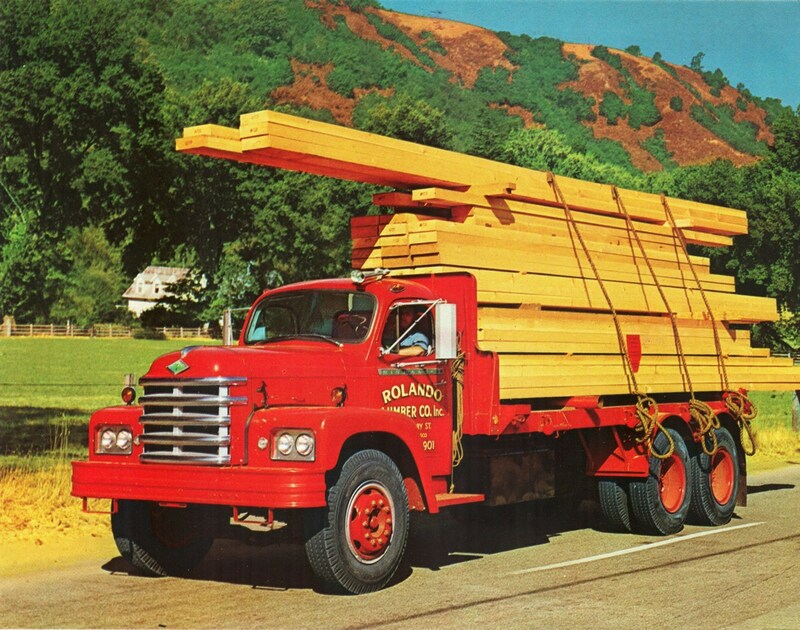 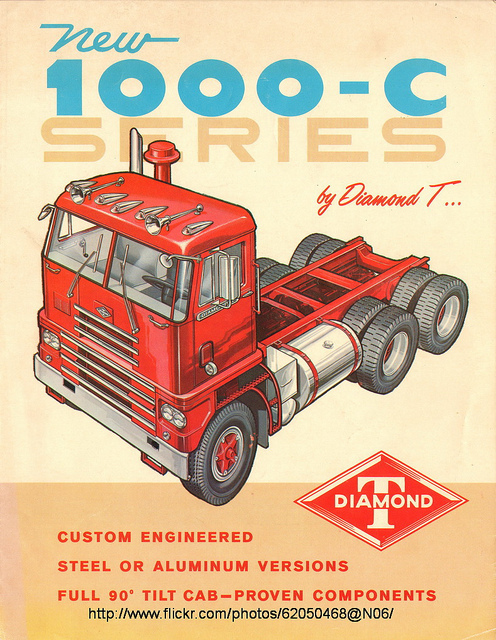 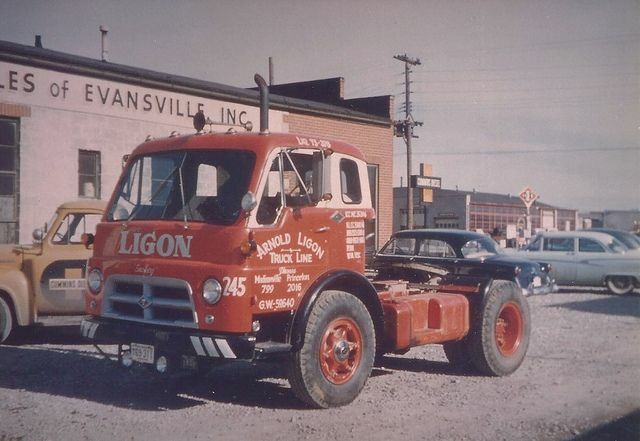 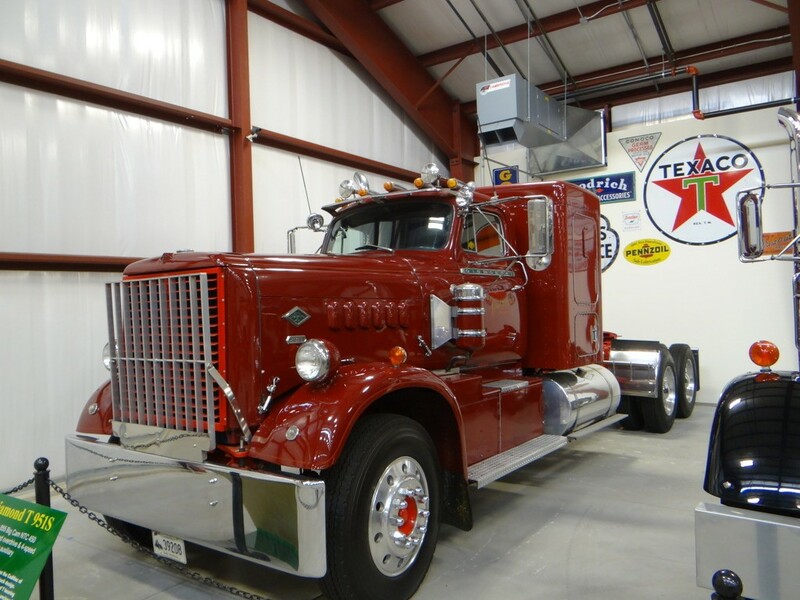 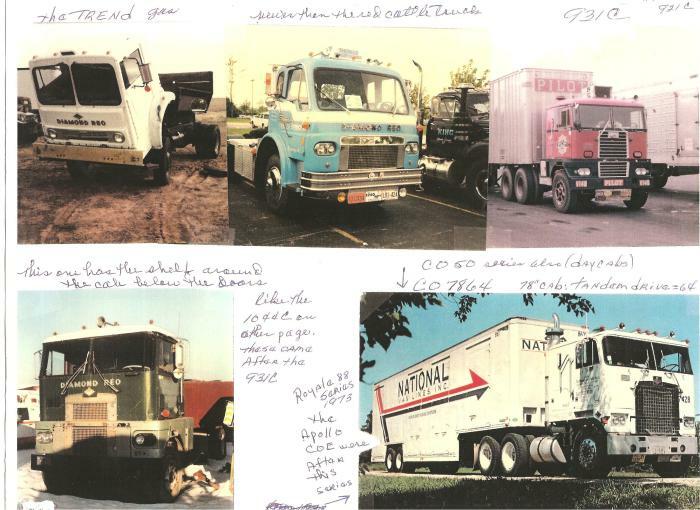 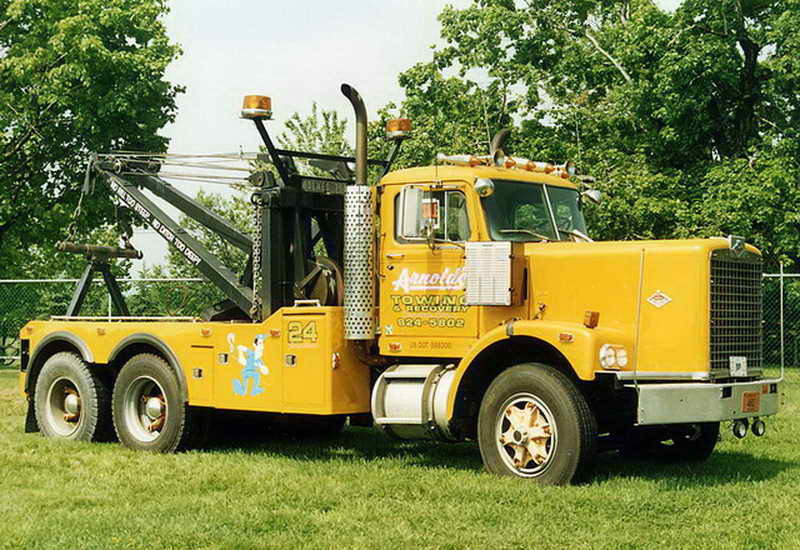 In addition Diamond T built the entire range of the G509 series 4 ton 6X6s, including cargo, dump, semi tractor, and wrecker trucks, as well as some lighter trucks, and even G7102 half tracks. 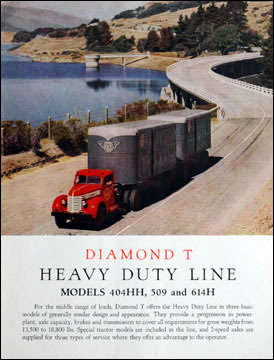 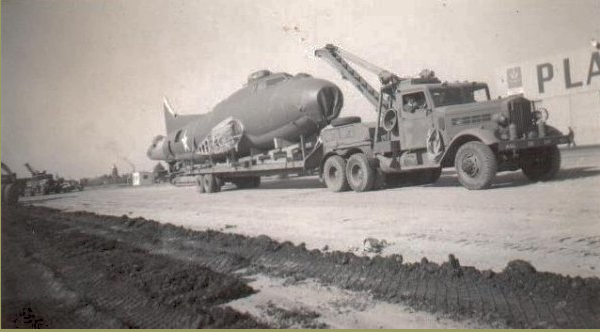 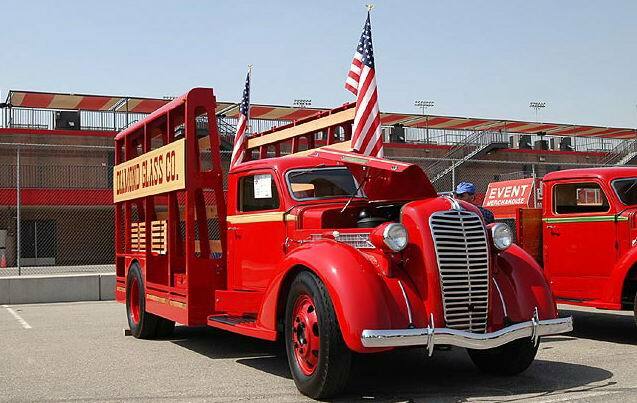 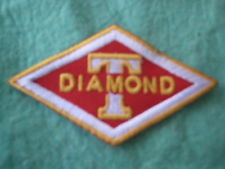 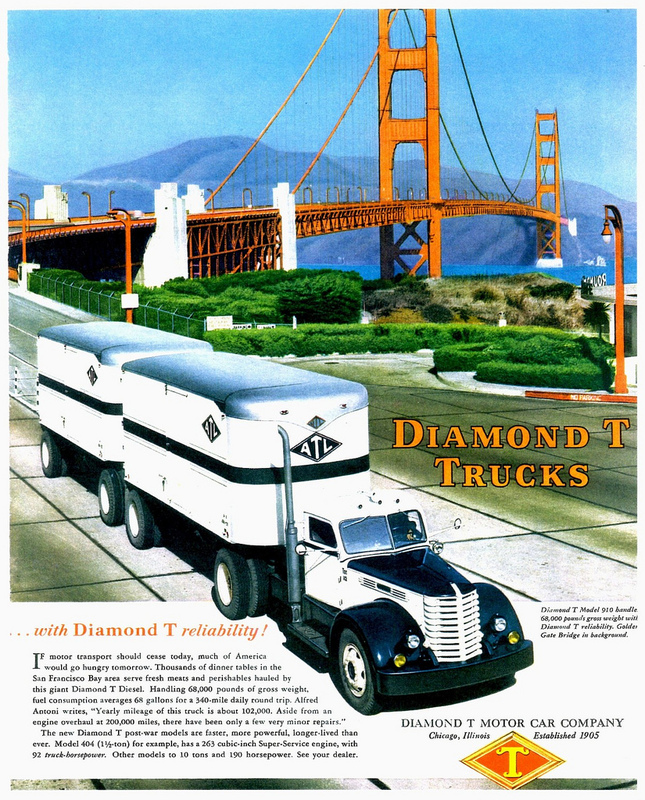 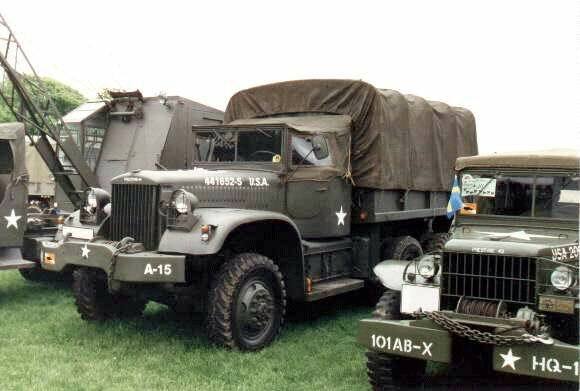 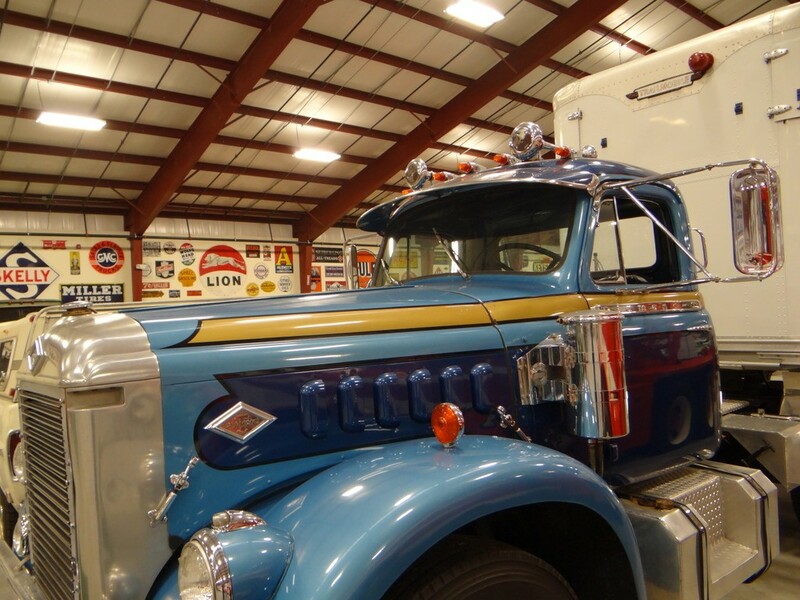 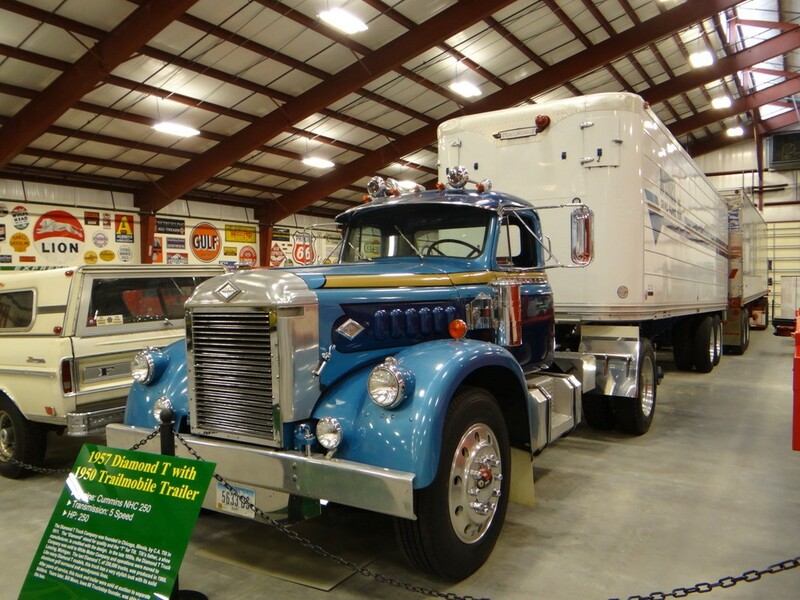 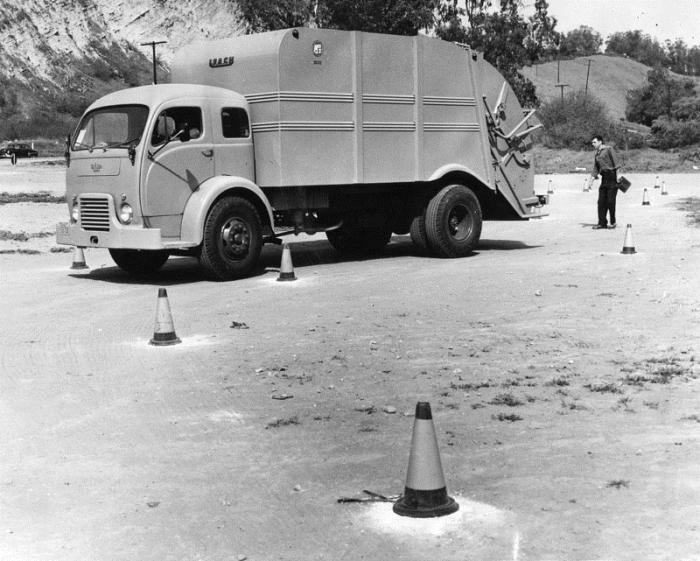 Diamond T ranked 47th among United States corporations in the value of World War II military production contracts. 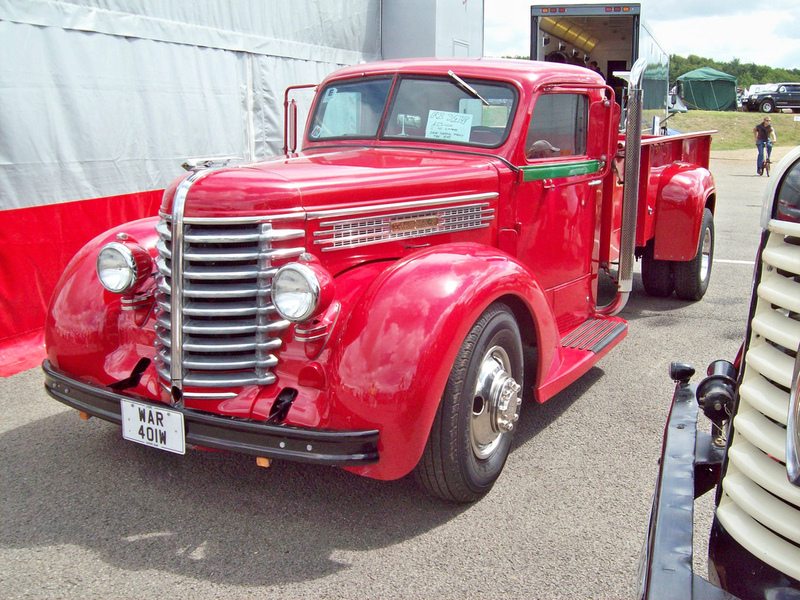 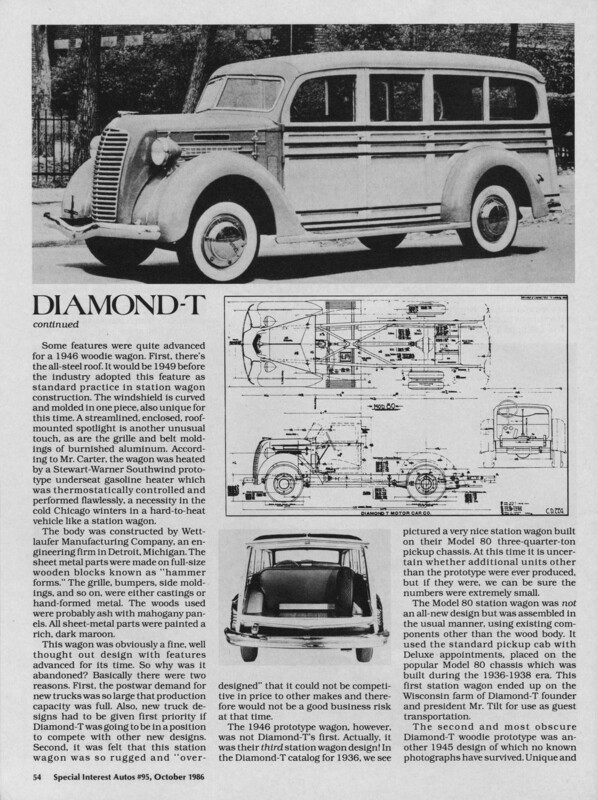 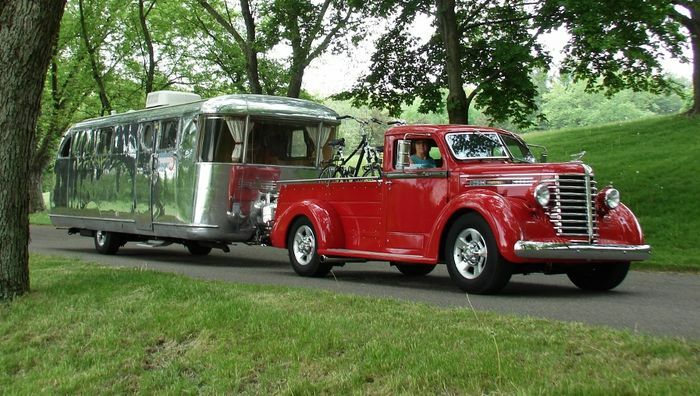 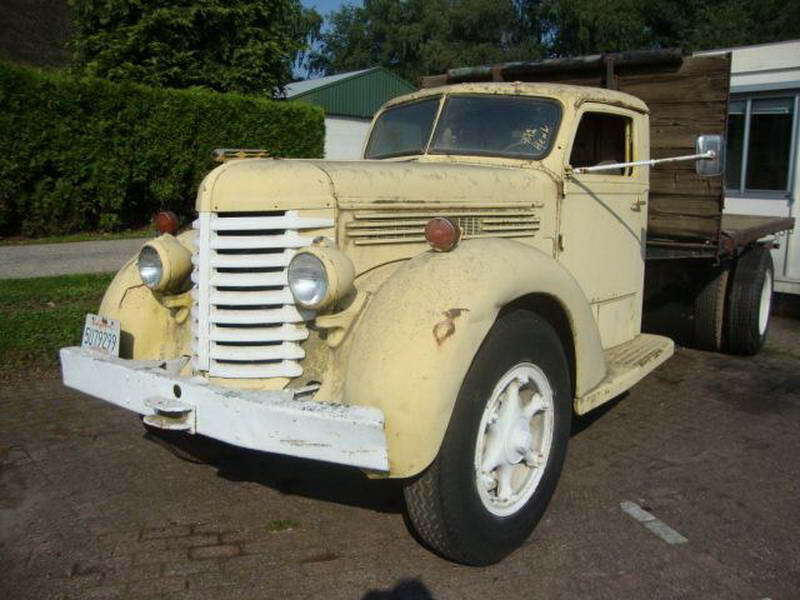 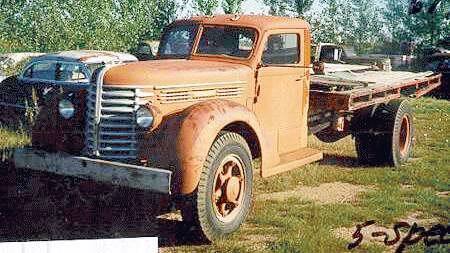 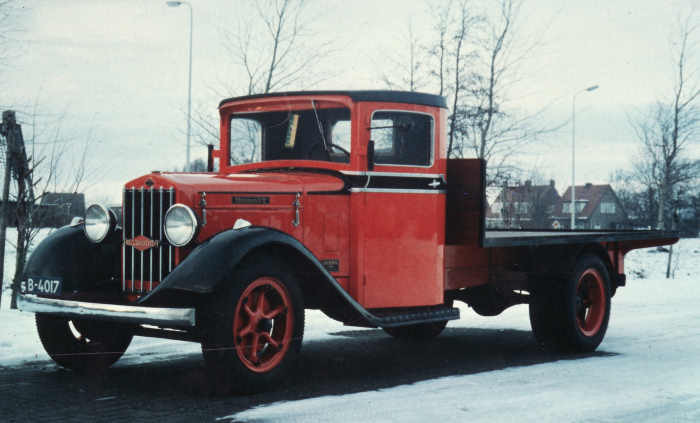 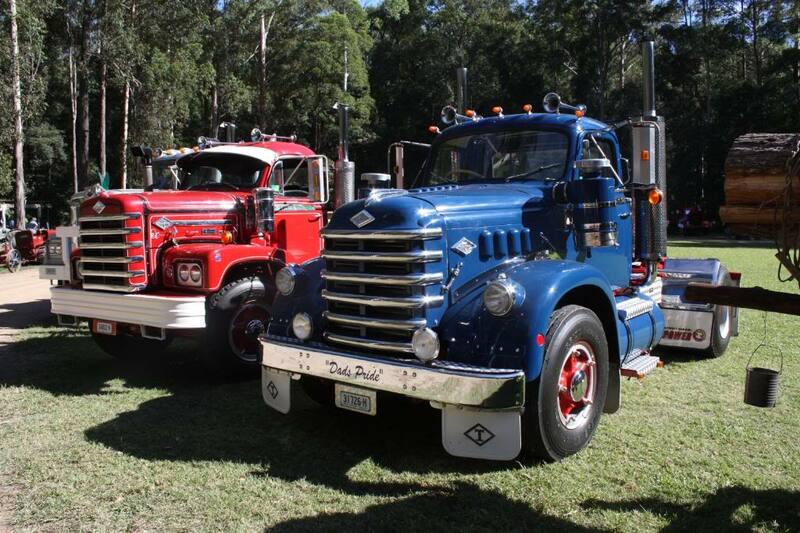 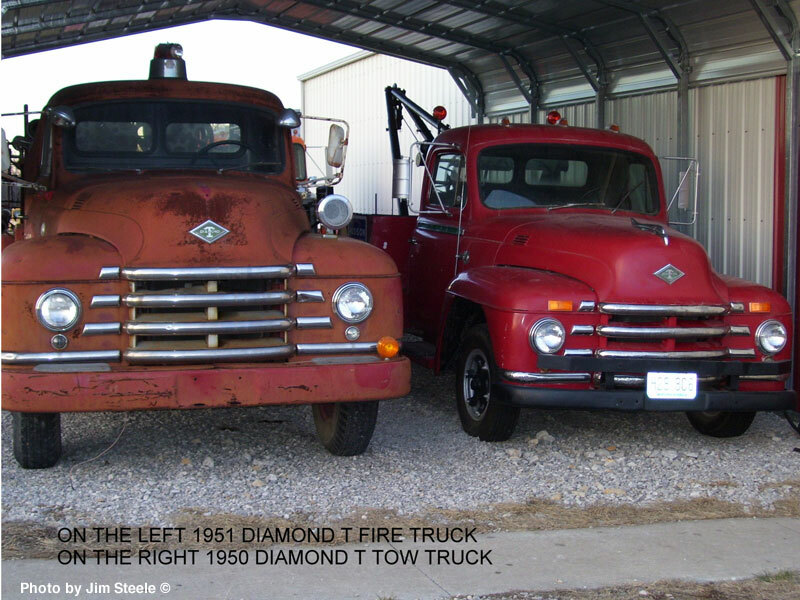 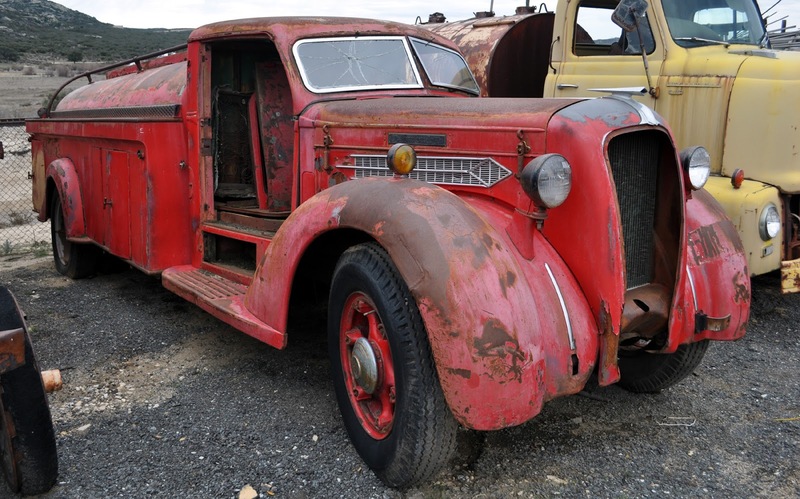 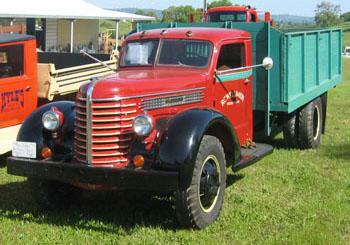 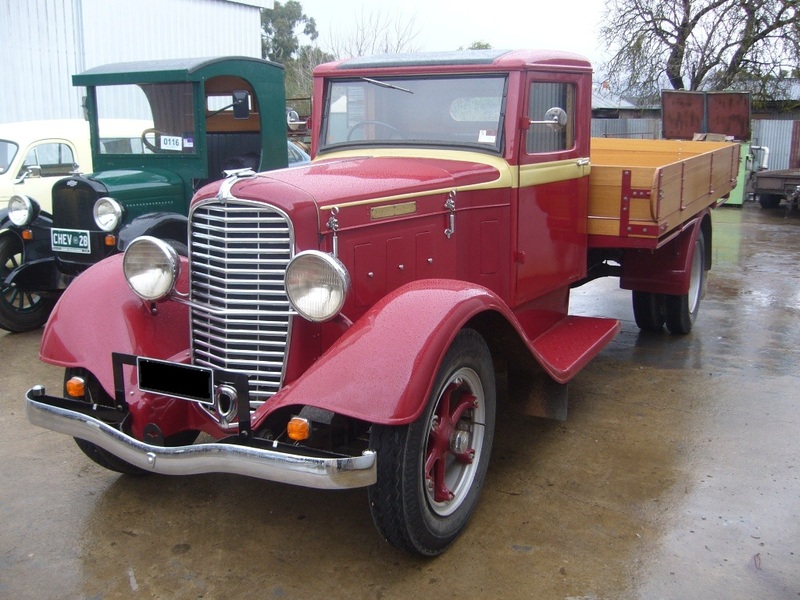 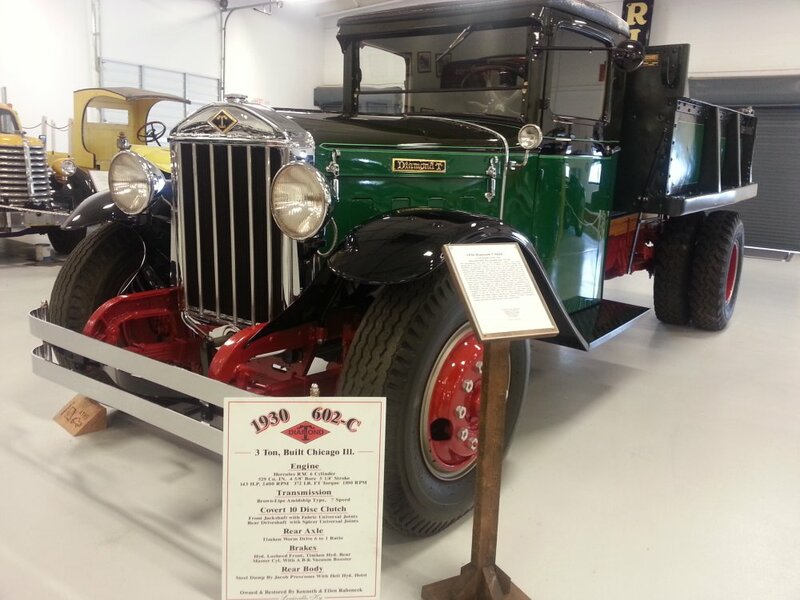 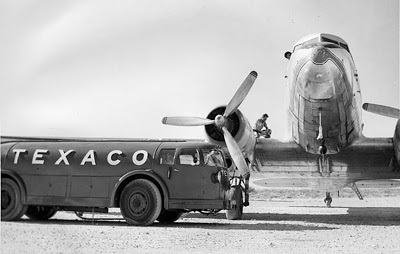 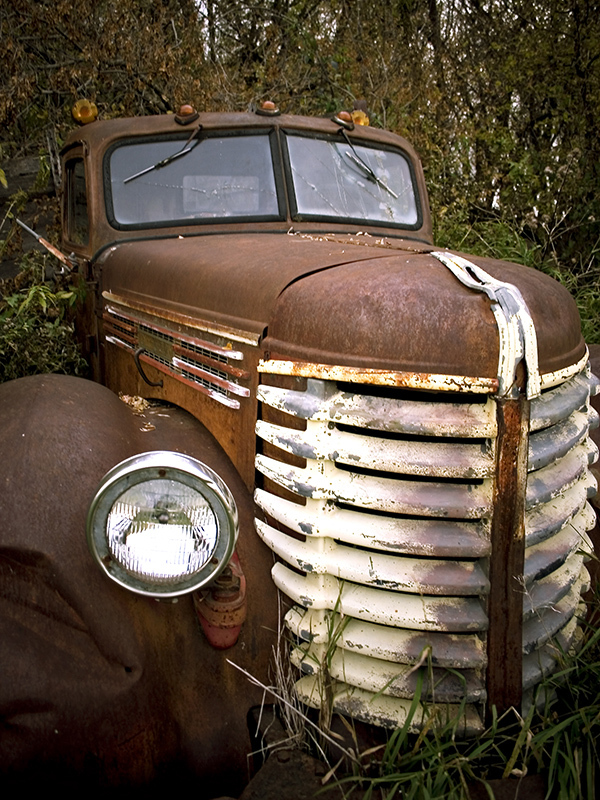 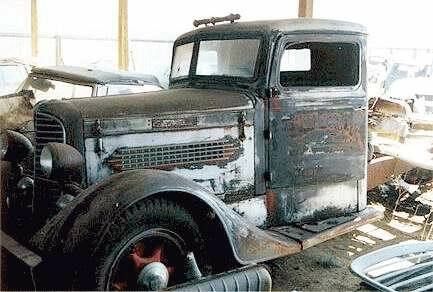 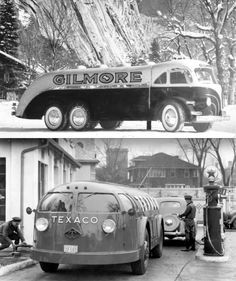 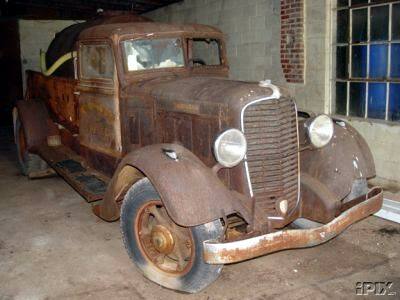 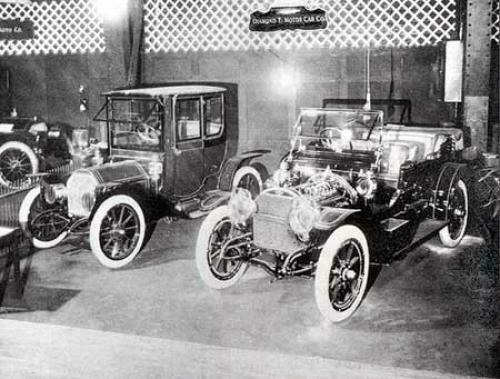 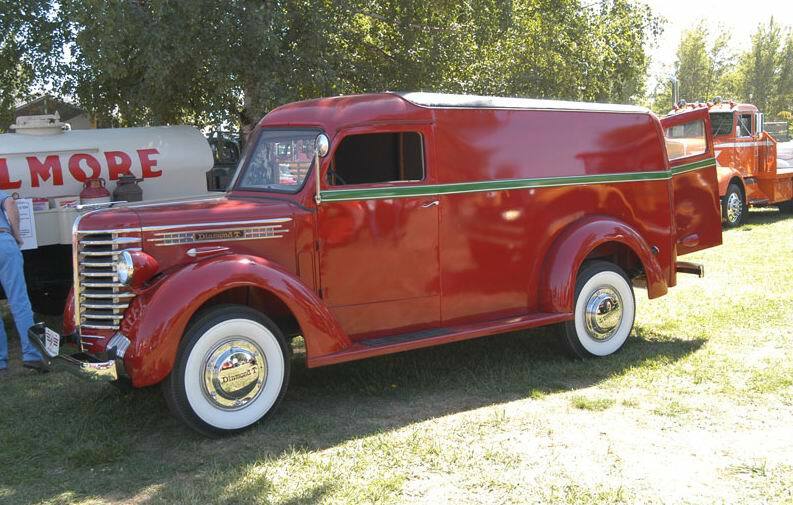 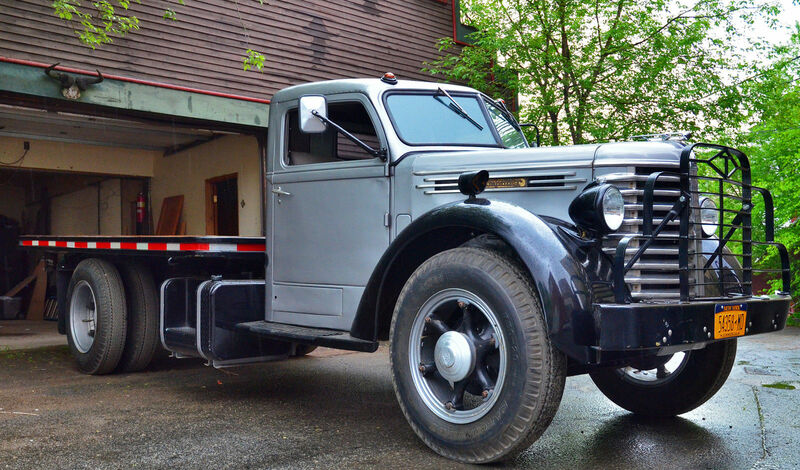 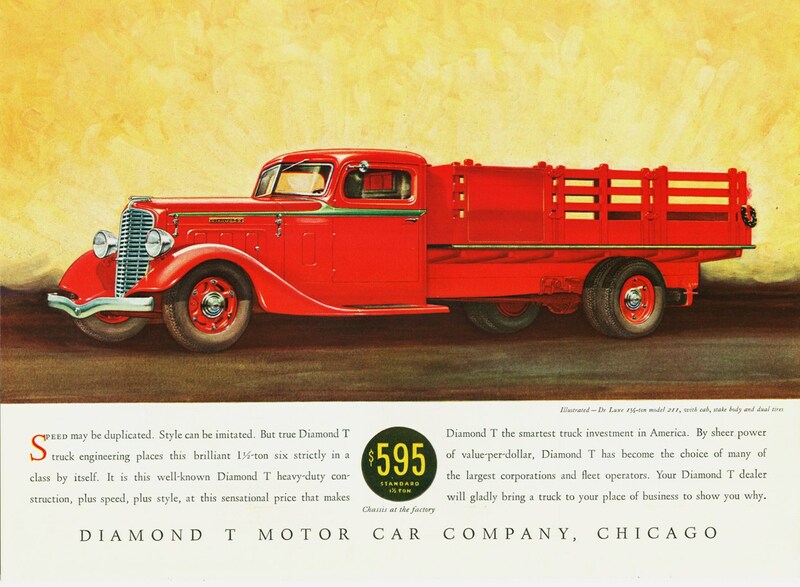 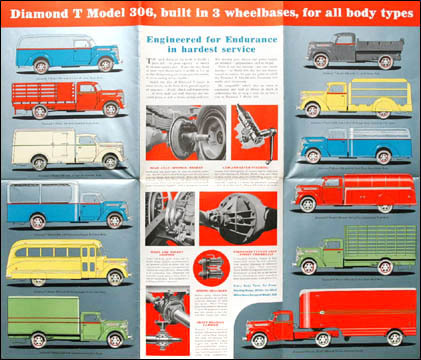 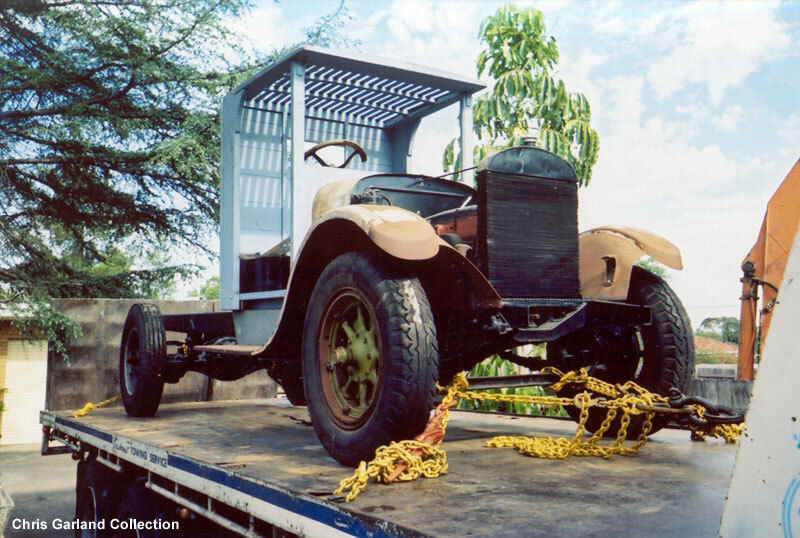 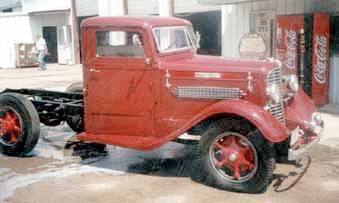 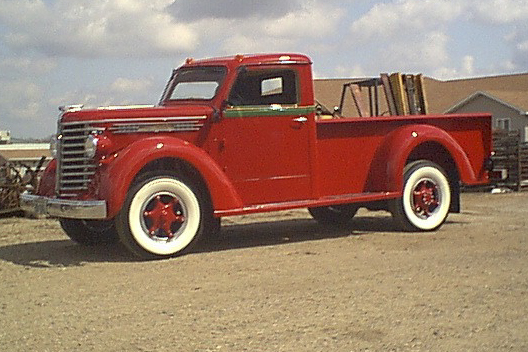 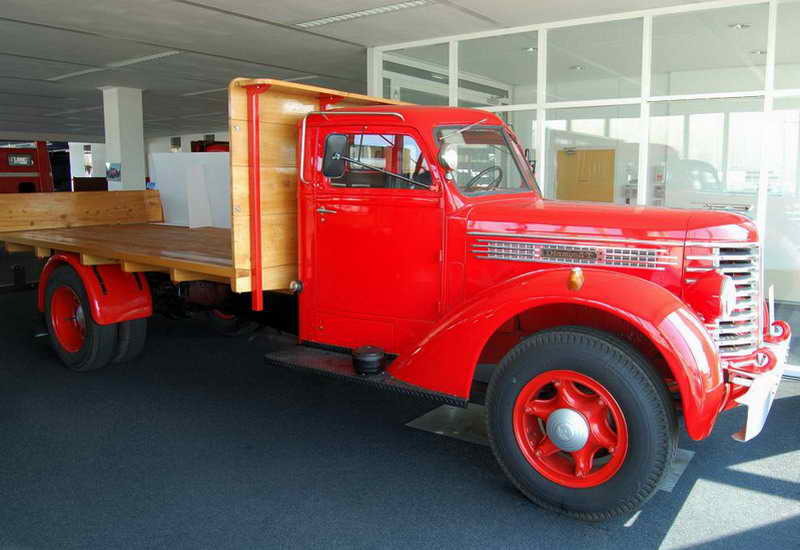 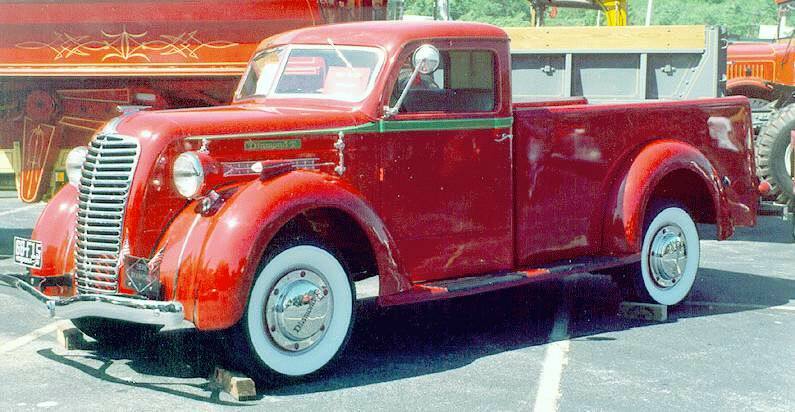 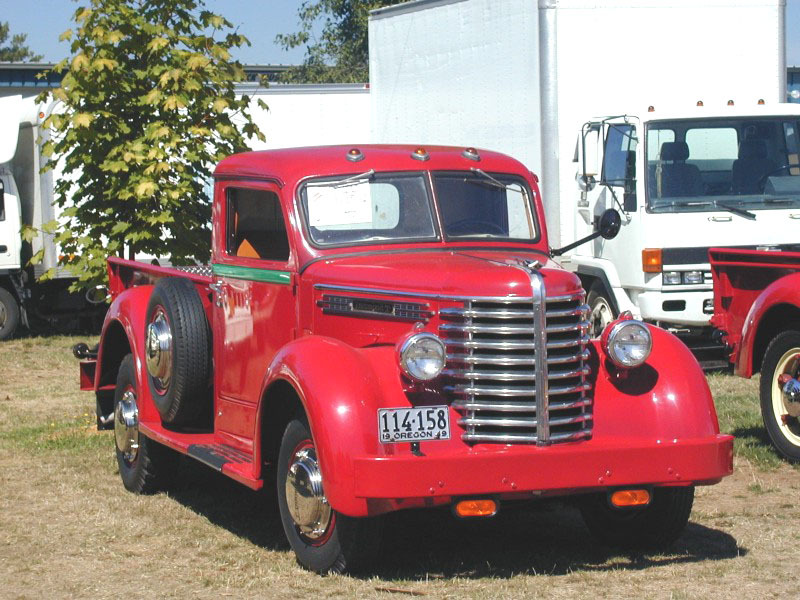 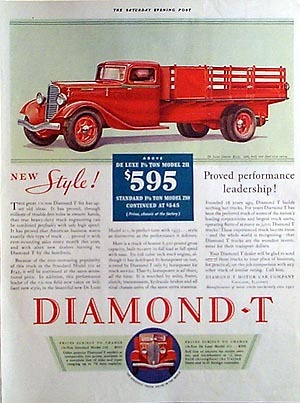 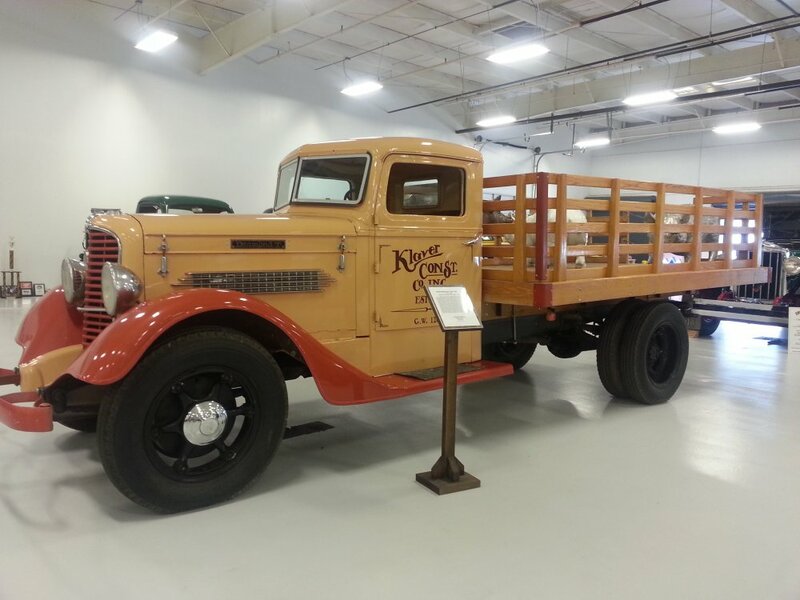 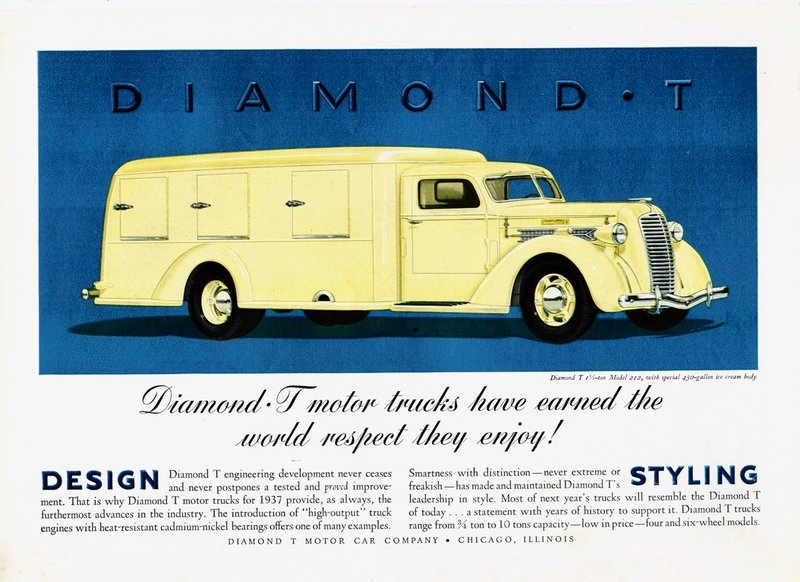 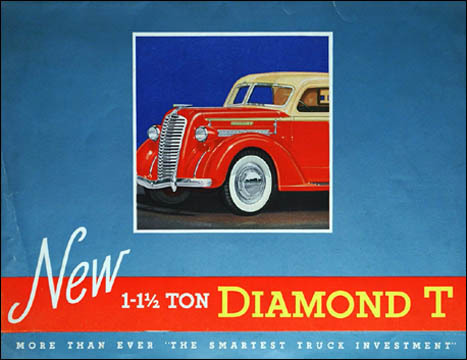 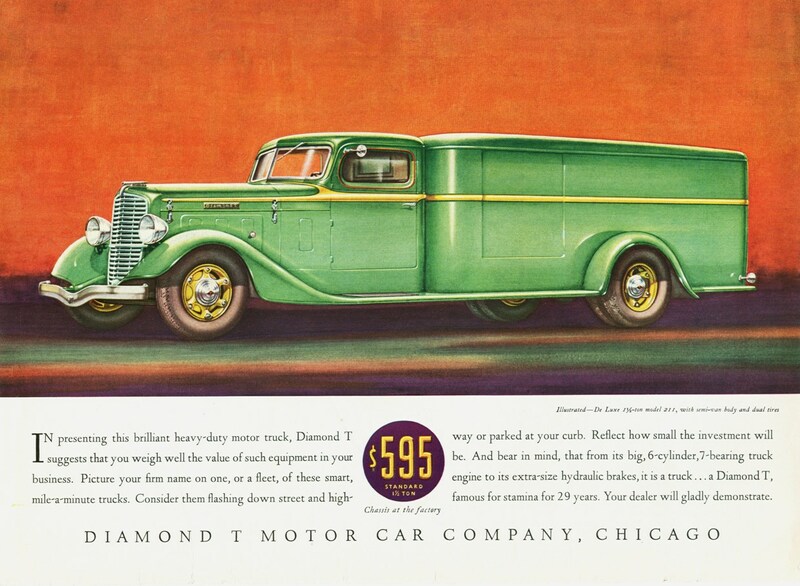 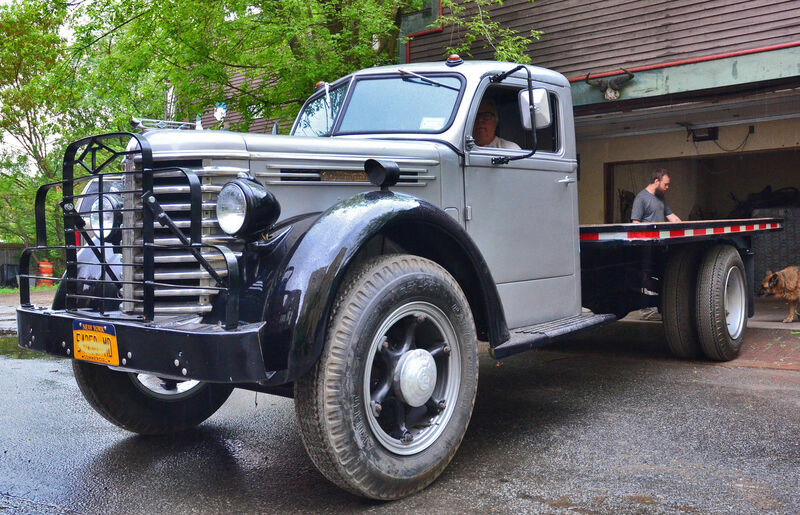 Diamond T manufactured two pickup trucks: the Model 80 and the Model 201. 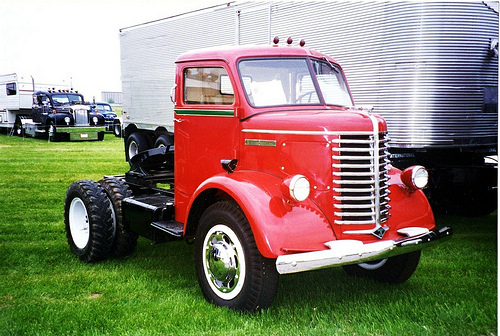 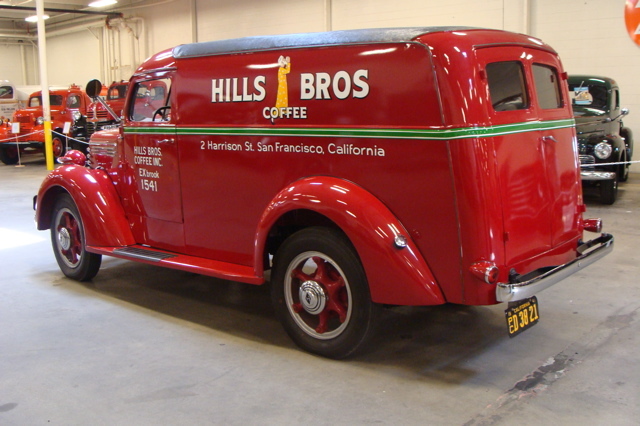 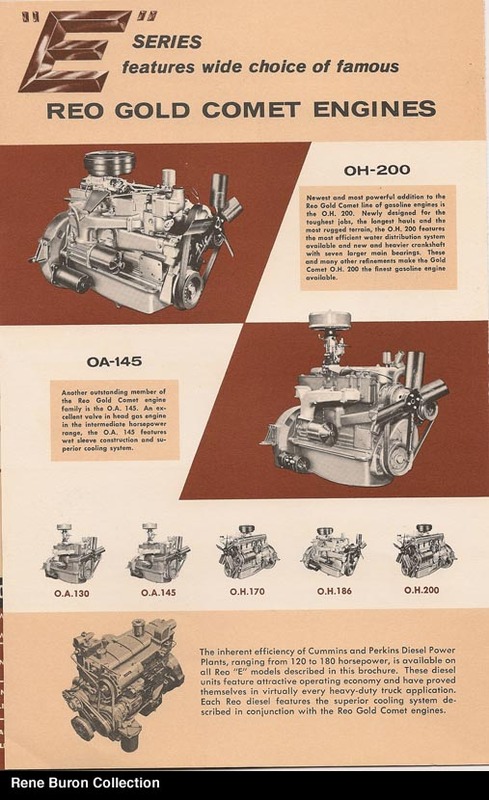 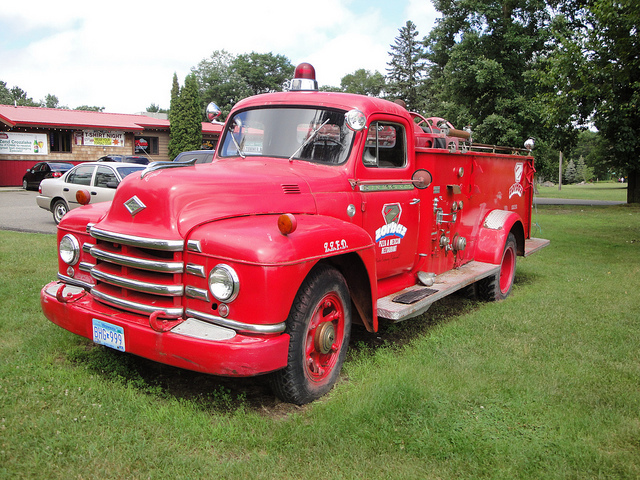 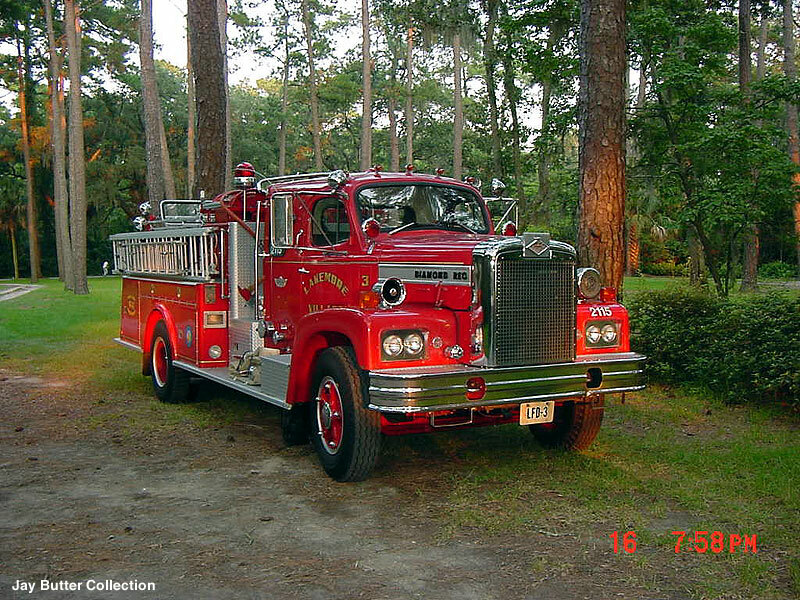 Both pickups were powered by the Hercules QX-series 6-cylinder engines. 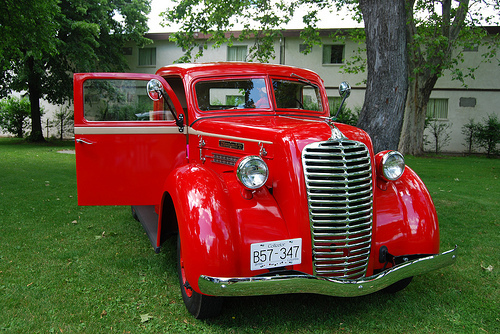 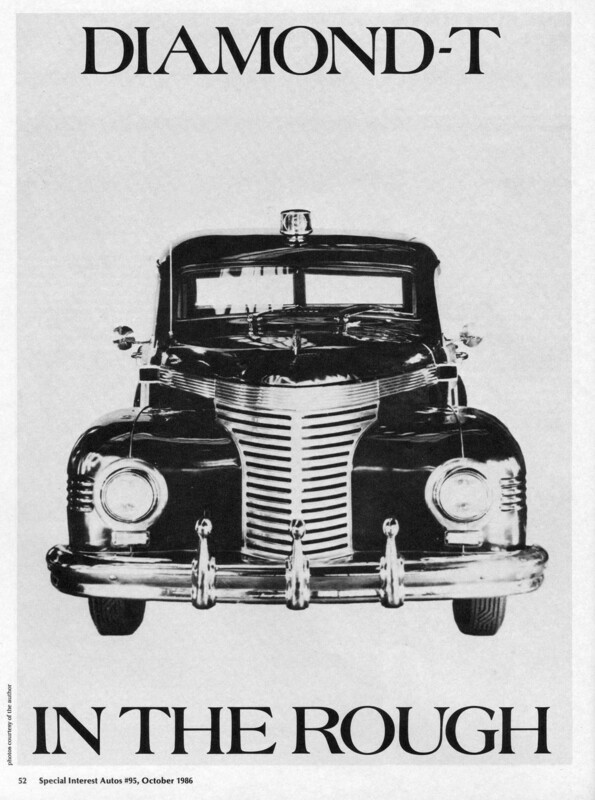 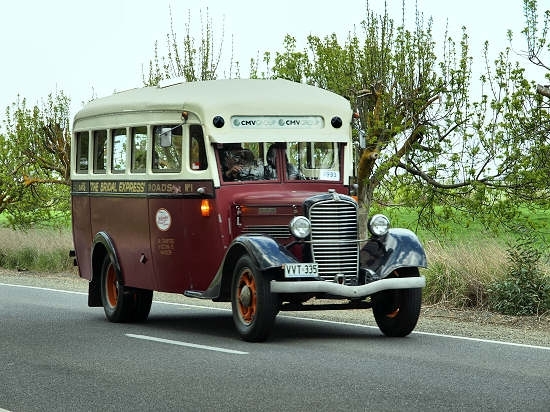 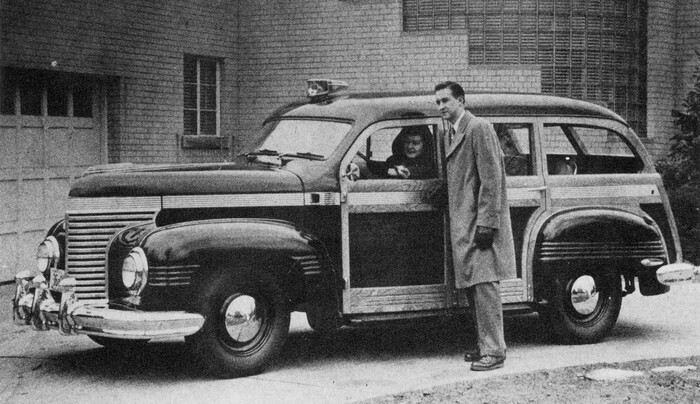 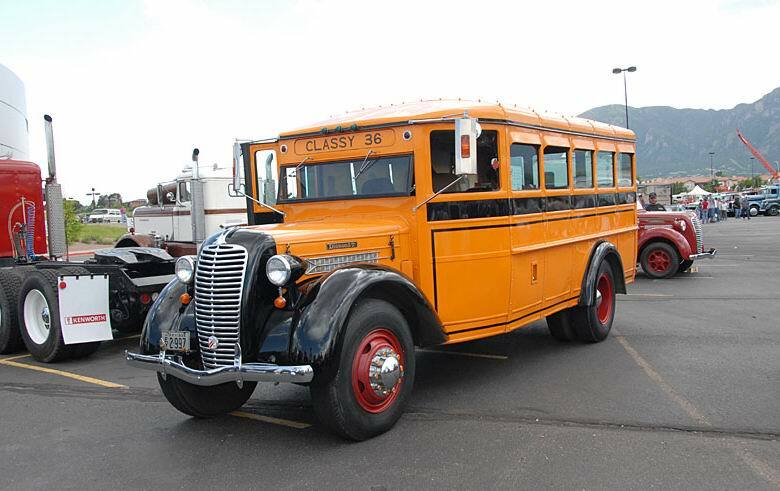 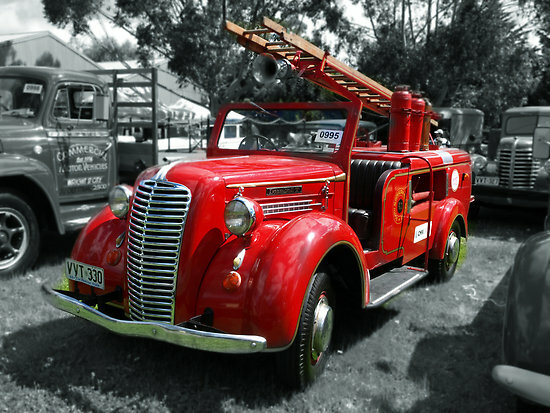 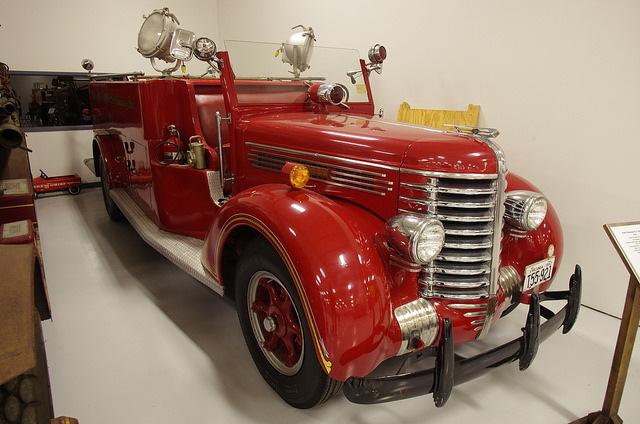 The Model 201 was produced from 1938 to 1949. 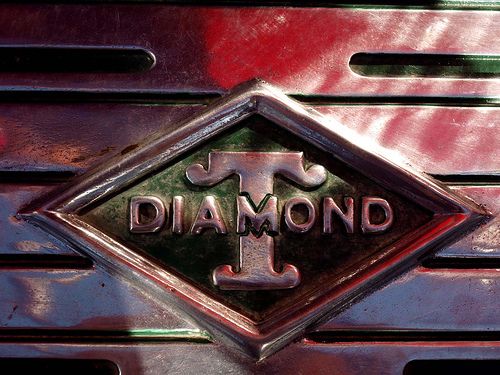 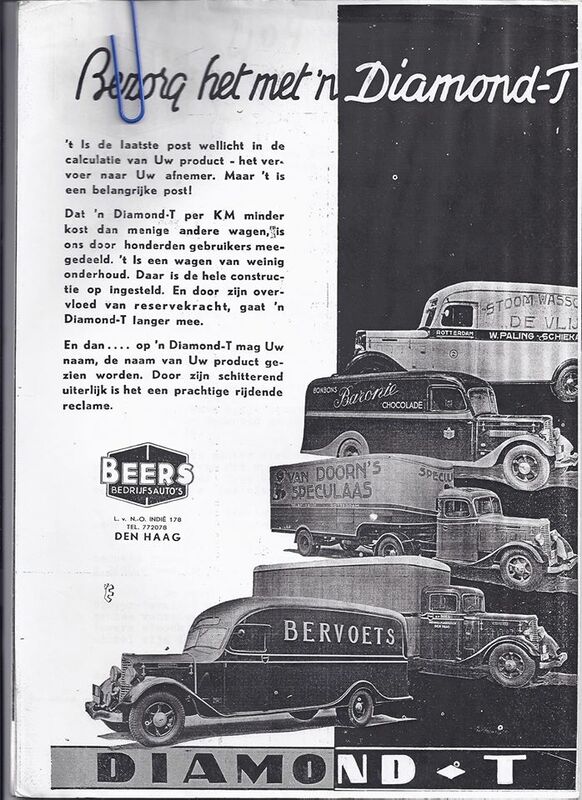 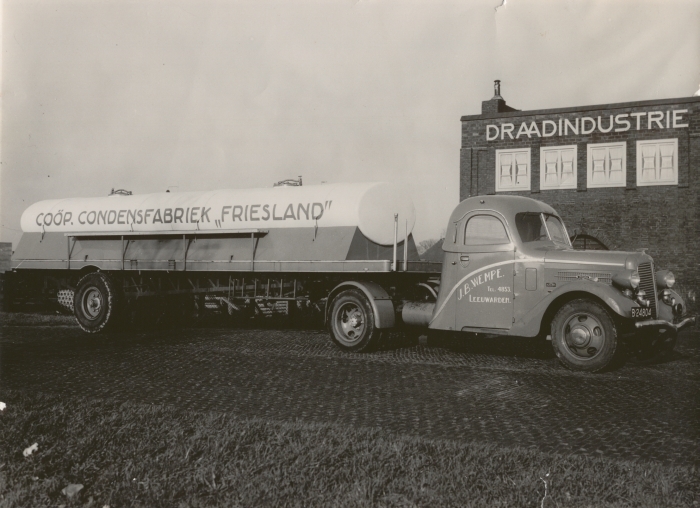 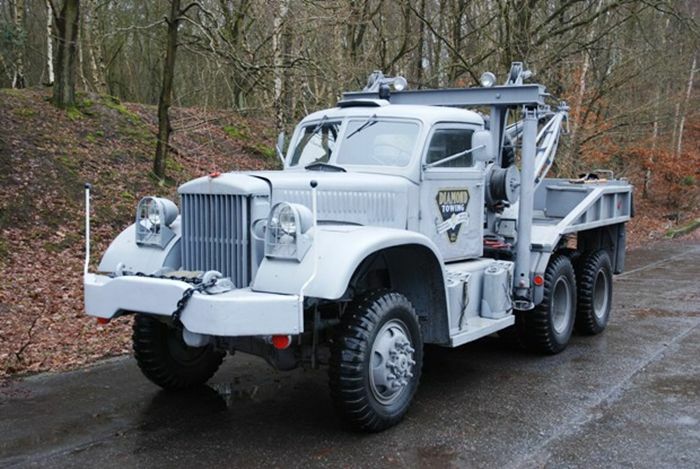 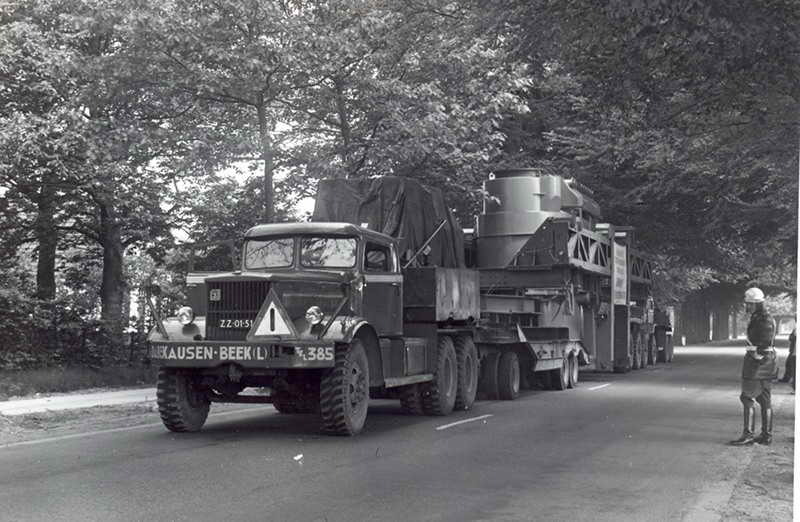 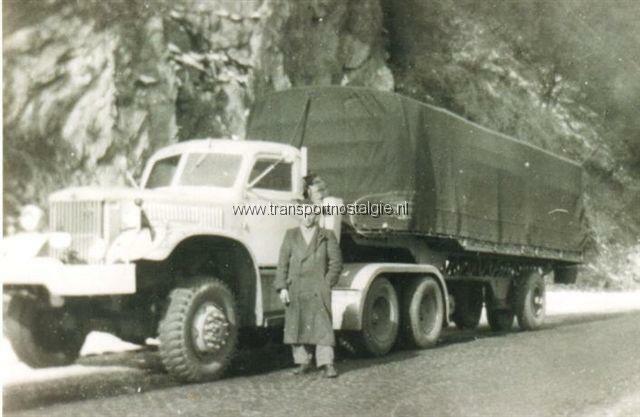 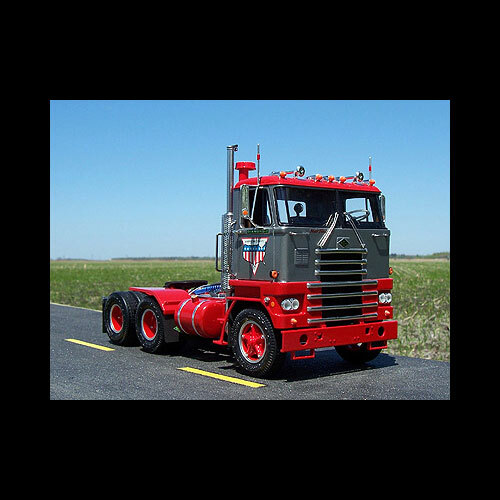 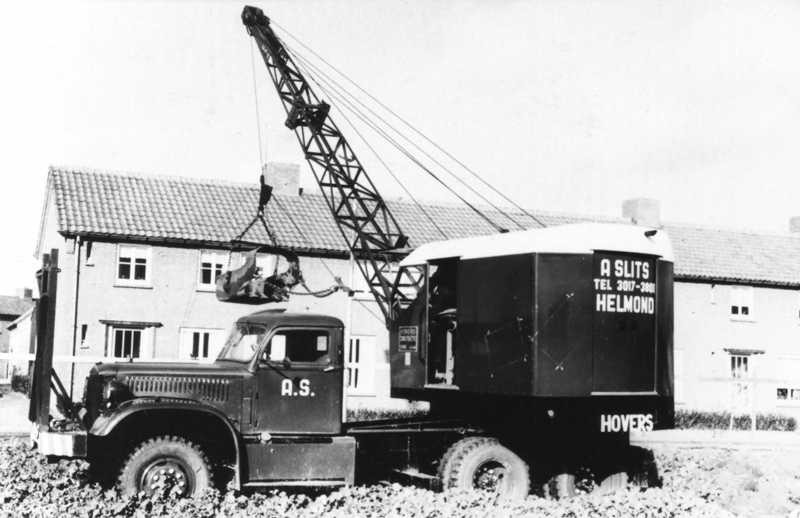 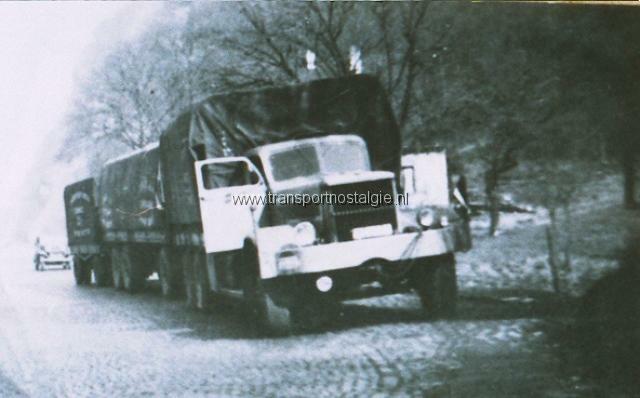 Diamond T M54 (6×6) – ook gebouwd door International Harvester, Mack Trucks en later door AM General in de M51 versie (kiepwagen) en M52 versie (trekker voor opleggers) gebouwd. 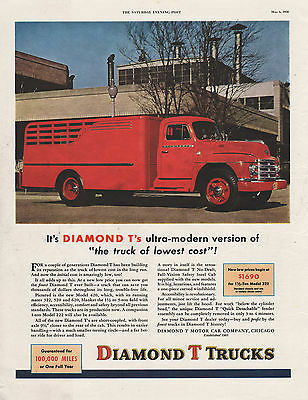 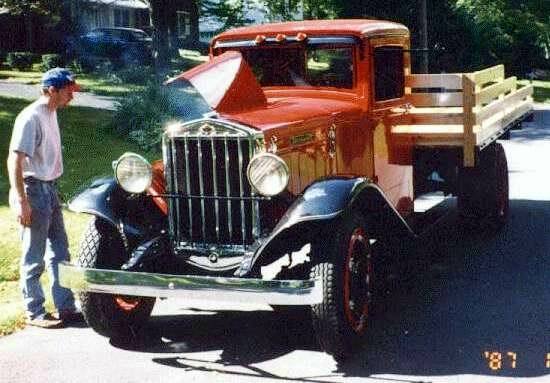 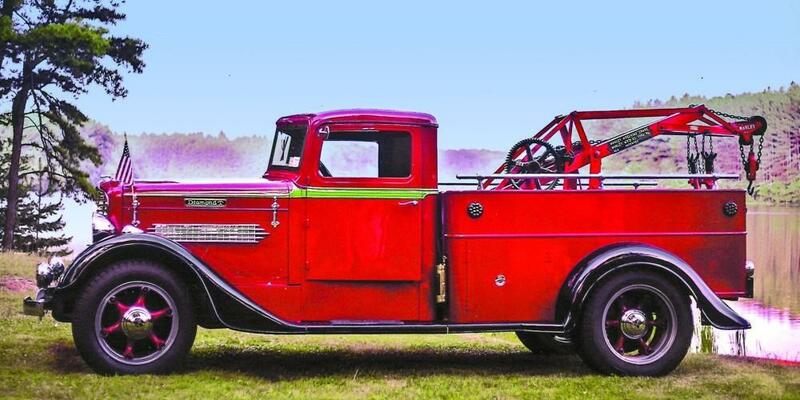 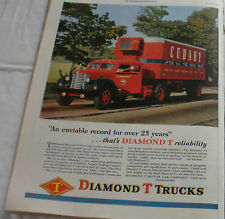 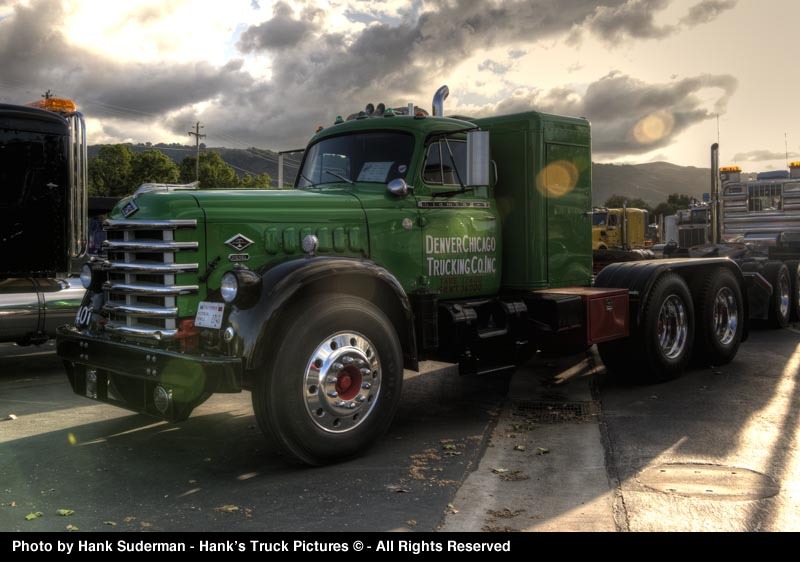 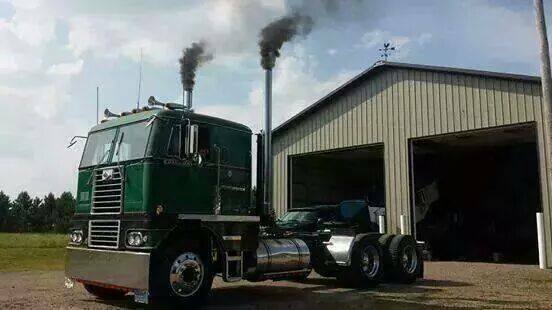 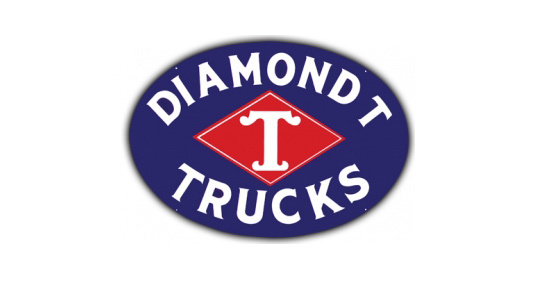 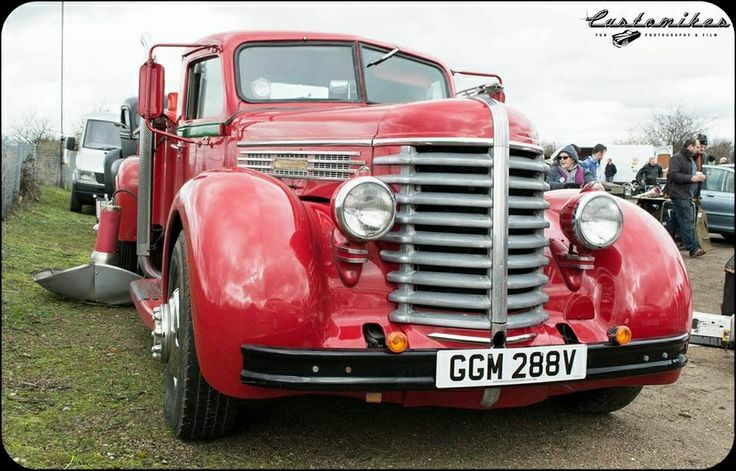 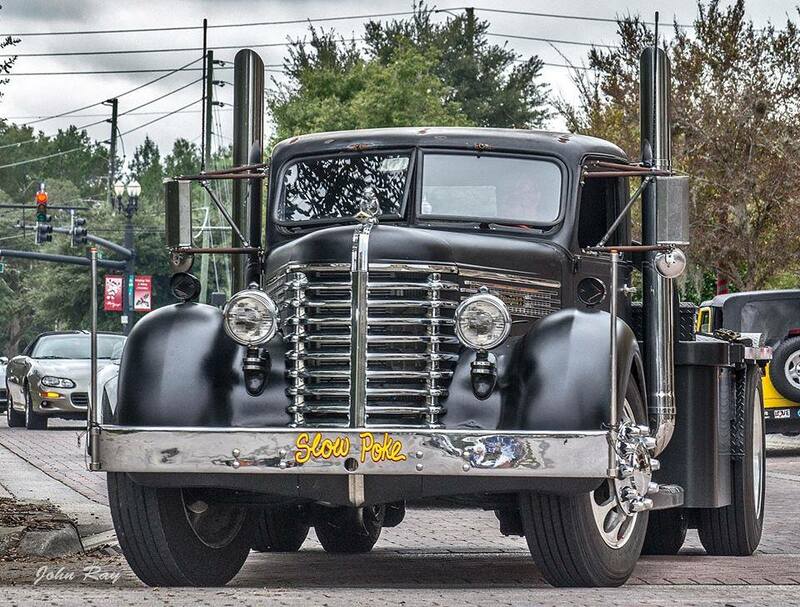 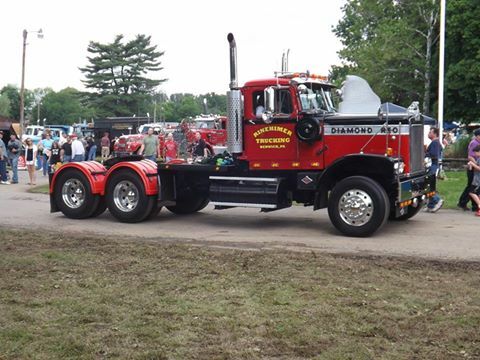 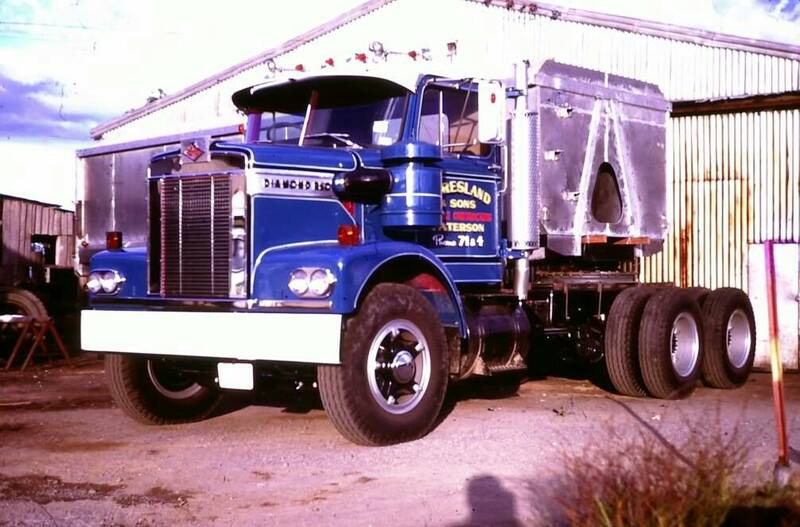 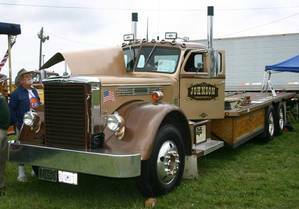 To those who love Diamond T trucks. 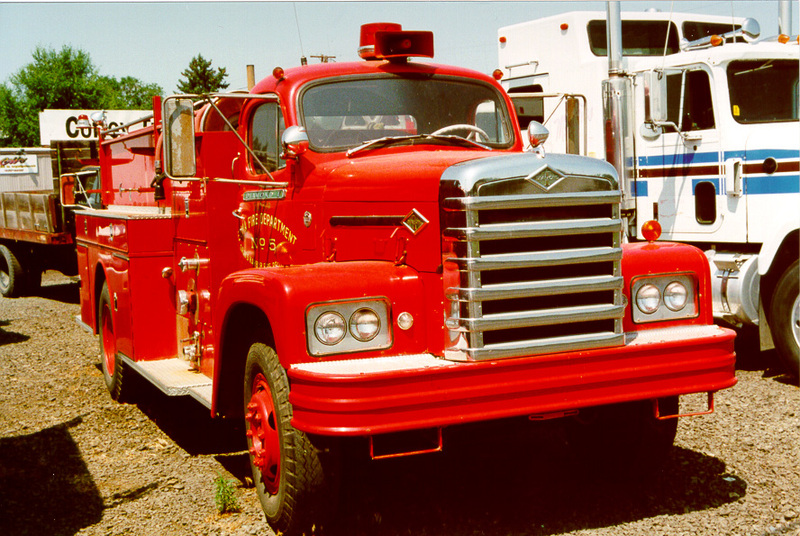 My brother won this truck in a raffle in the mid 1980’s and he brought it home from Hershey PA. We were told it had placed in a national show, was a cover truck of the “1985 Workhorses of Yesteryear calendar” and then donated for a raffle to help fund a automotive museum/library. 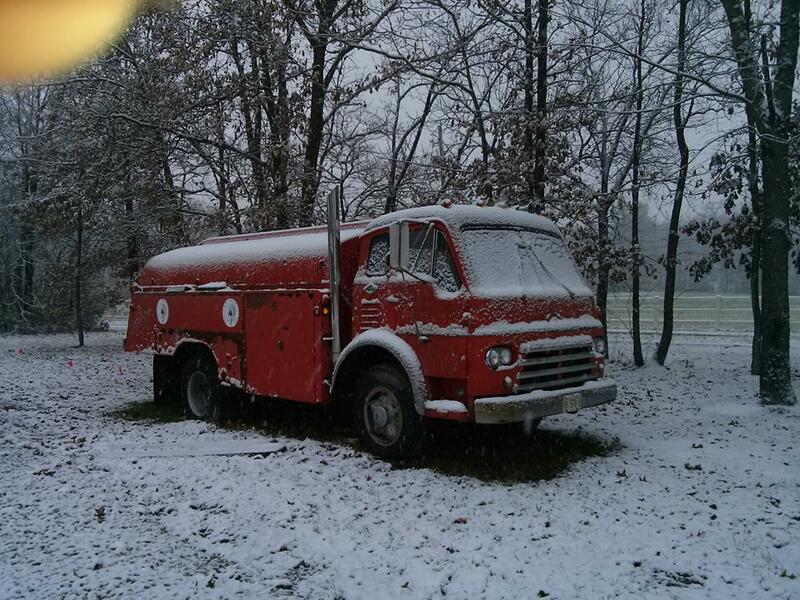 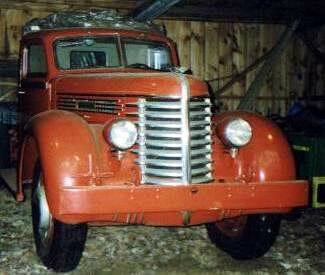 The truck has been stored in a heated garage since the 80’s up to my brothers death last year. 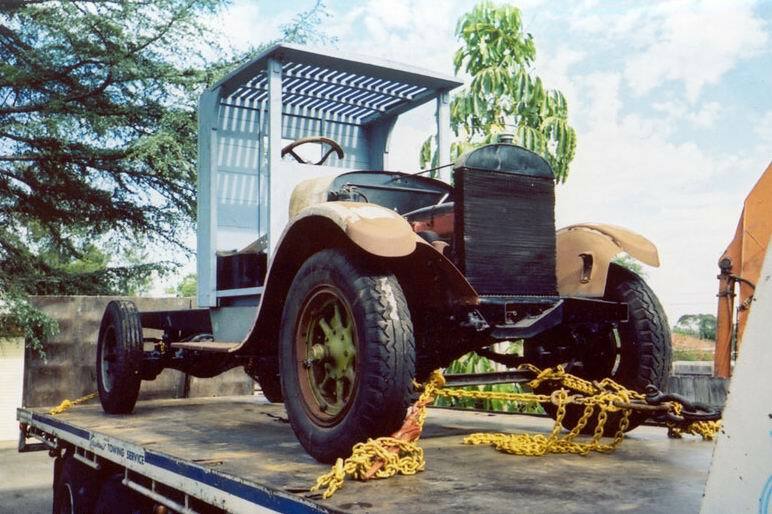 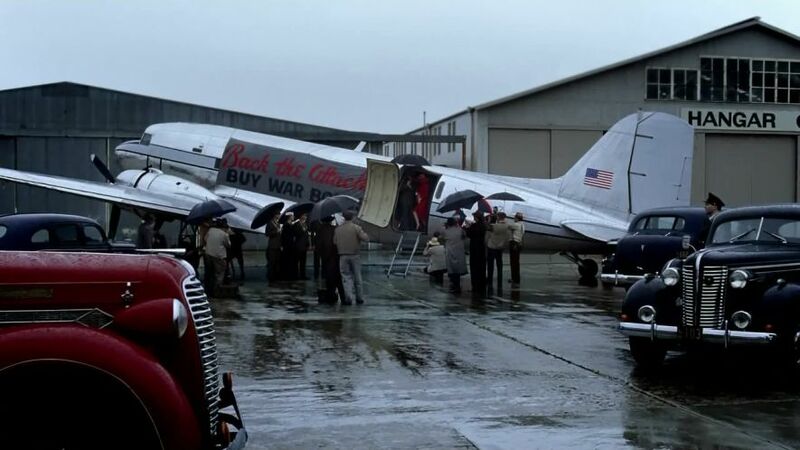 It was then transported to the auctioneers in February this year. 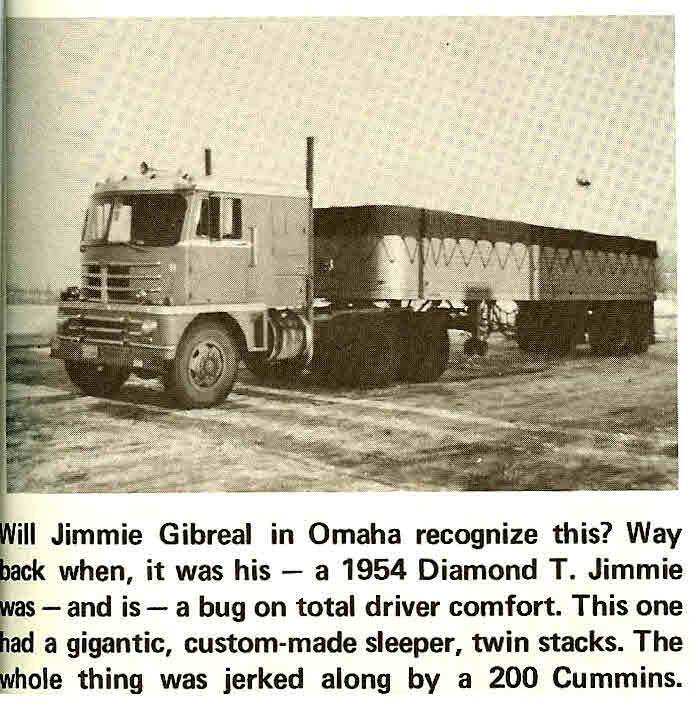 My family would love to see it go to someone who would appreciate it as much as my brother did. 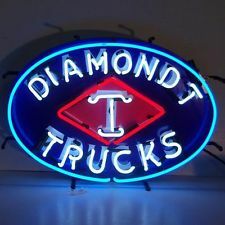 now on. 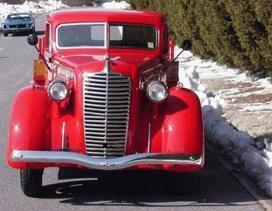 I want to encourage continue your great job, have a nice holiday weekend! 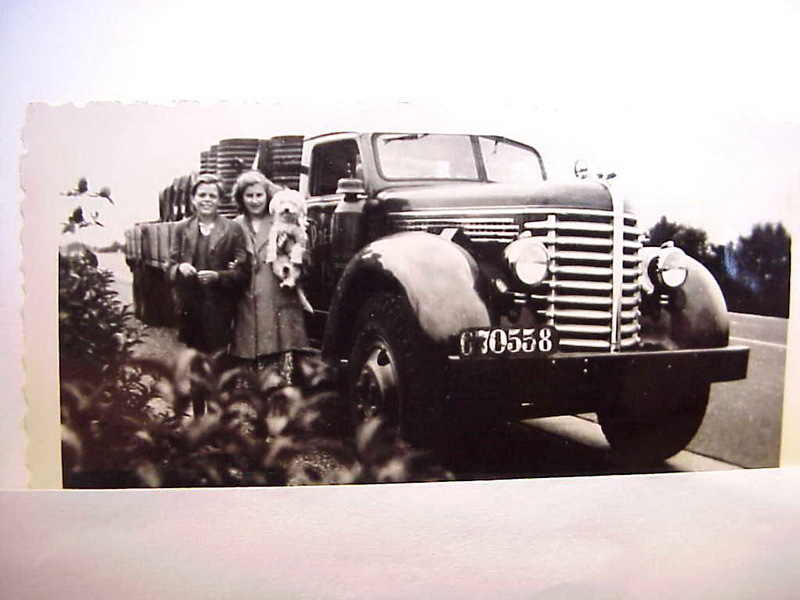 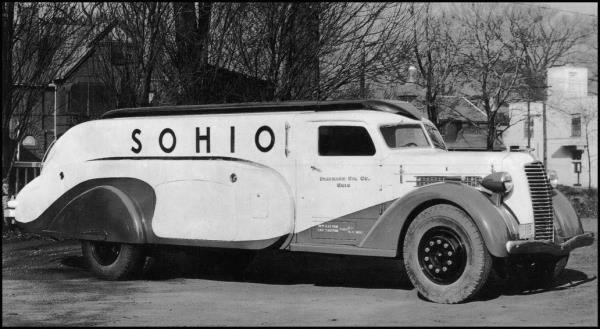 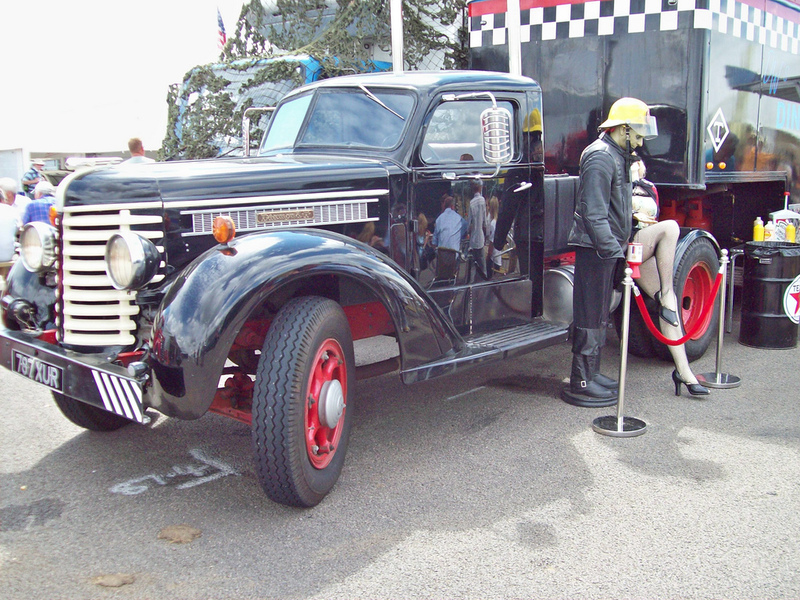 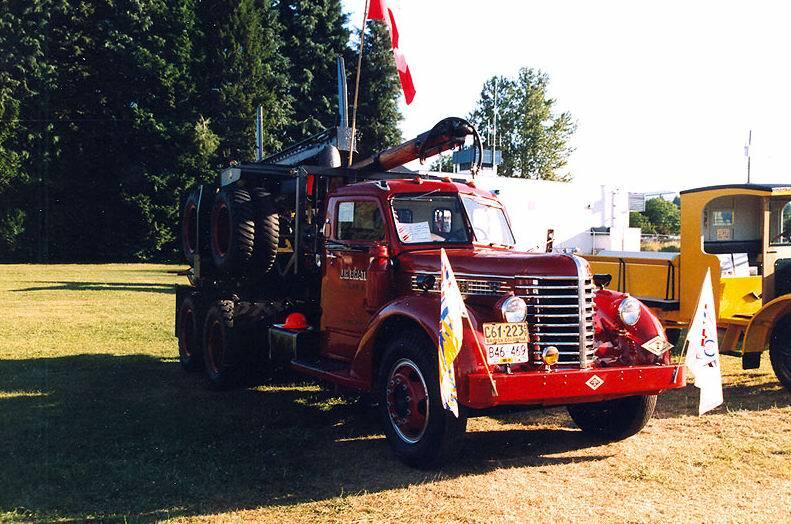 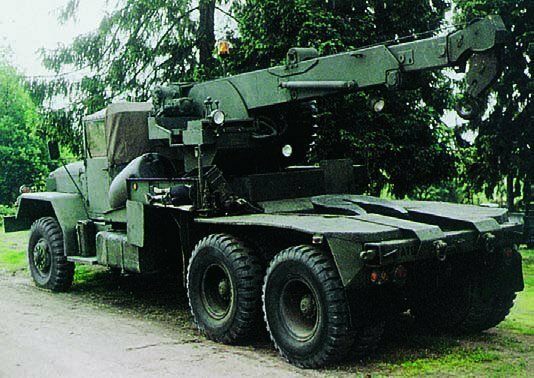 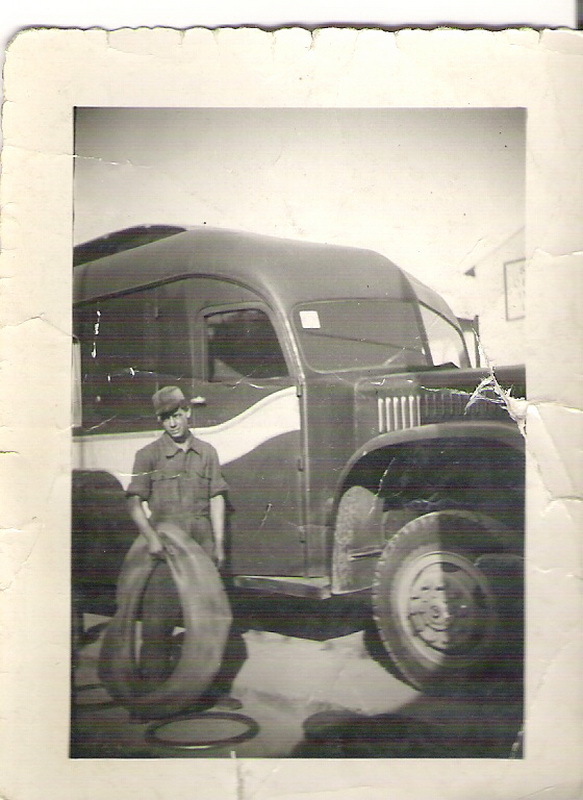 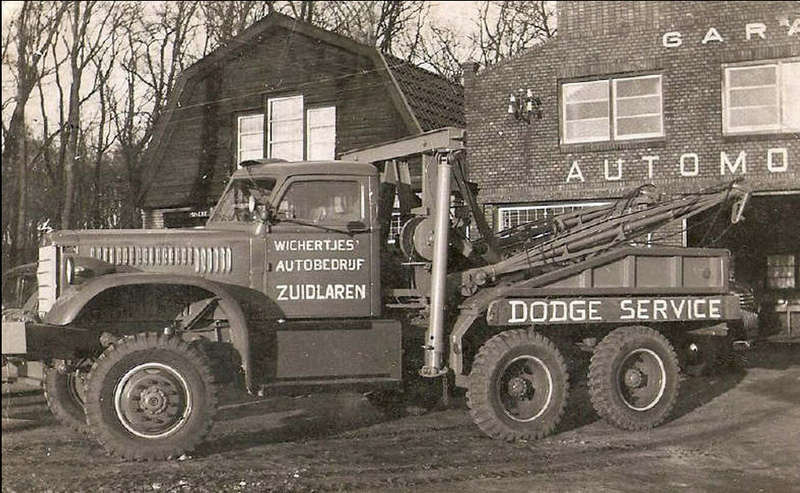 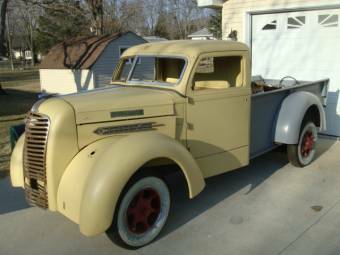 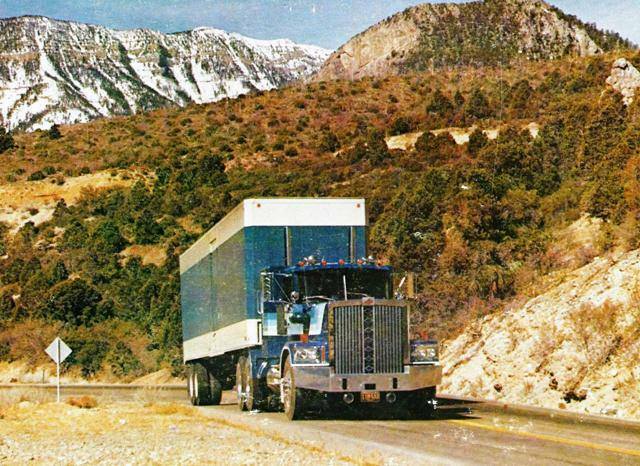 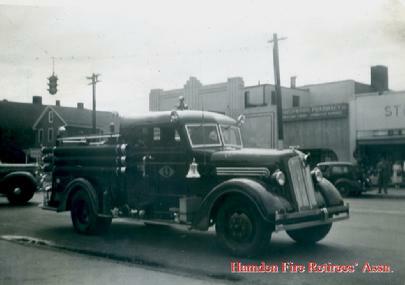 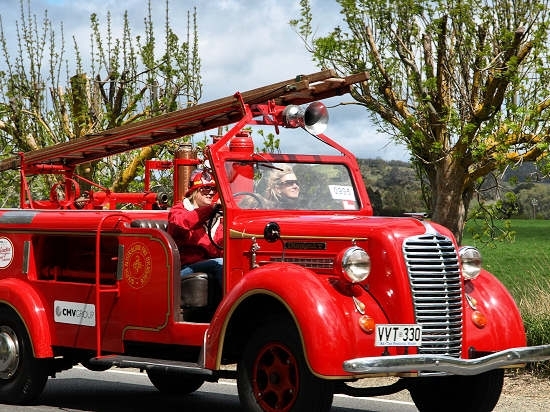 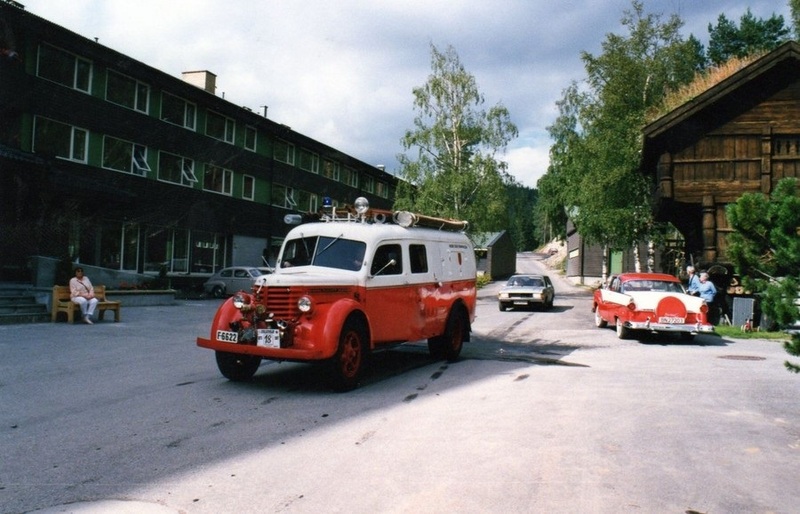 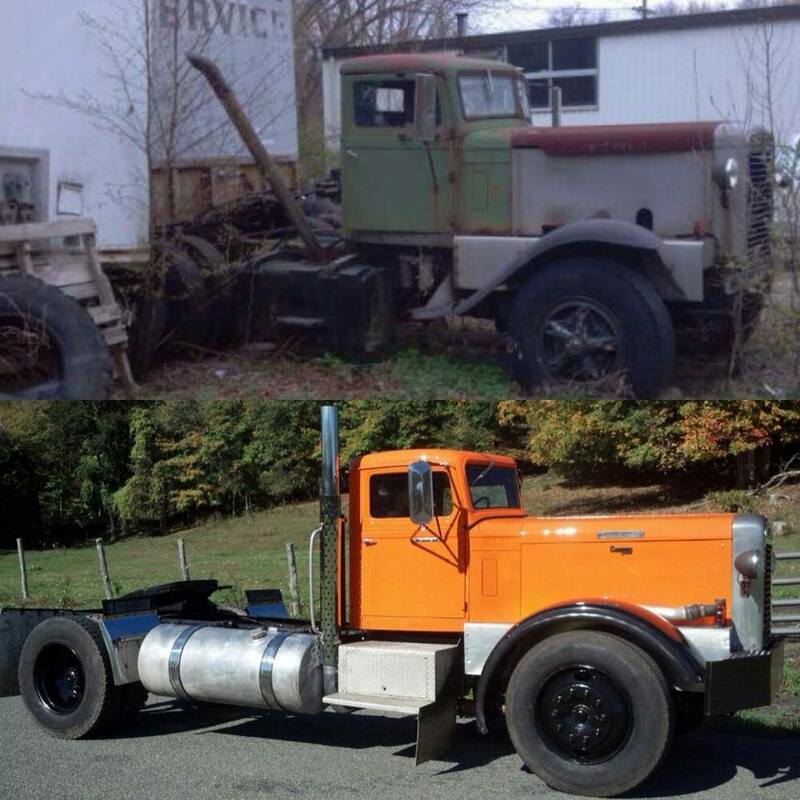 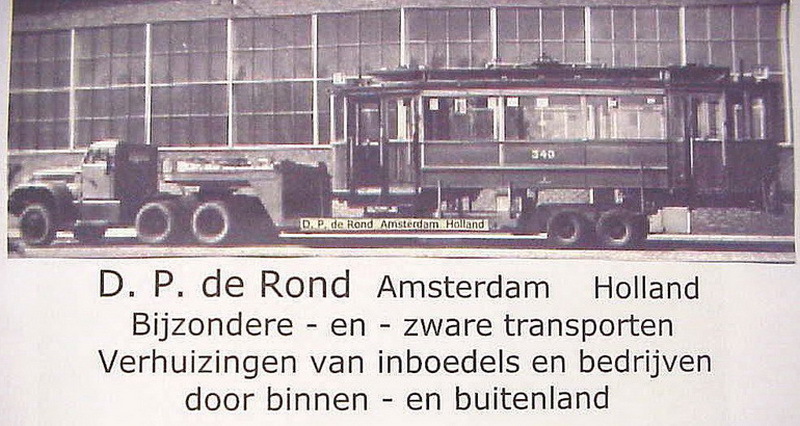 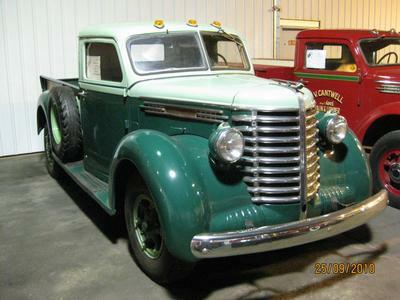 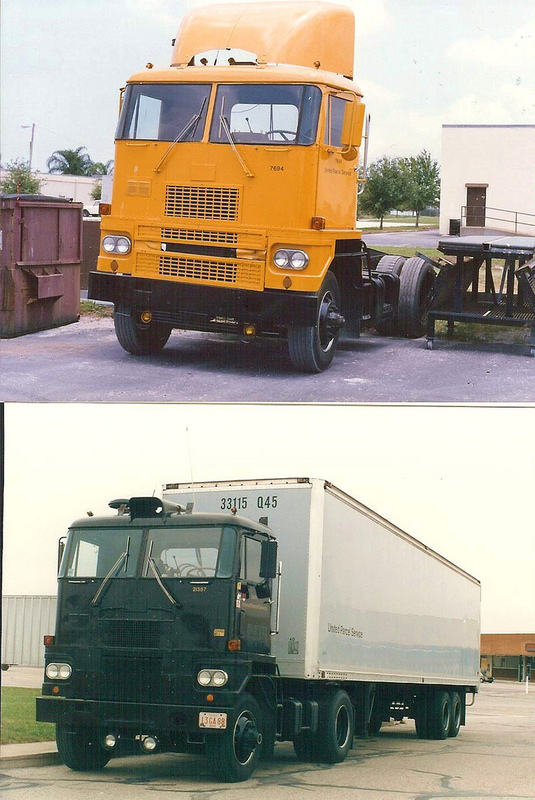 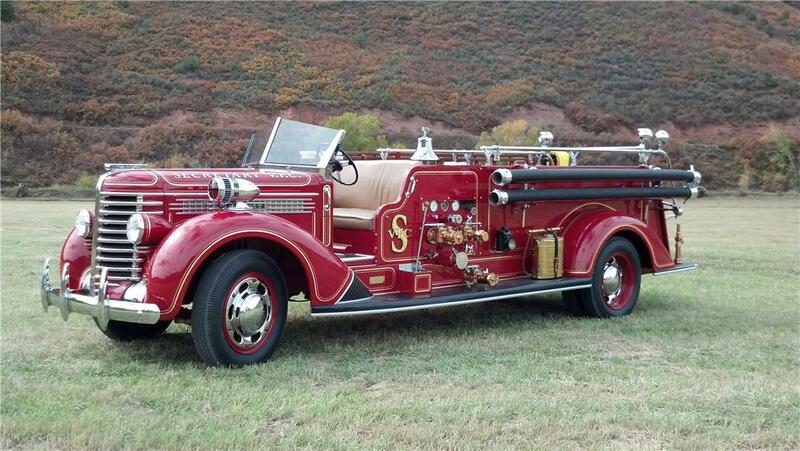 Regarding the photo above, #8 from the top: Can anyone tell me anything about that truck and its unusual front wheels? 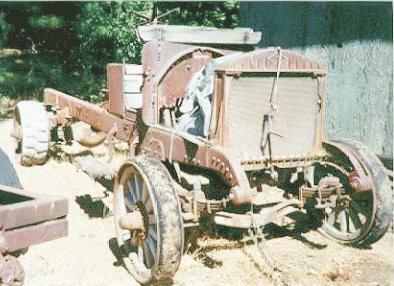 What was it used for? 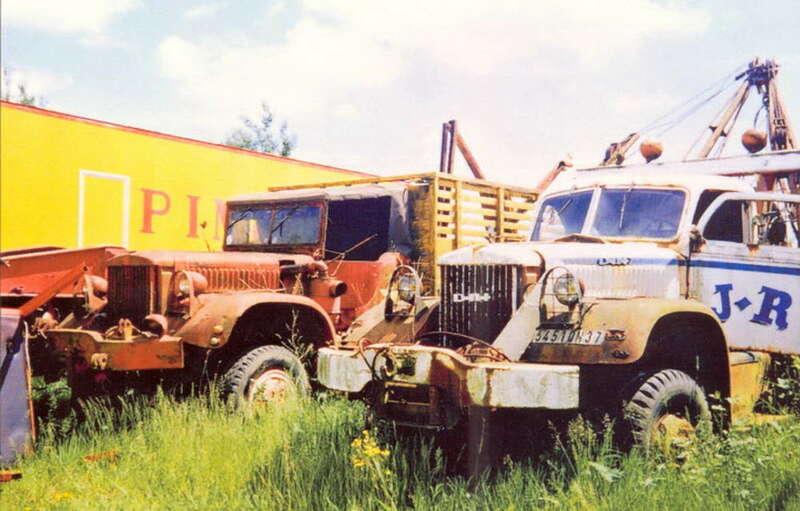 I have a similar photo but it seems I can’t upload it here.